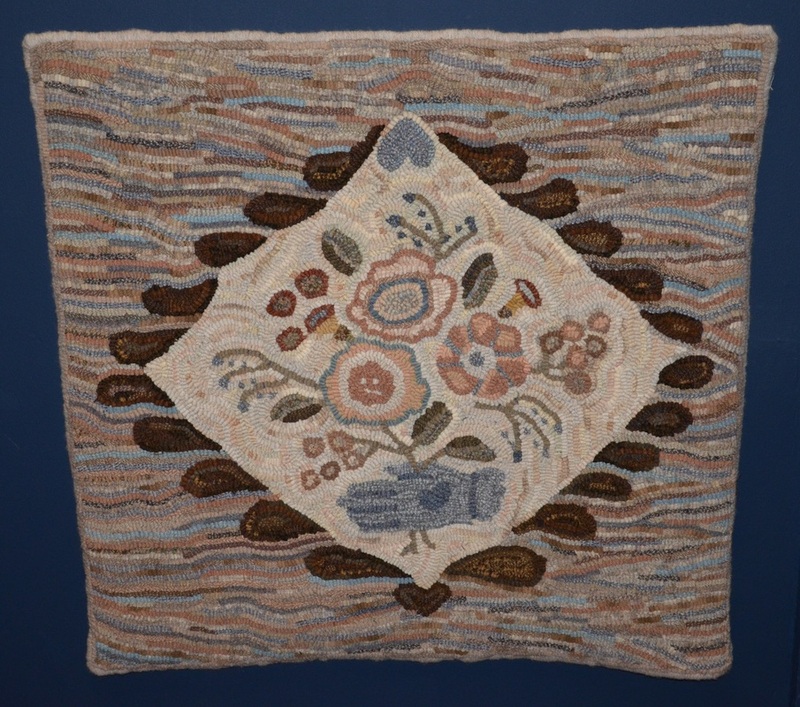 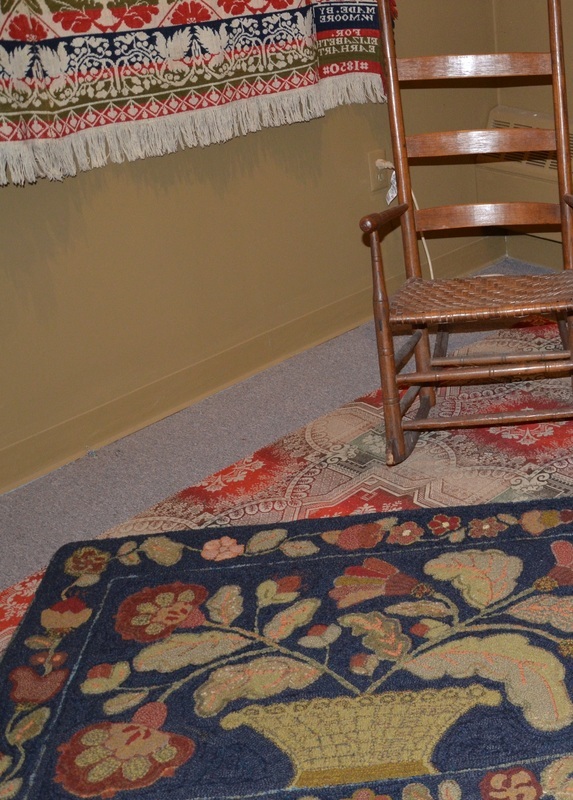 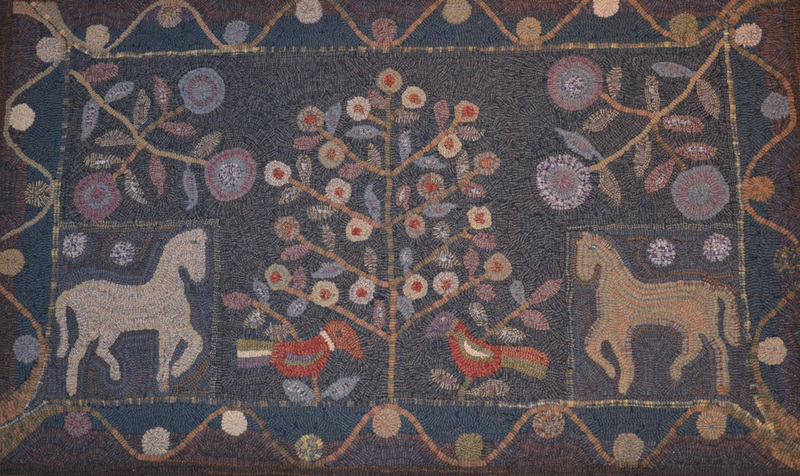 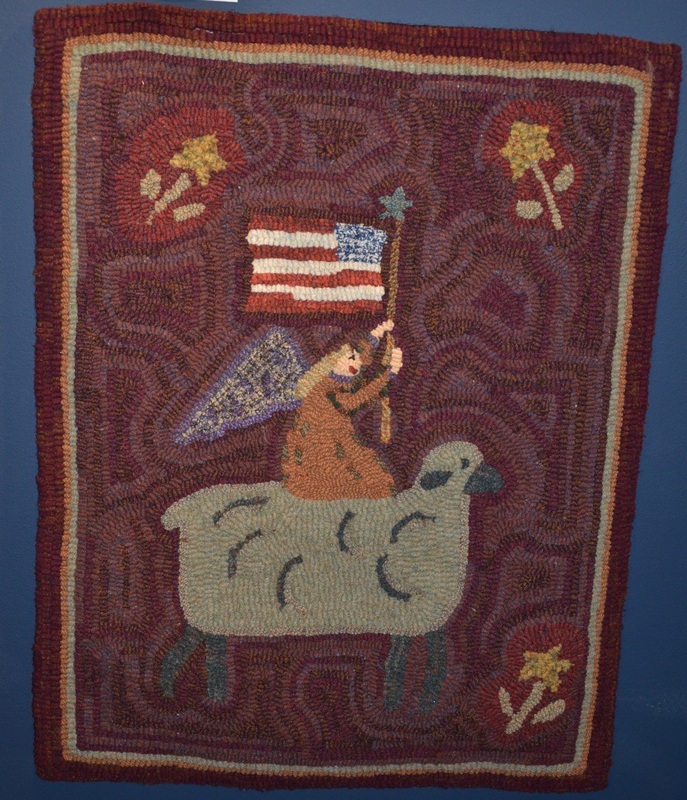 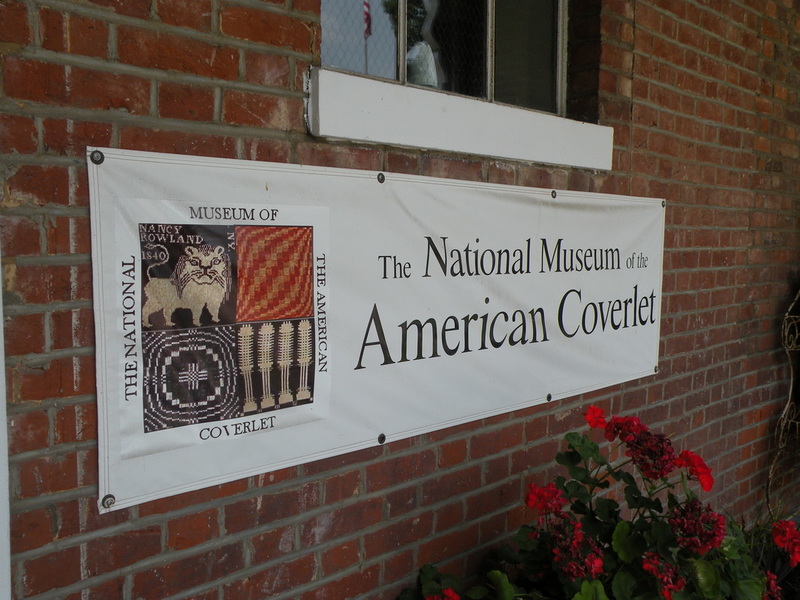 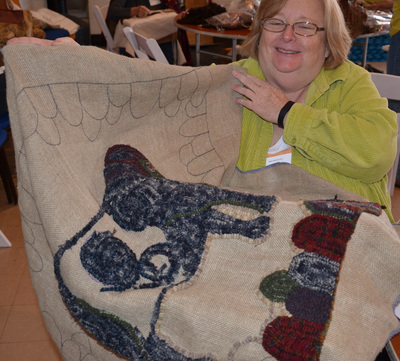 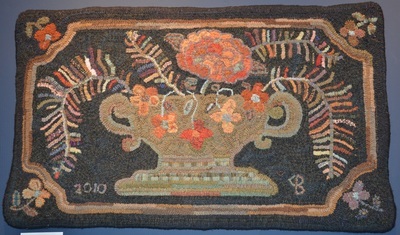 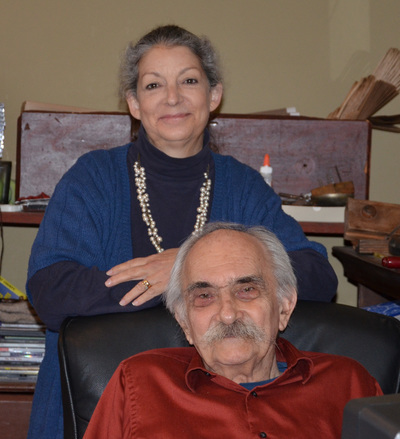 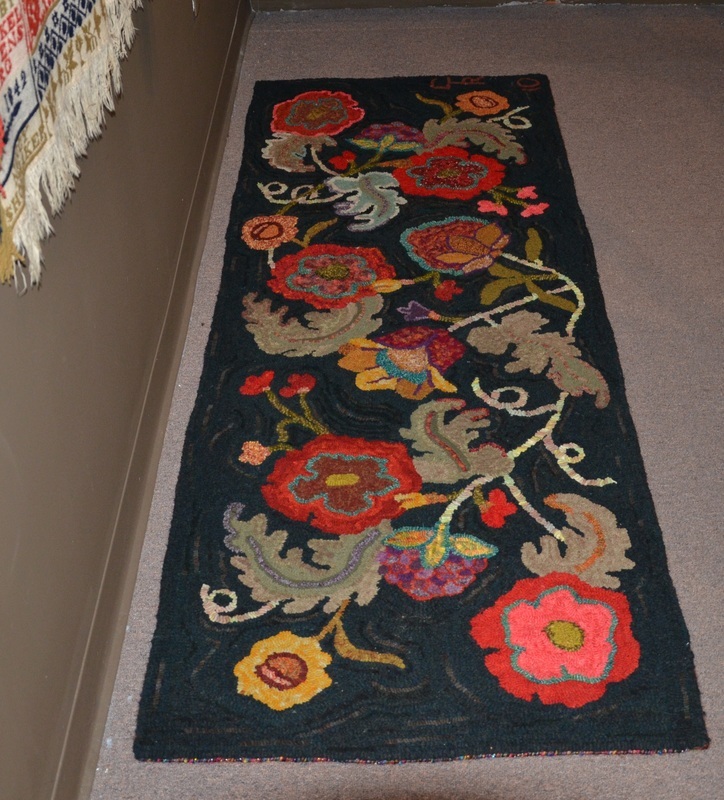 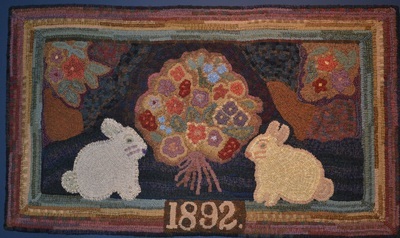 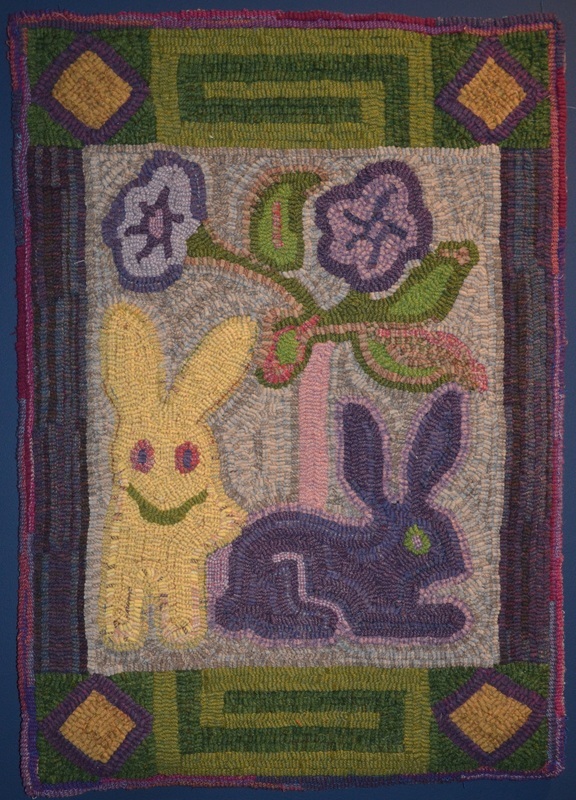 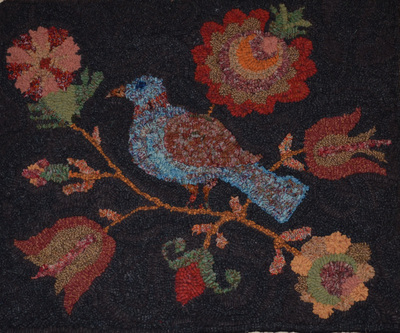 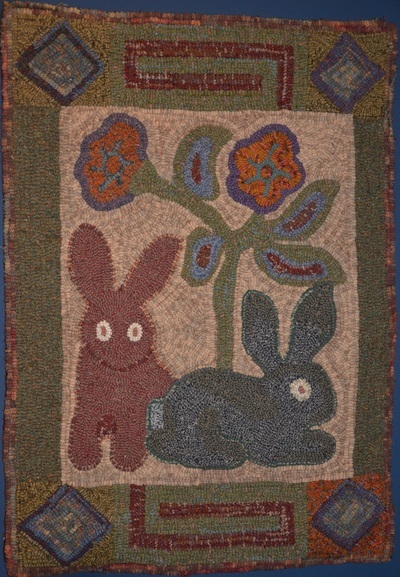 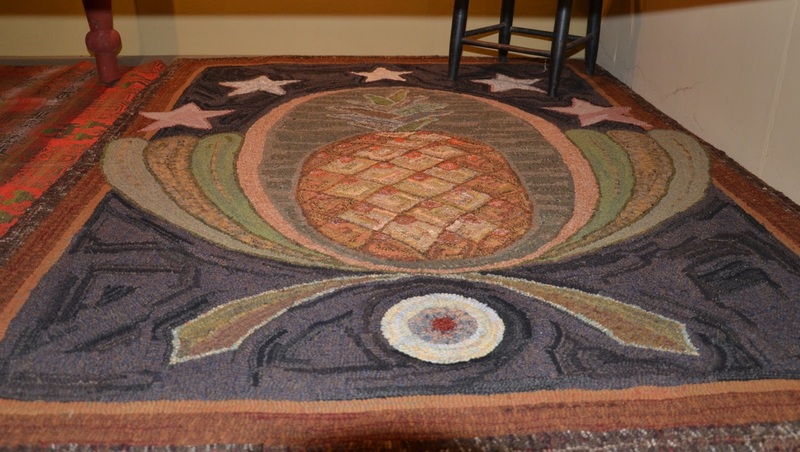 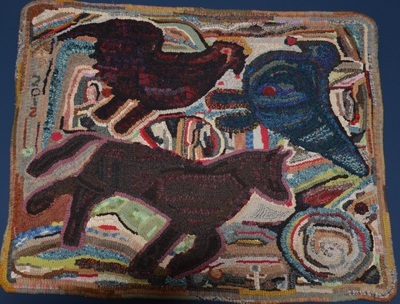 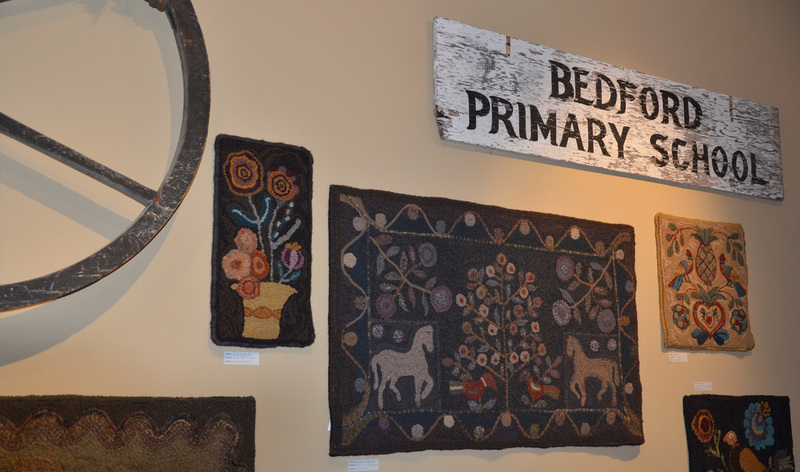 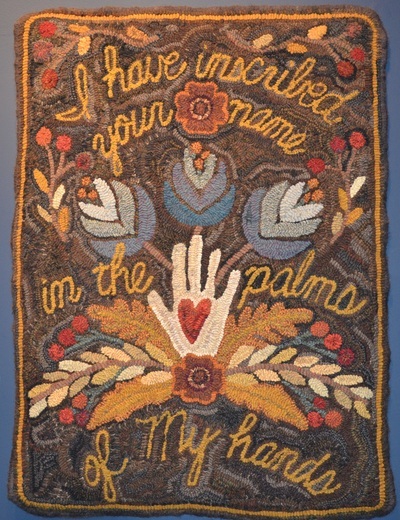 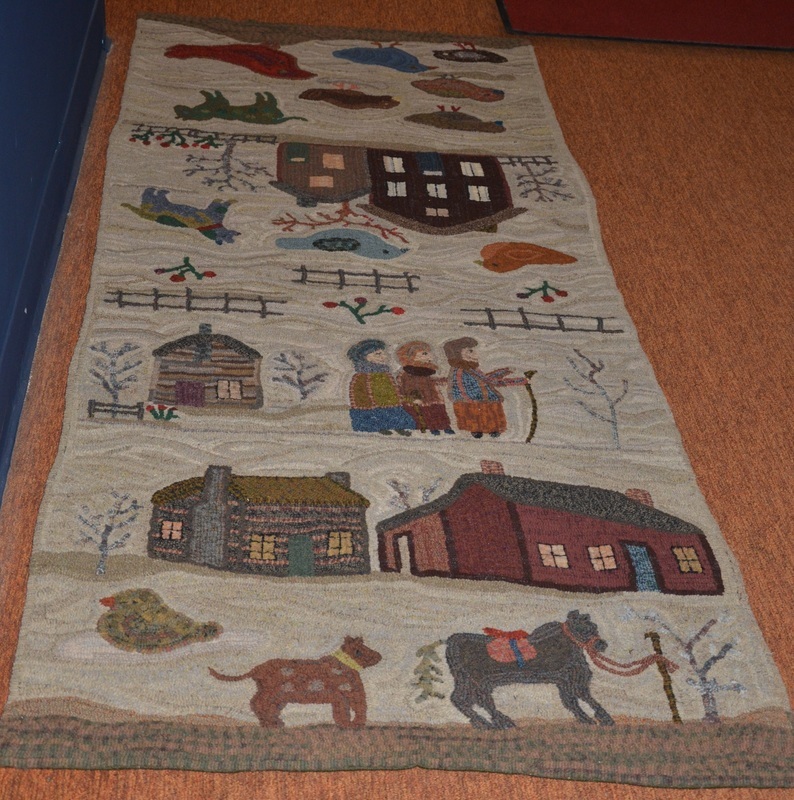 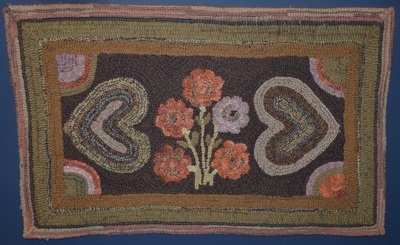 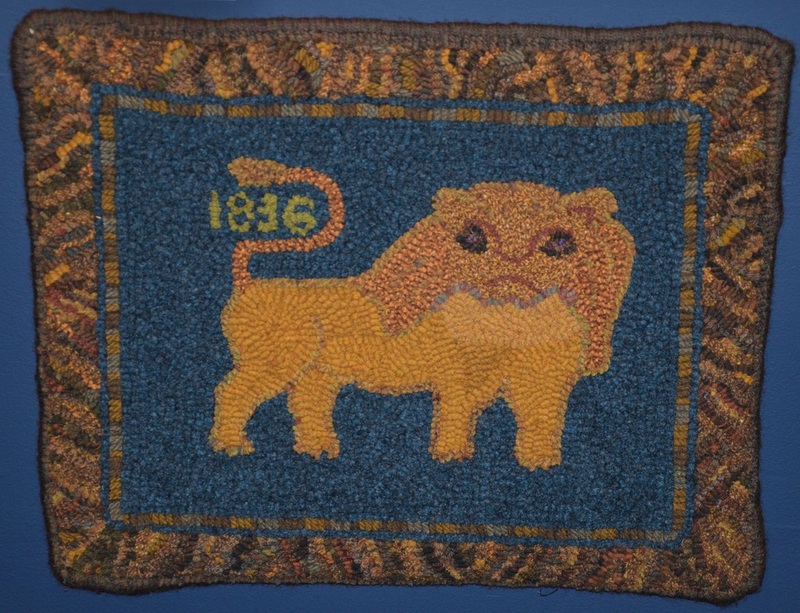 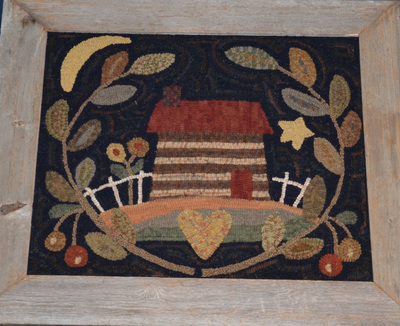 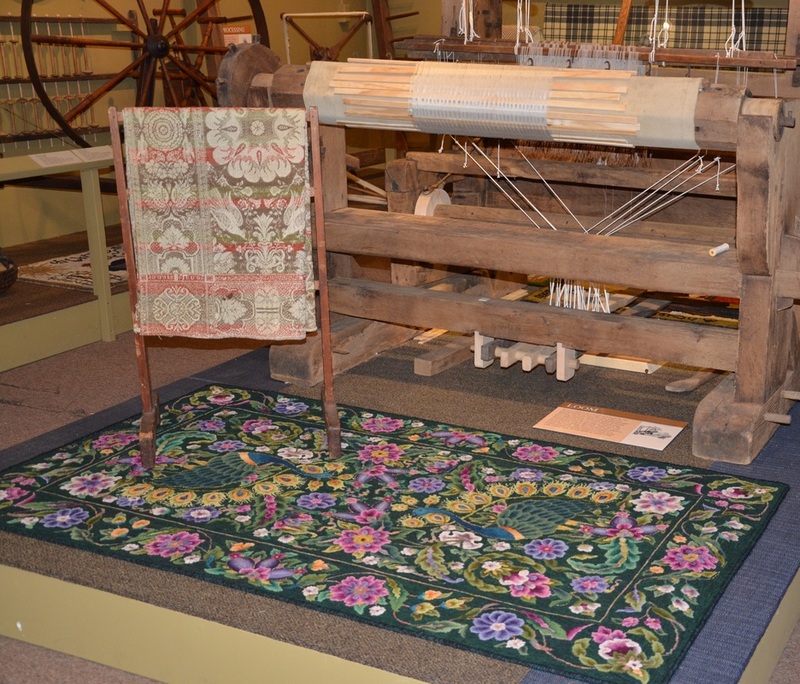 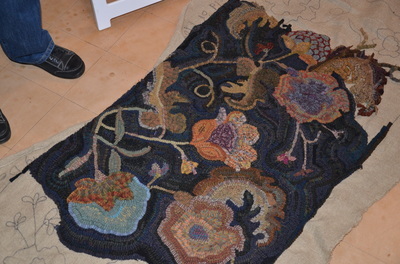 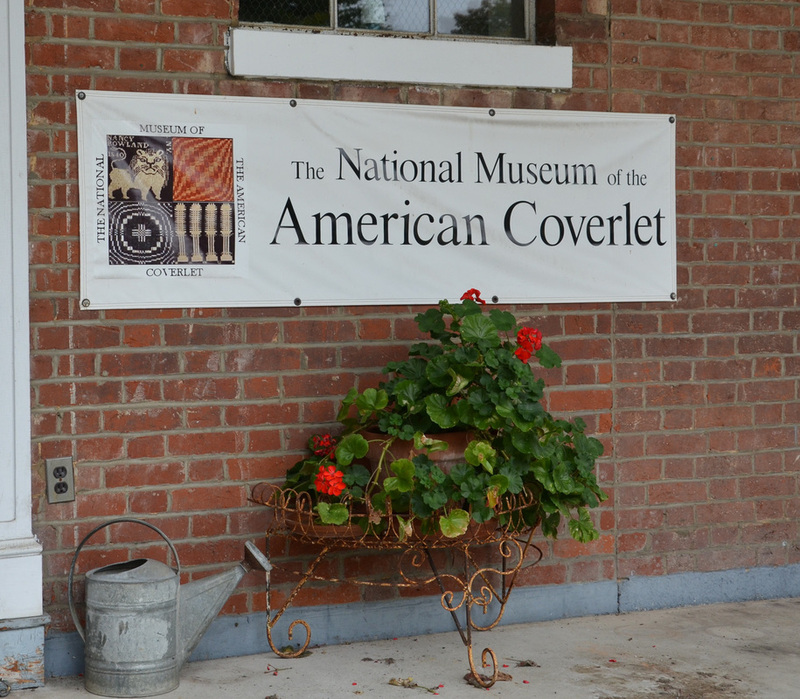 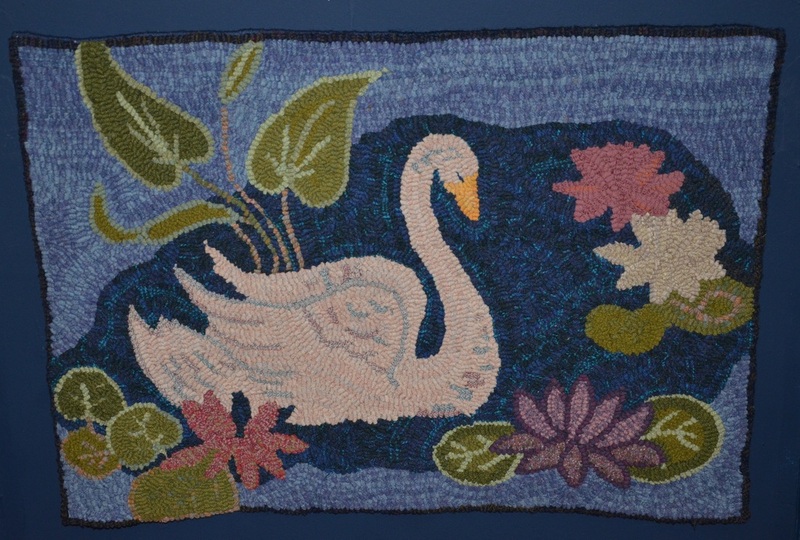 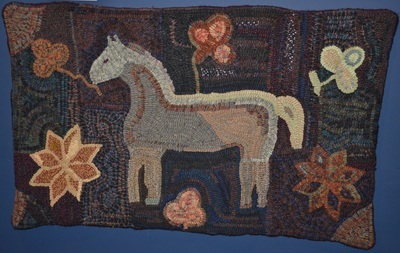 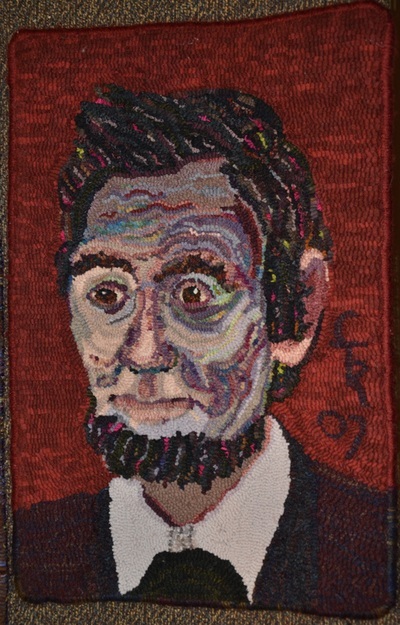 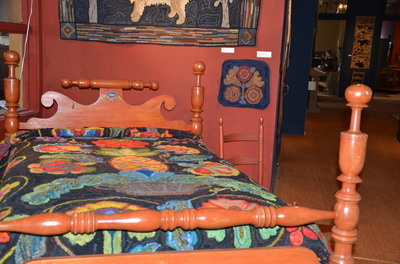 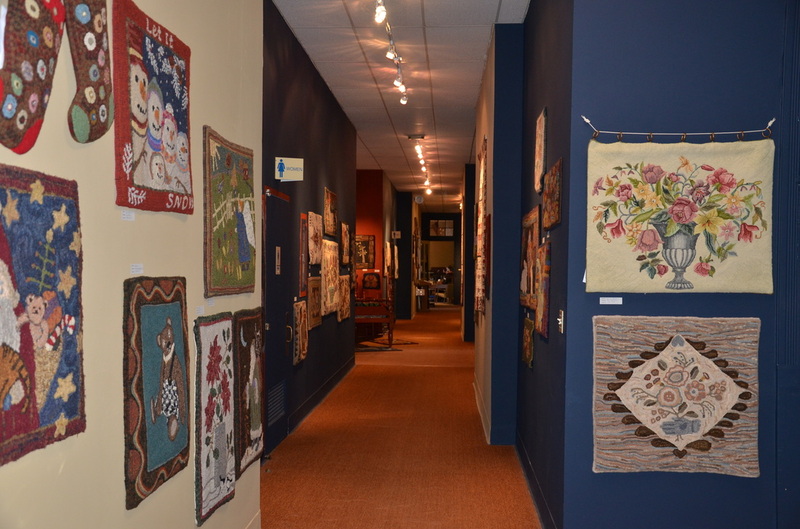 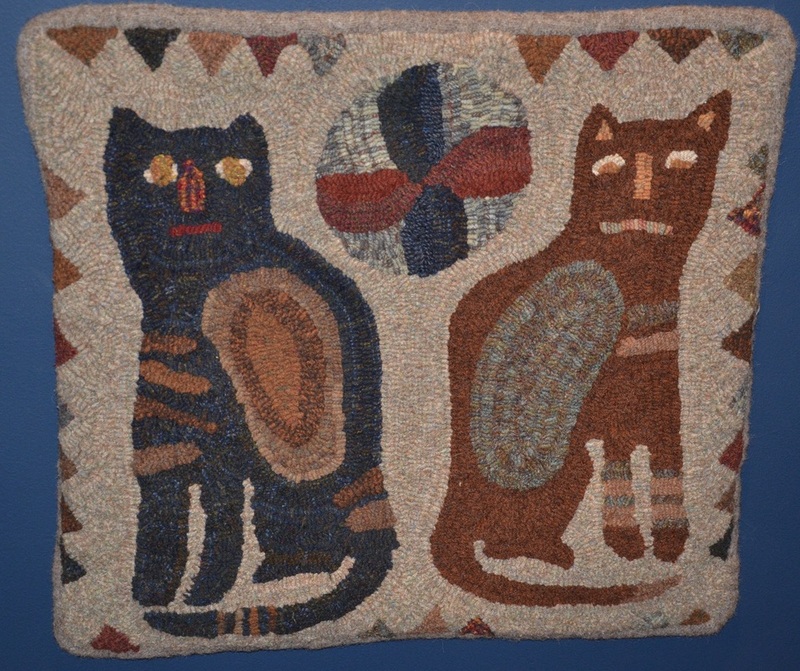 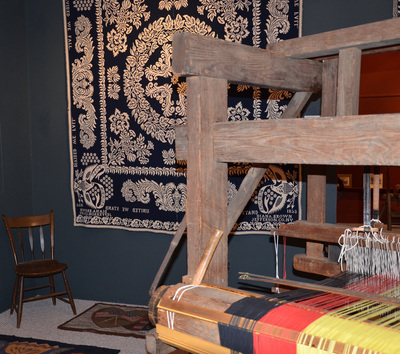 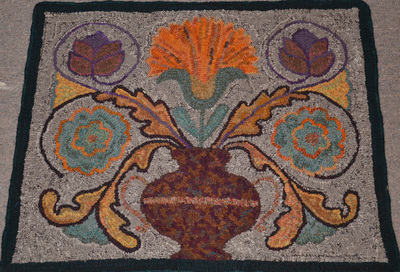 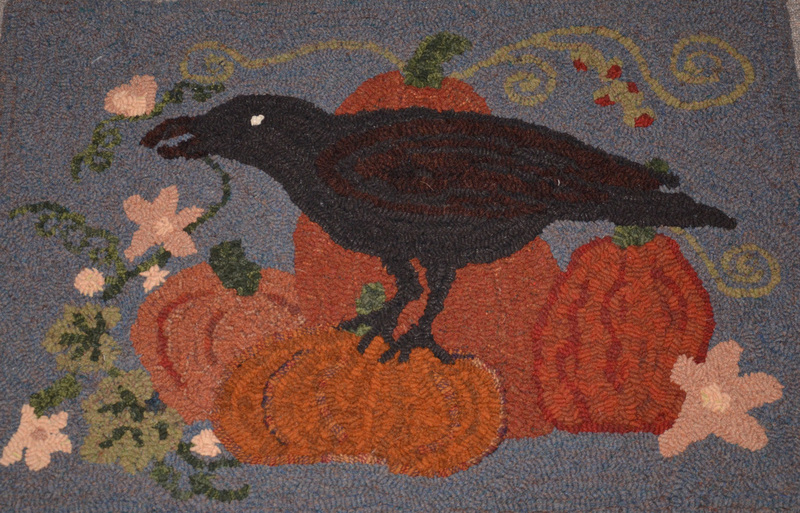 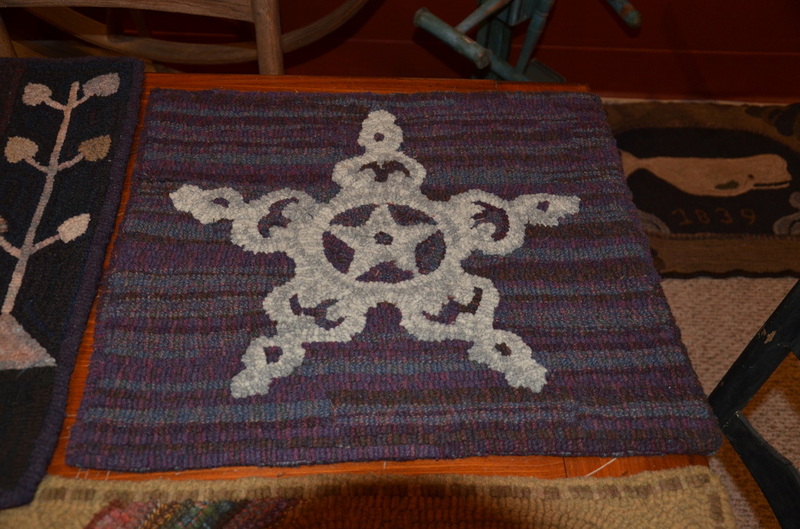 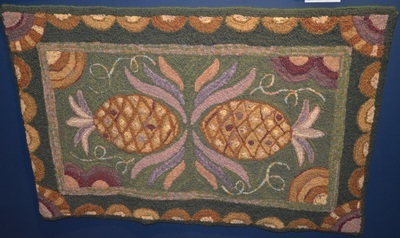 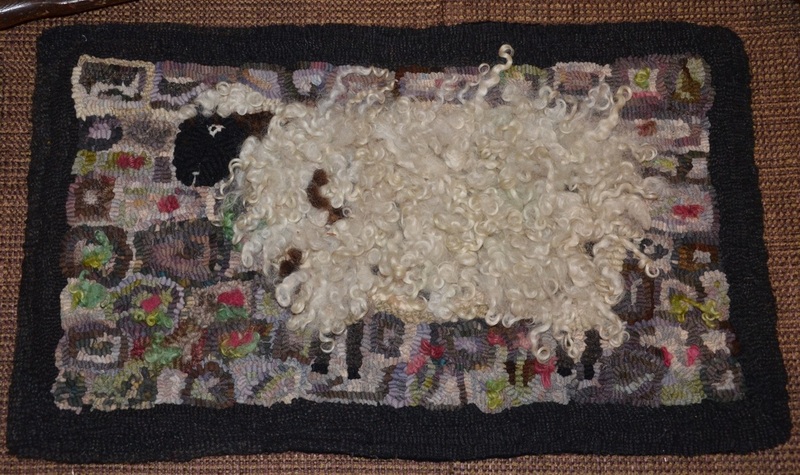 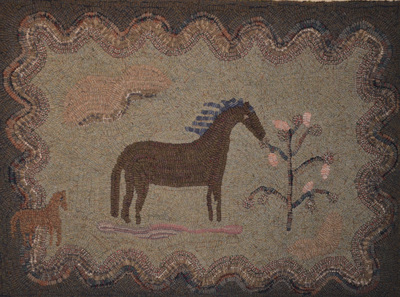 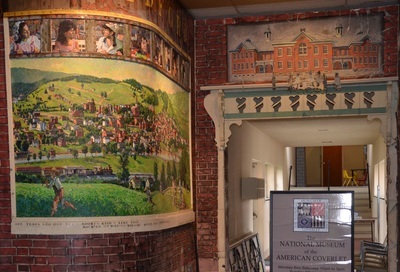 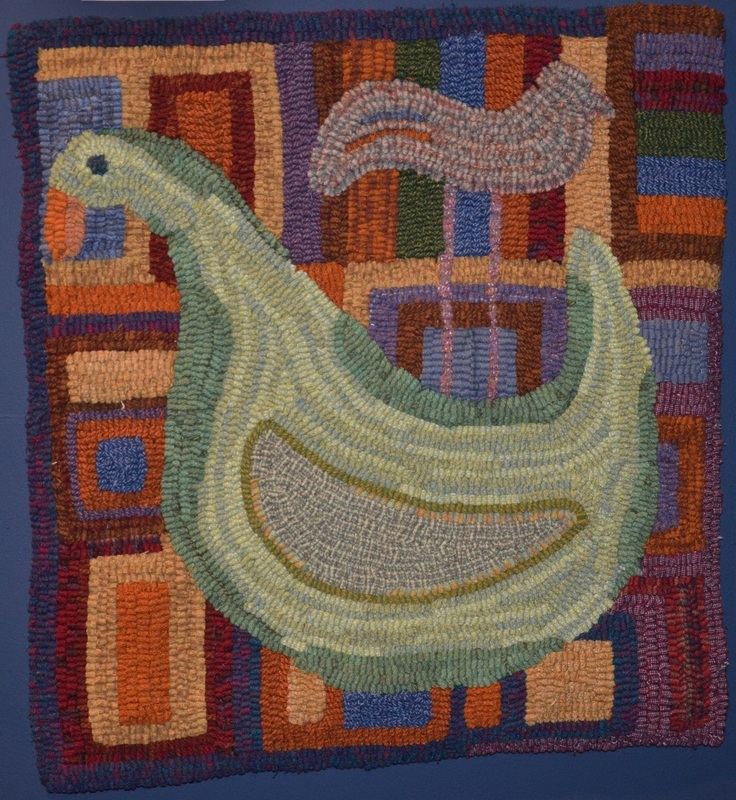 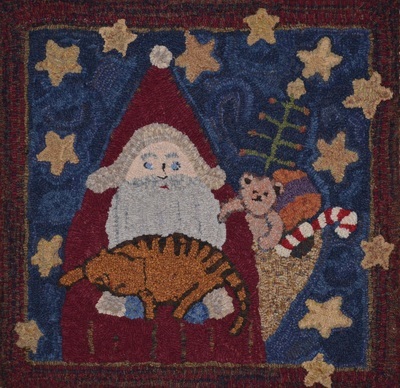 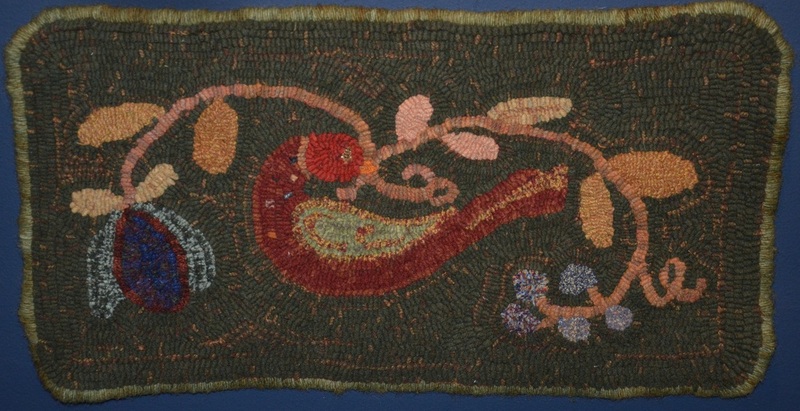 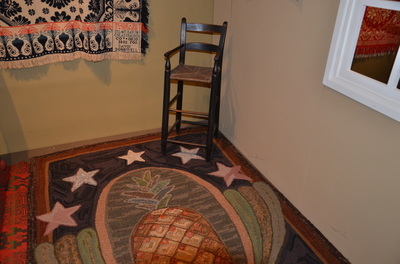 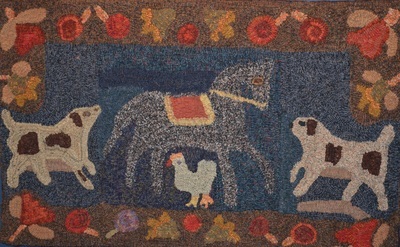 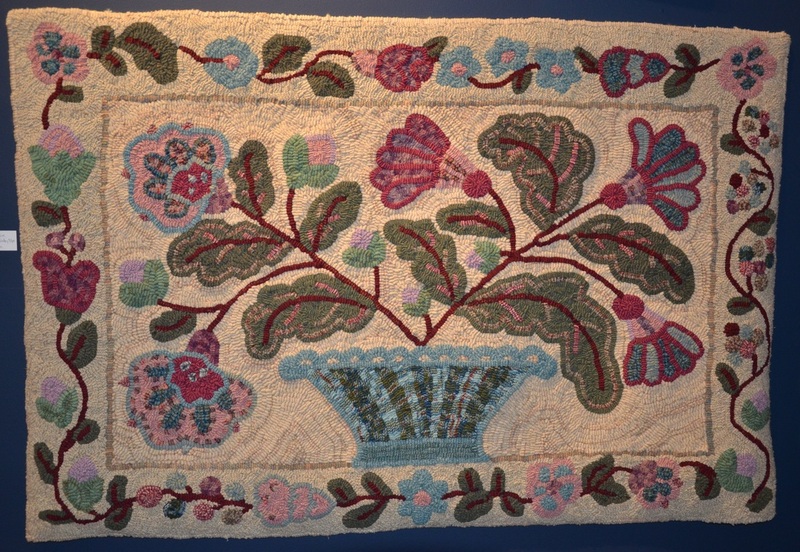 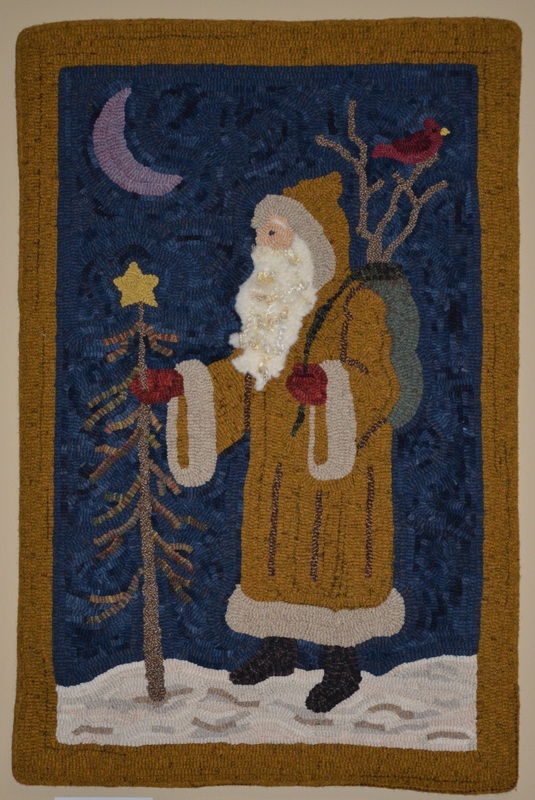 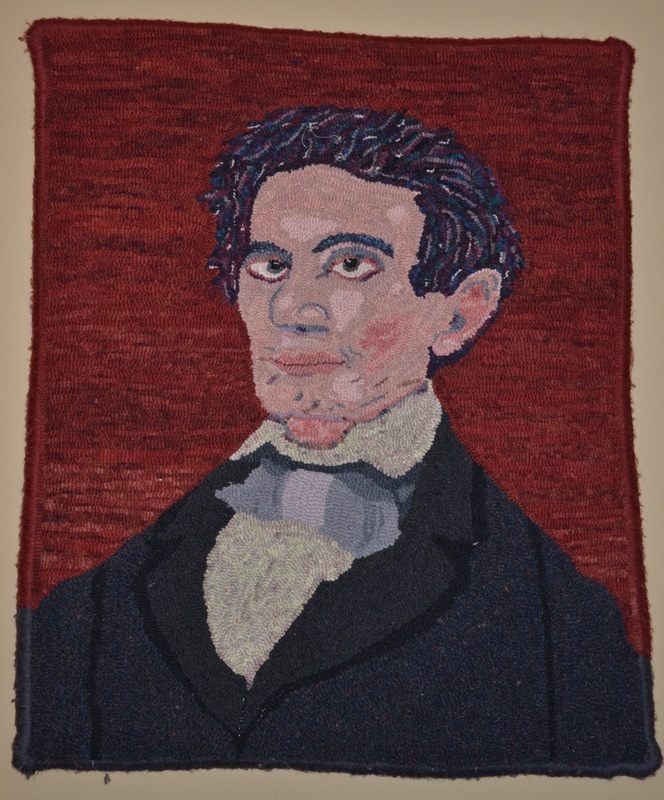 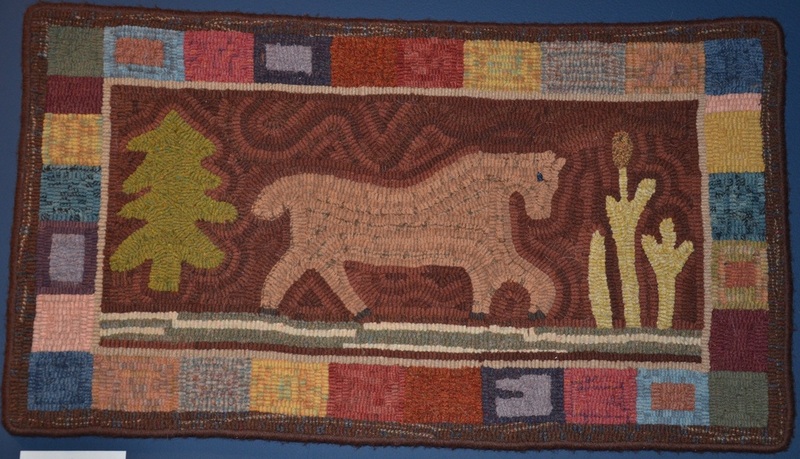 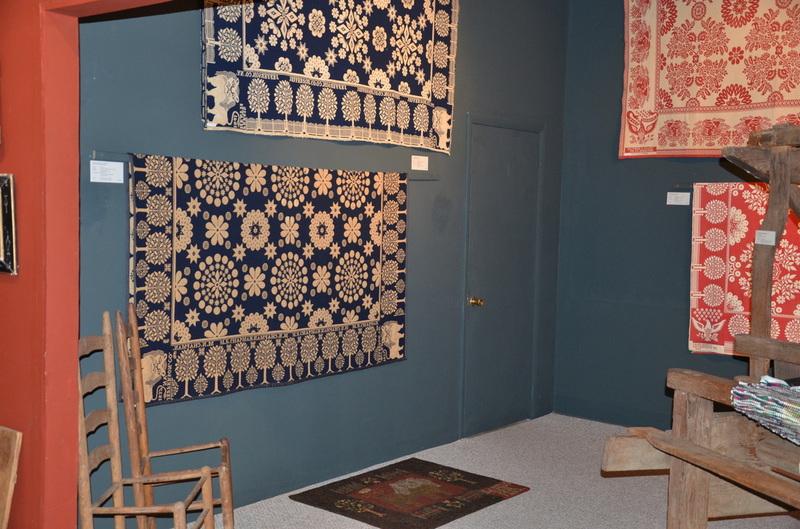 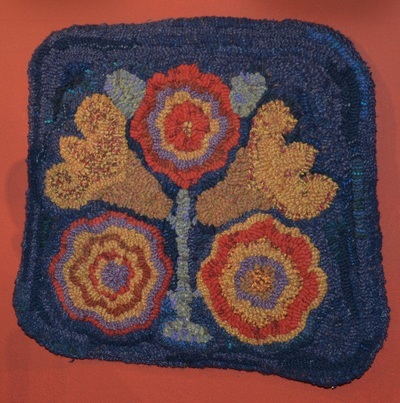 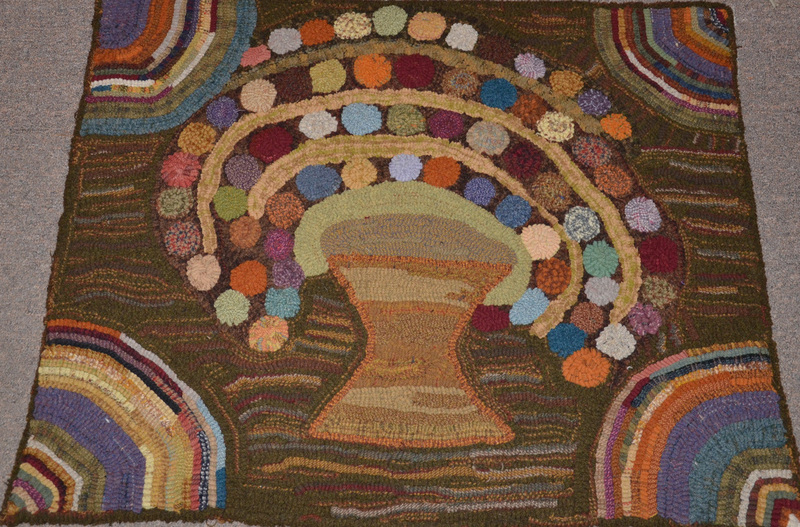 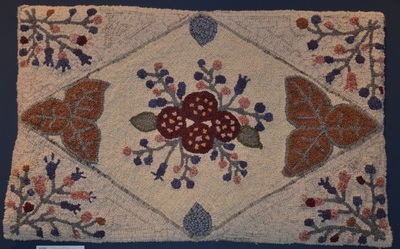 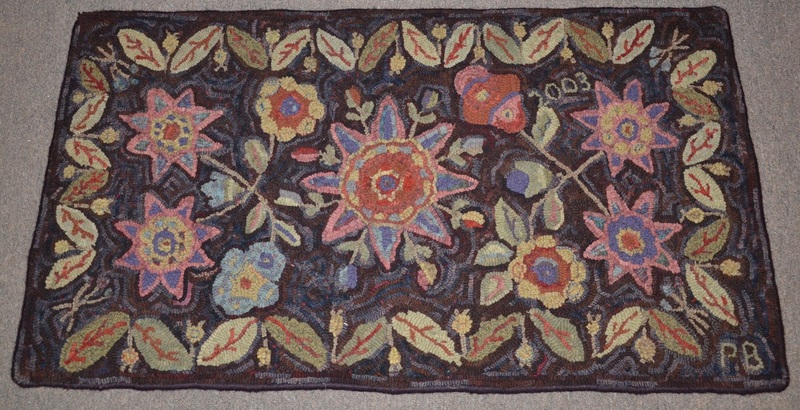 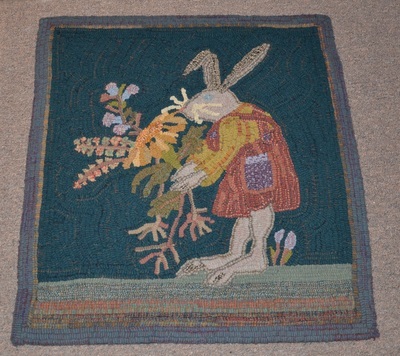 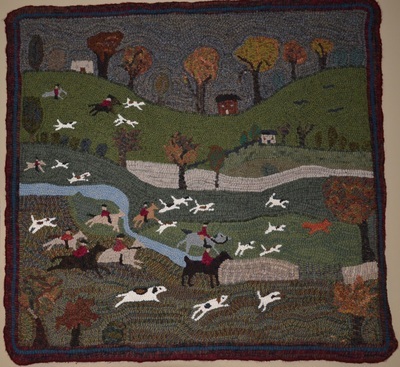 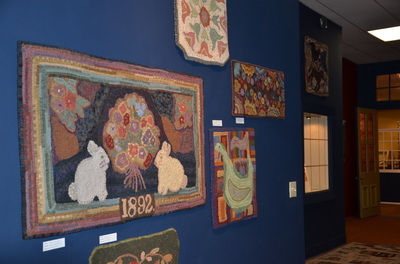 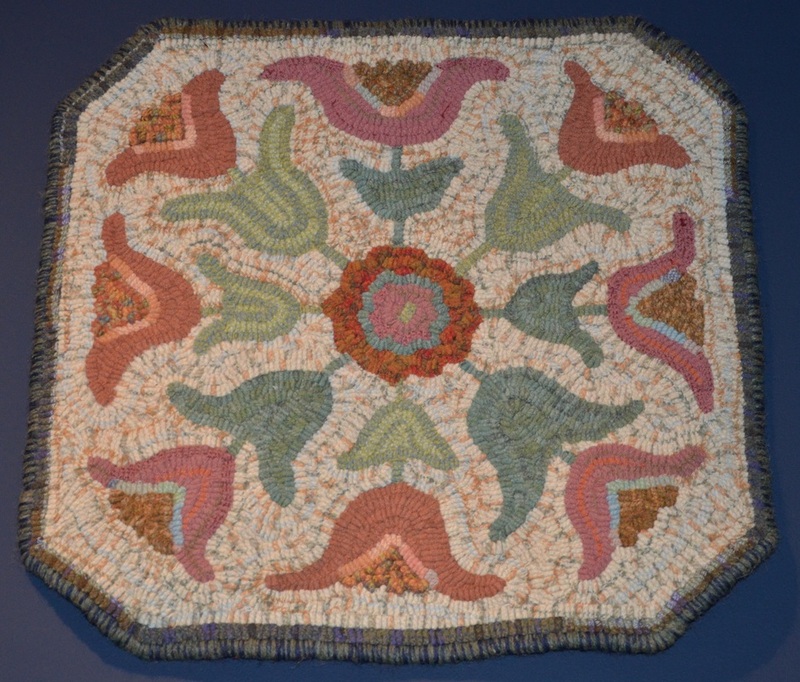 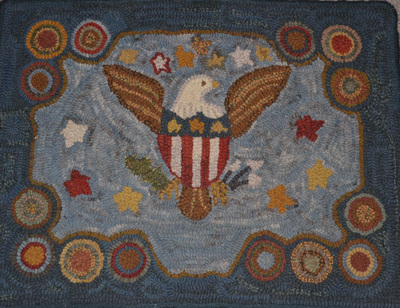 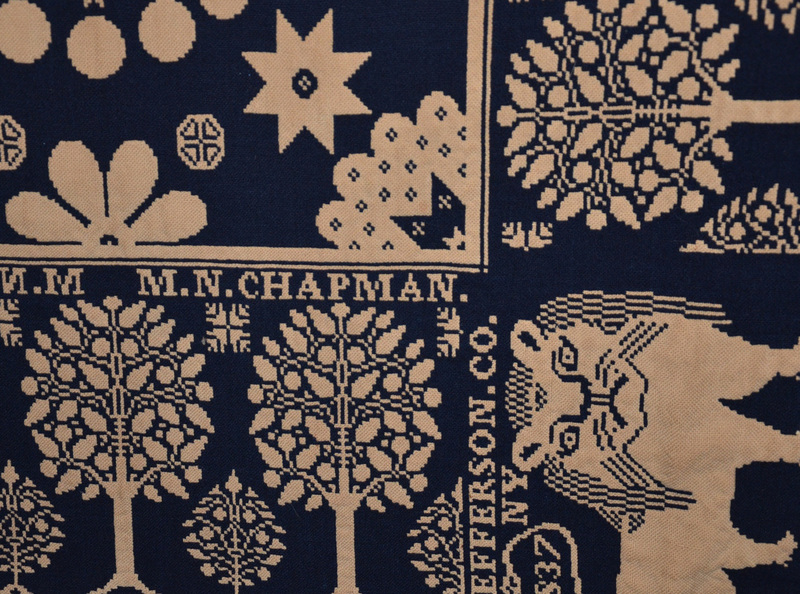 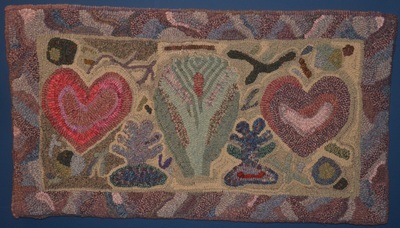 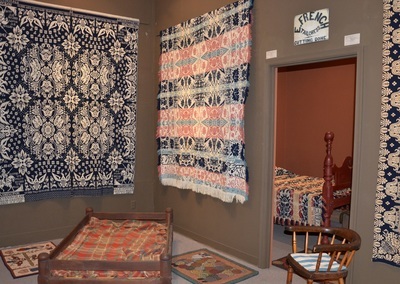 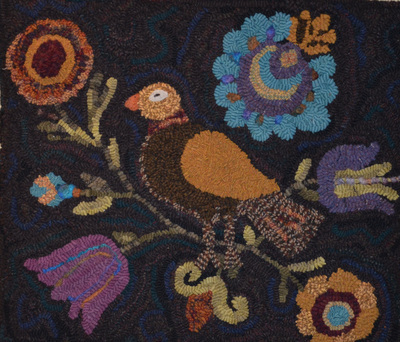 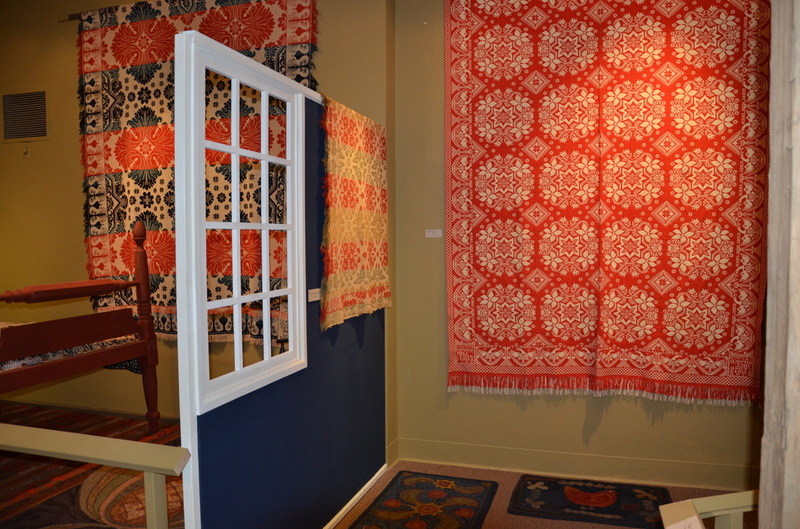 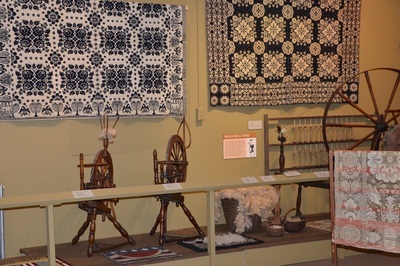 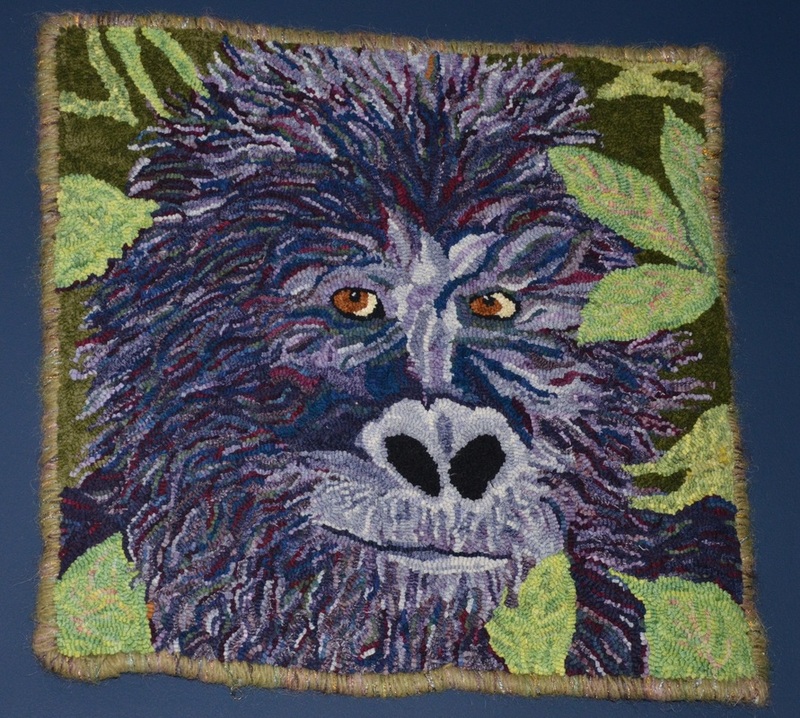 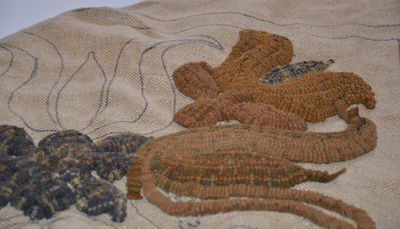 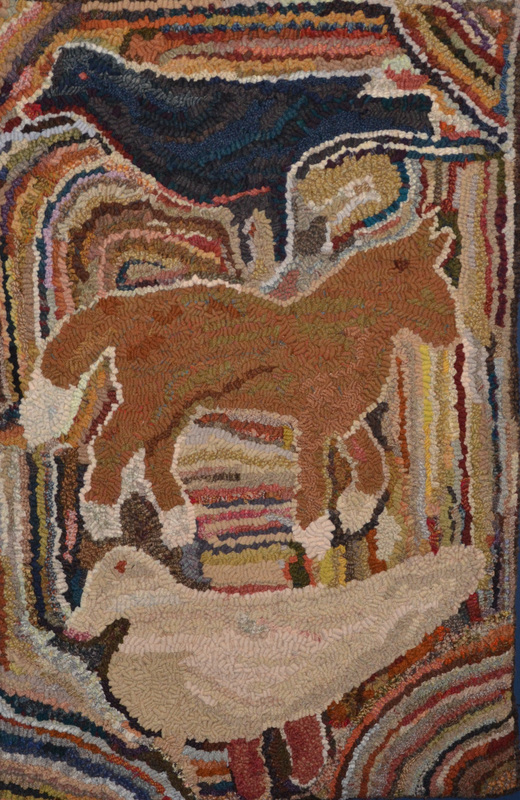 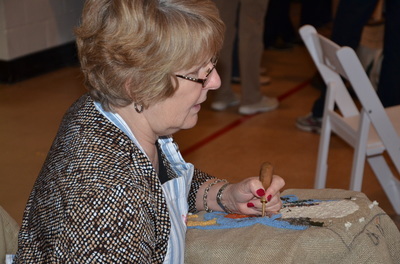 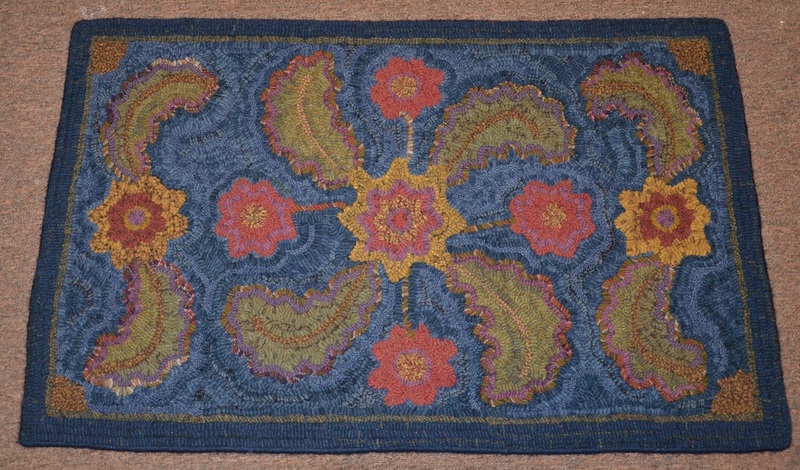 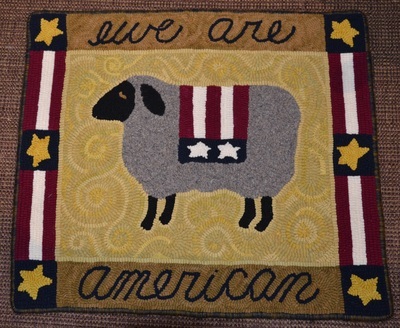 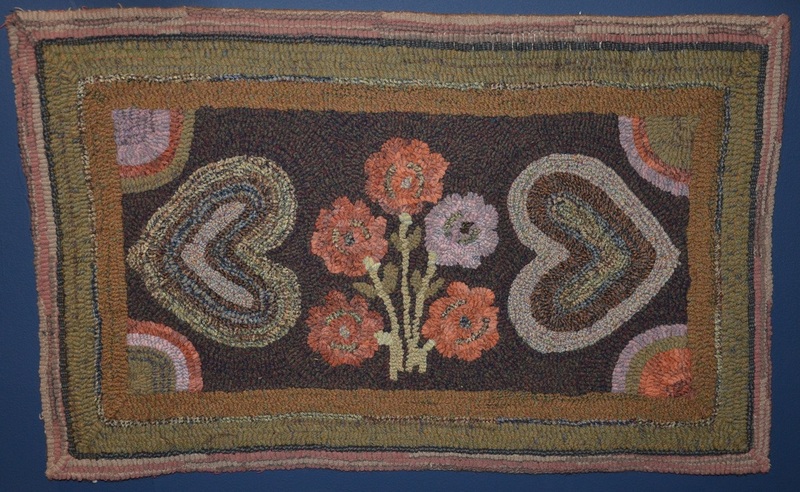 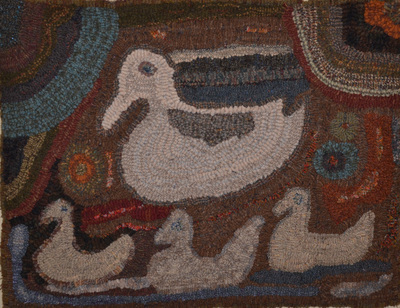 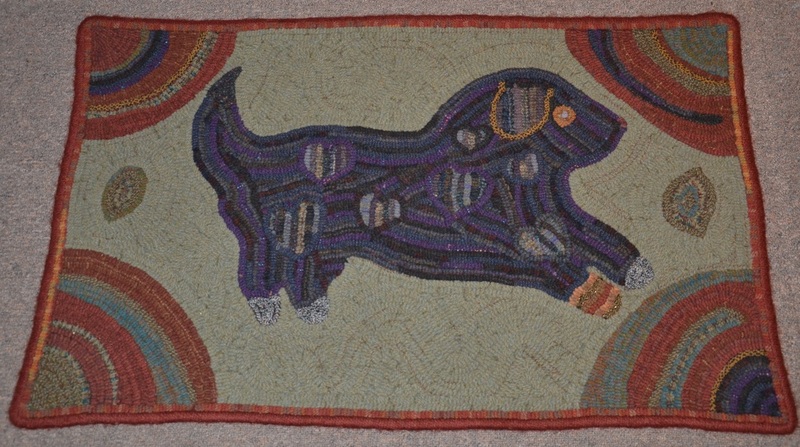 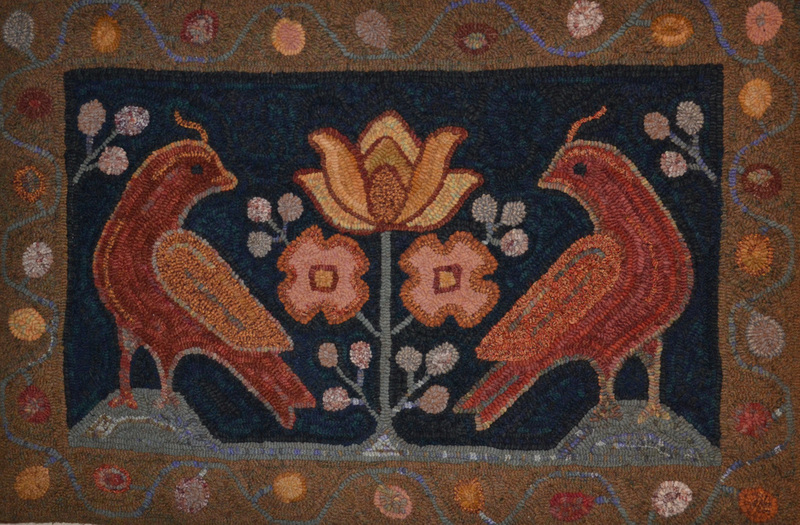 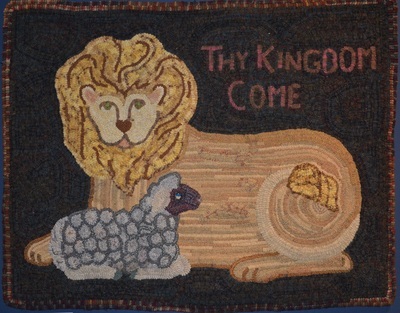 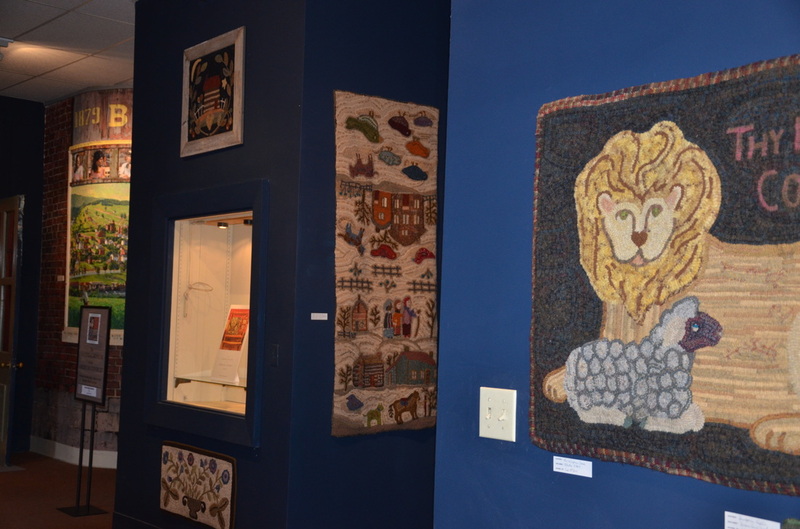 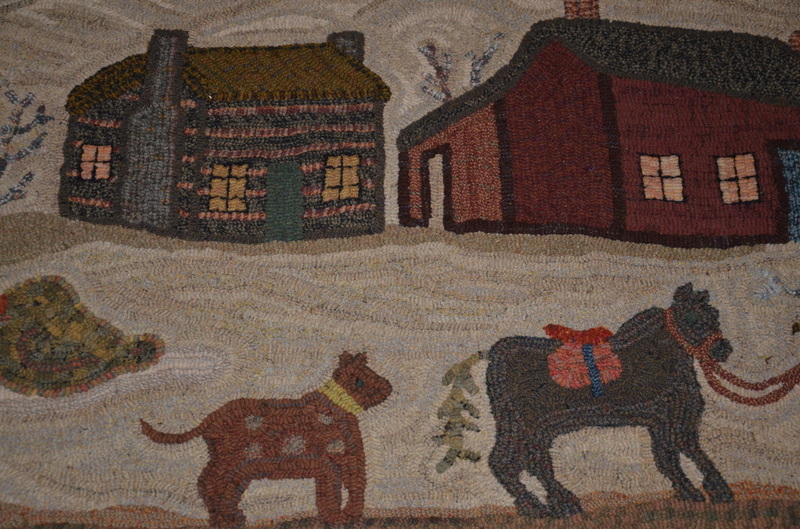 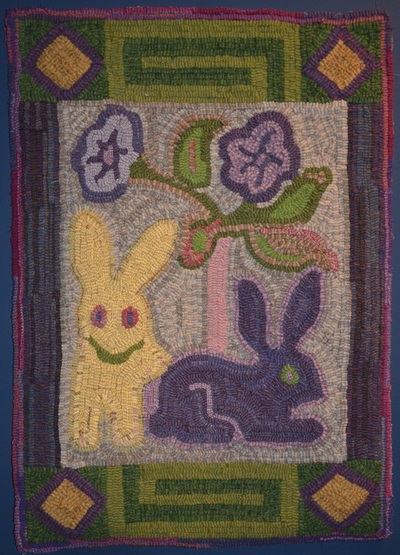 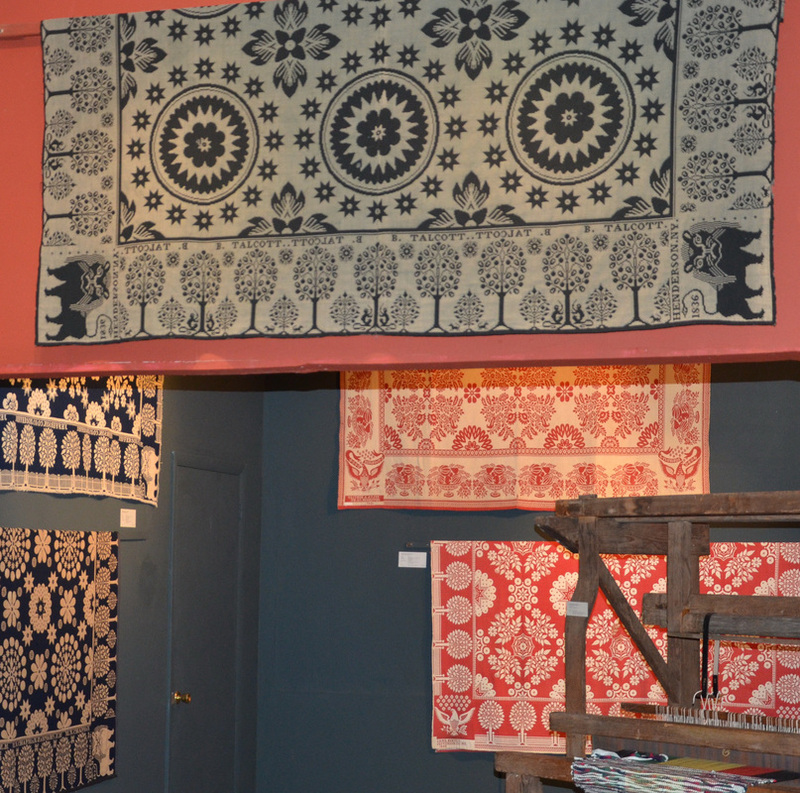 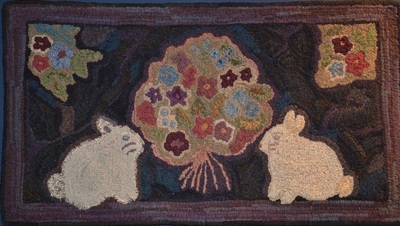 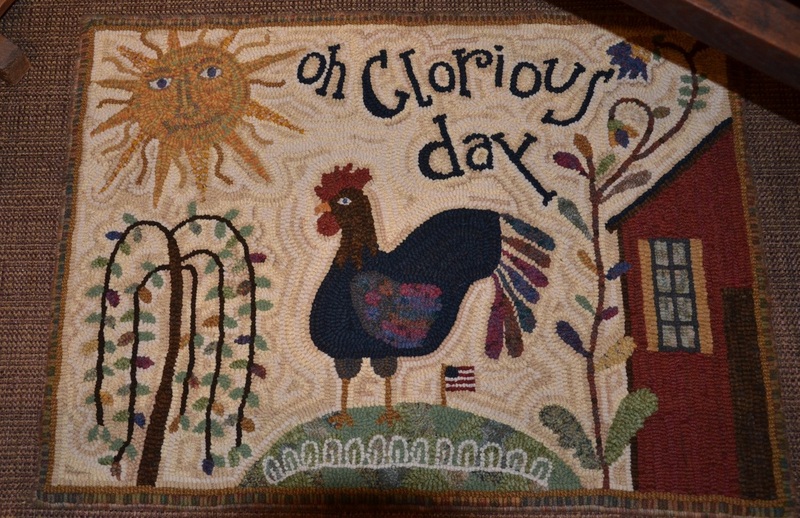 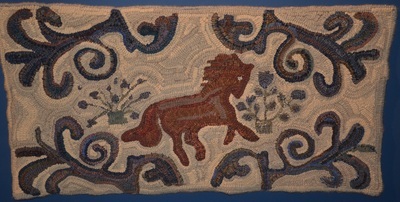 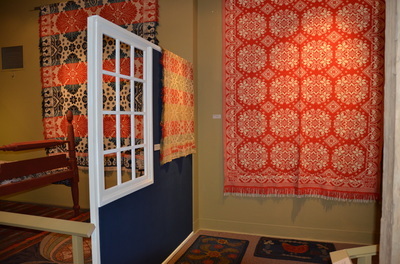 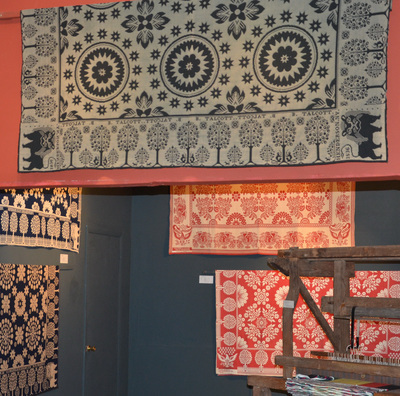 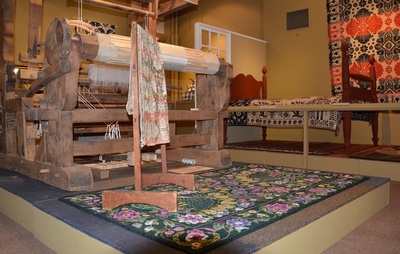 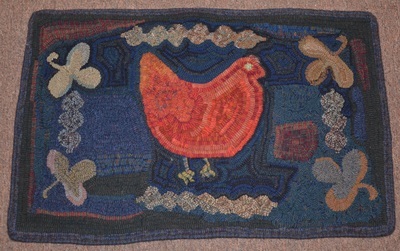 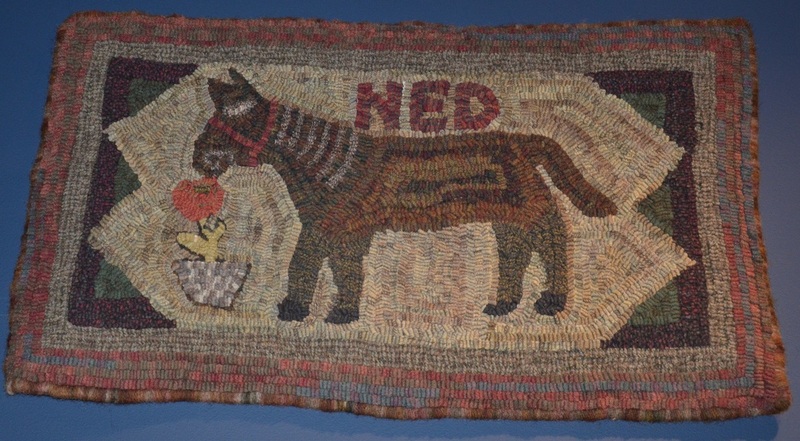 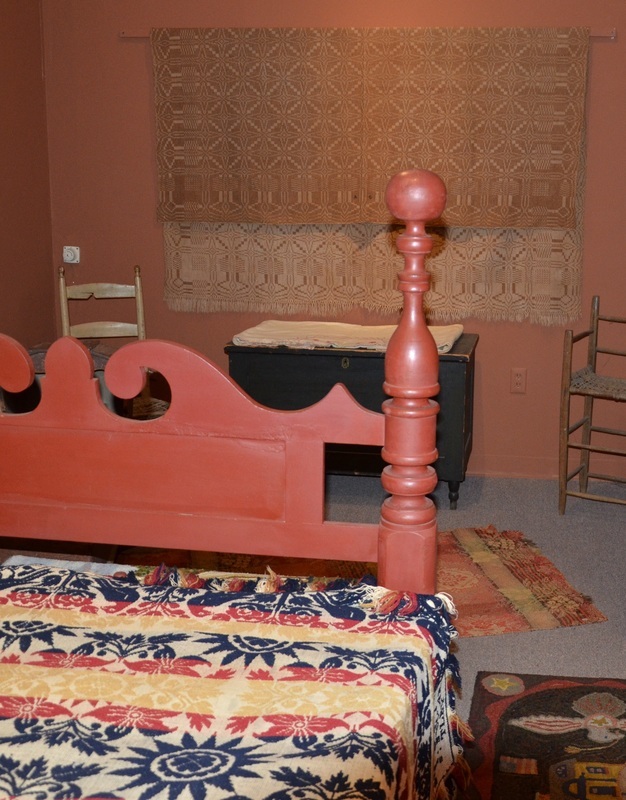 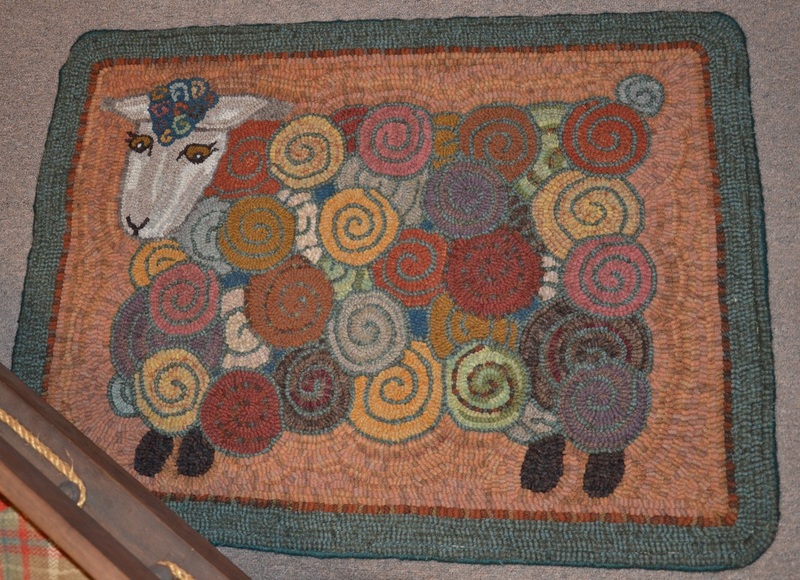 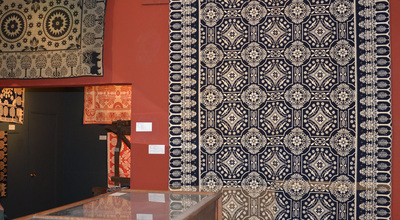 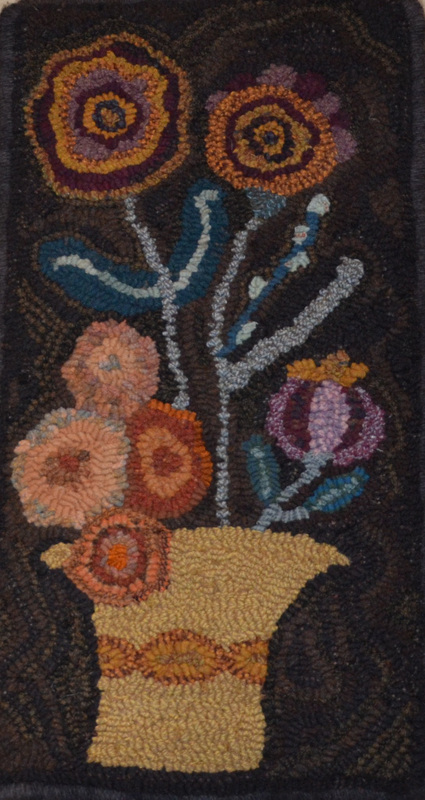 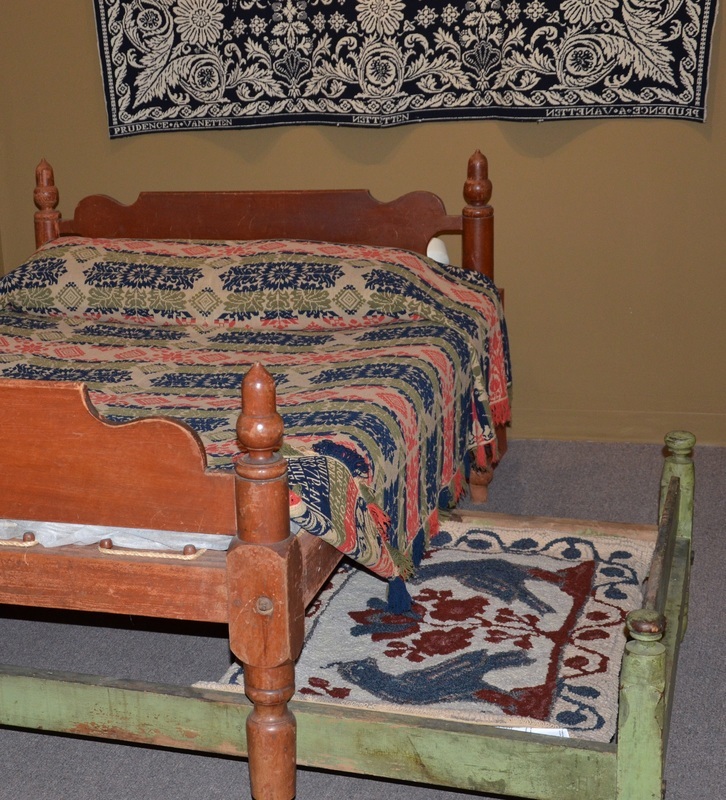 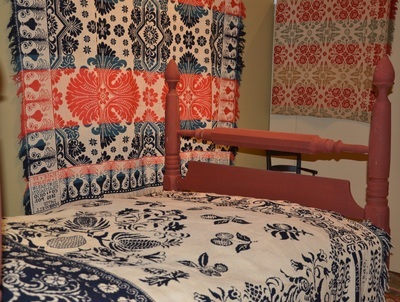 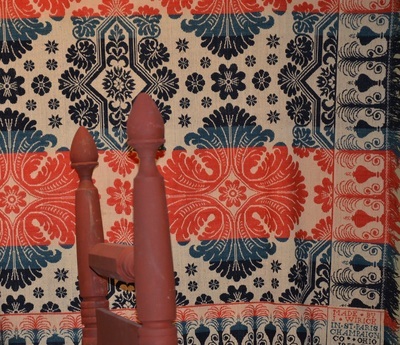 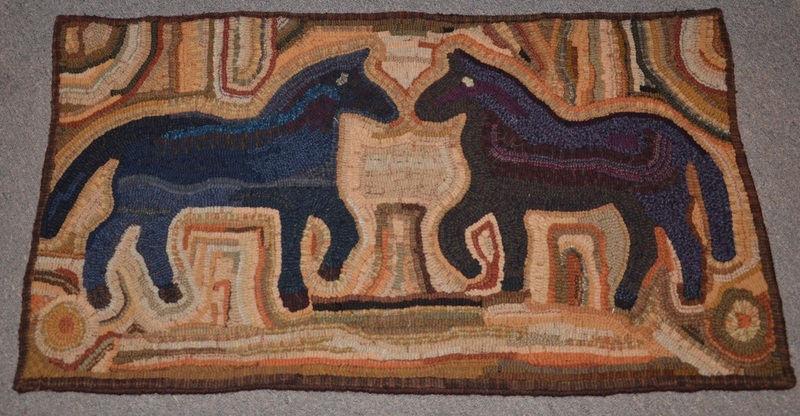 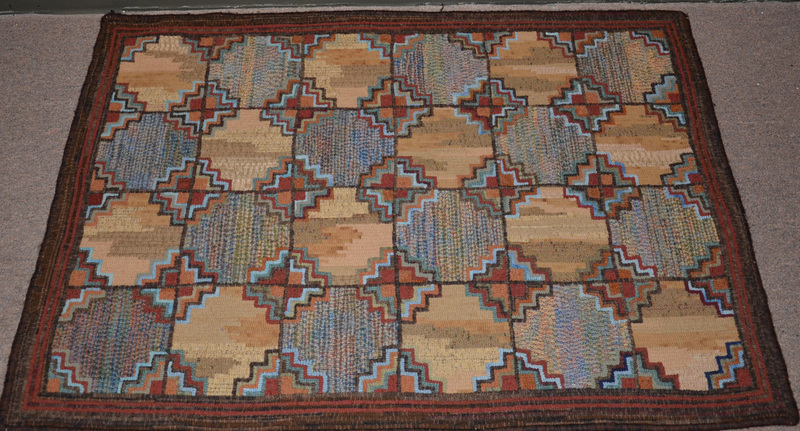 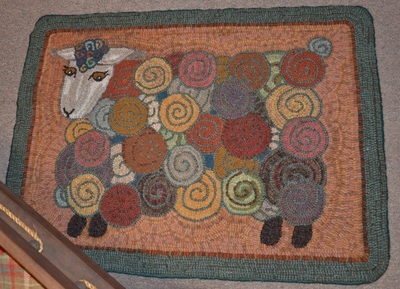 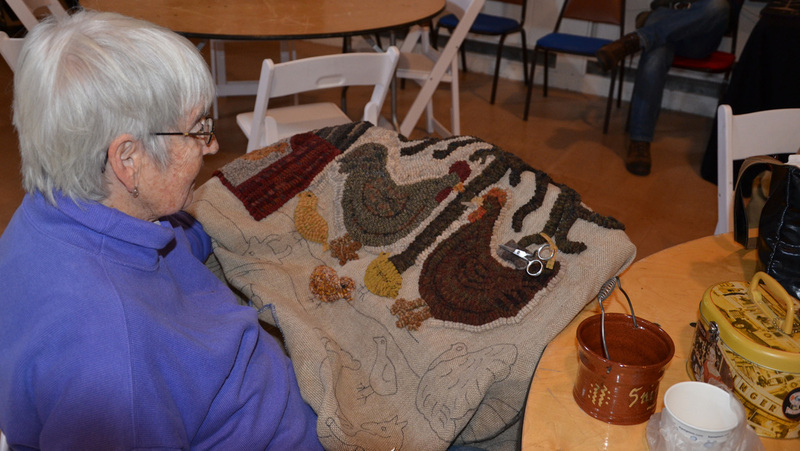 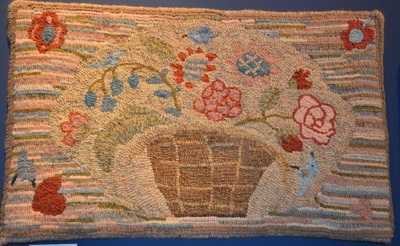 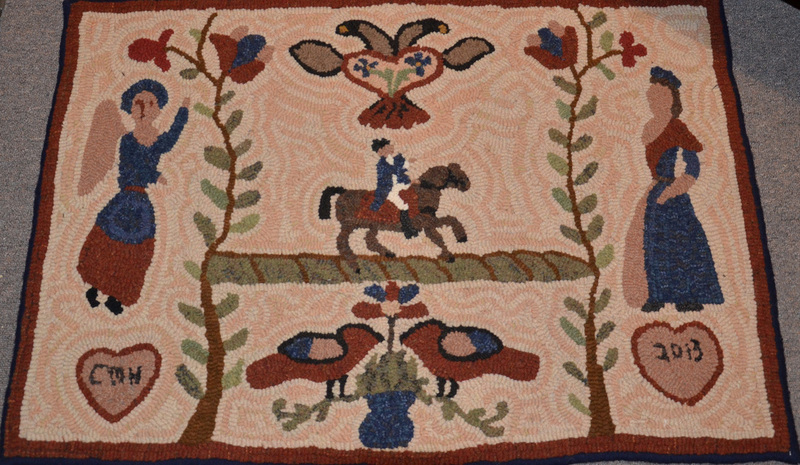 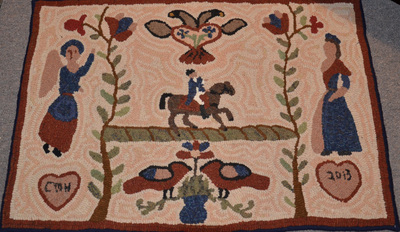 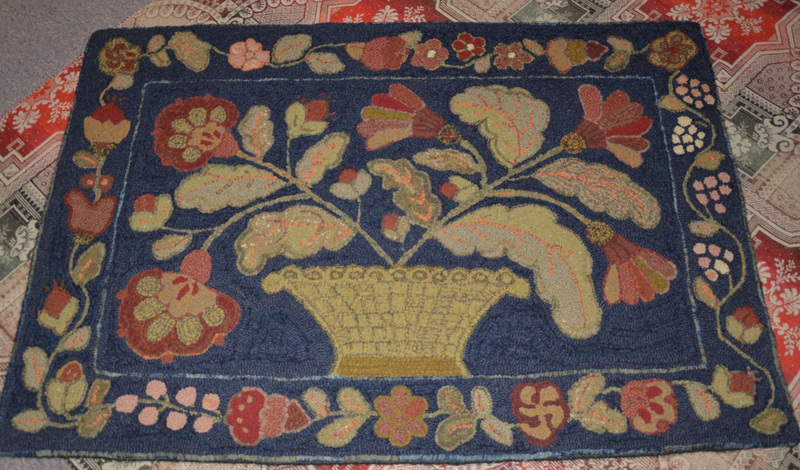 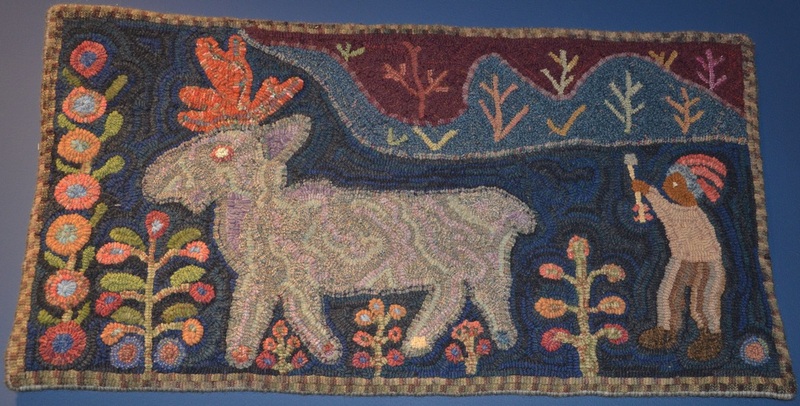 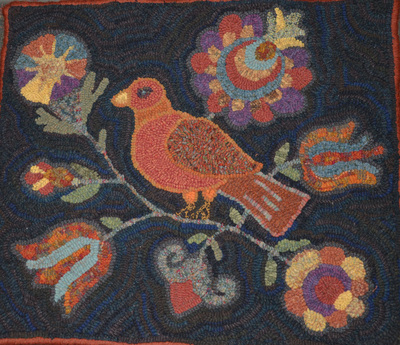 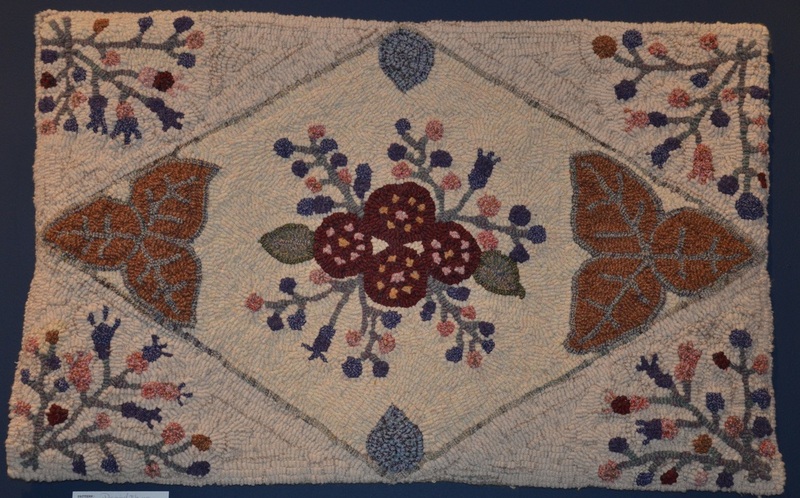 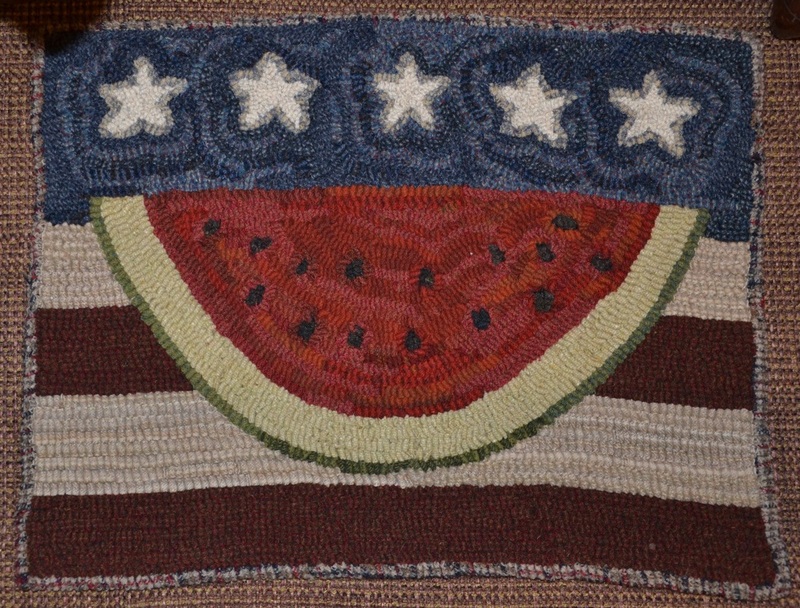 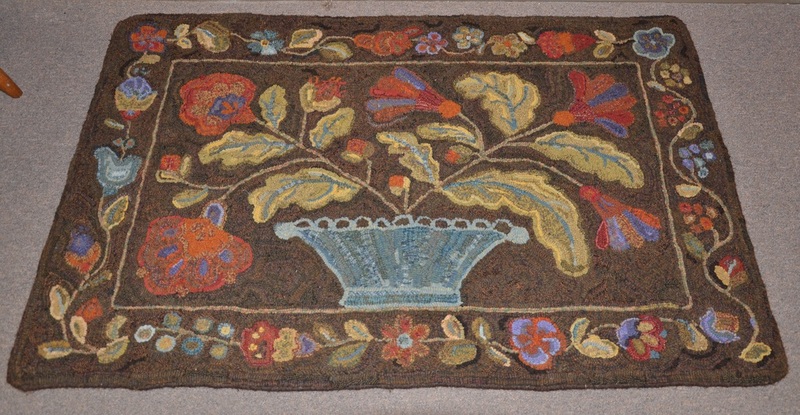 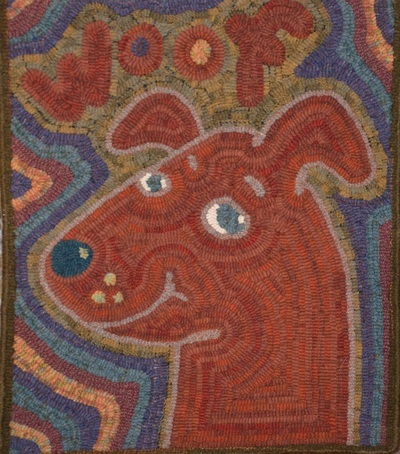 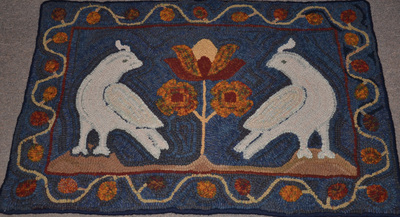 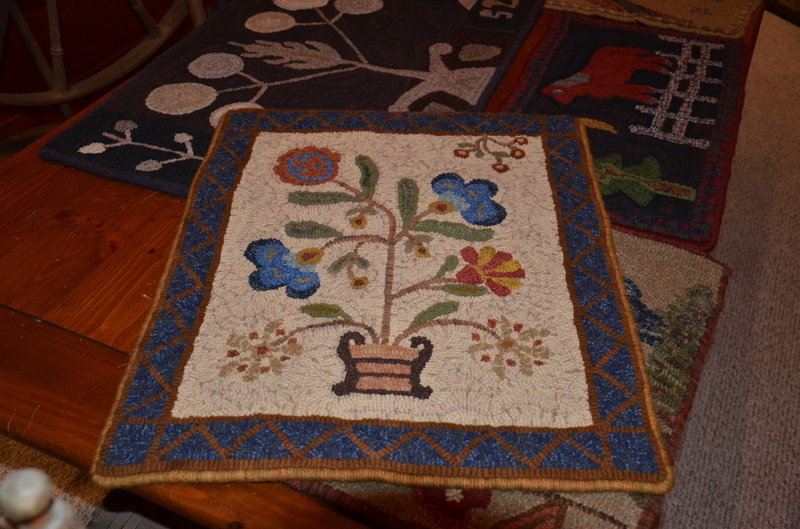 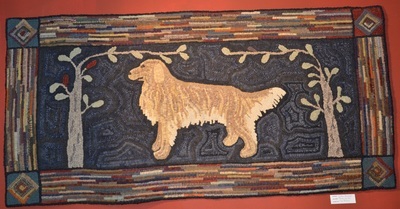 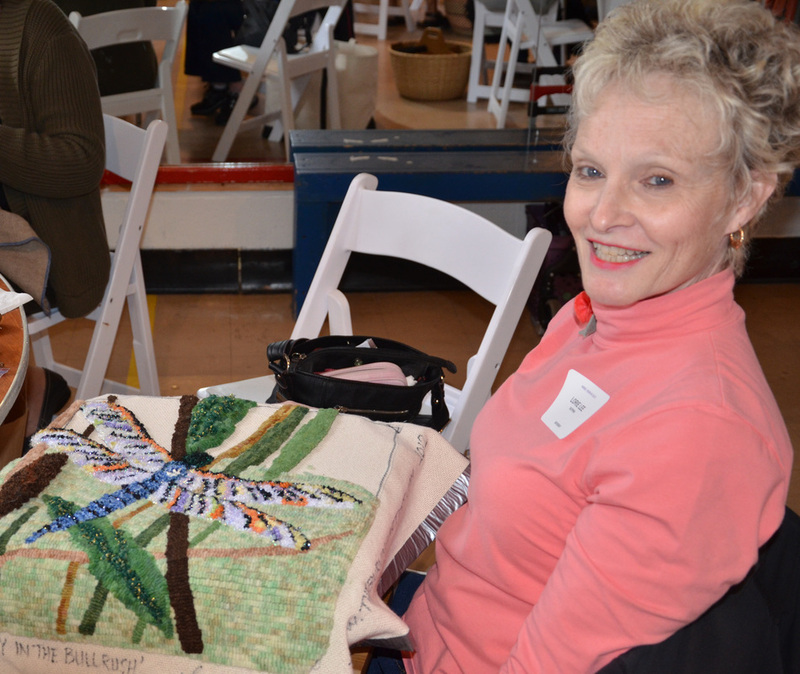 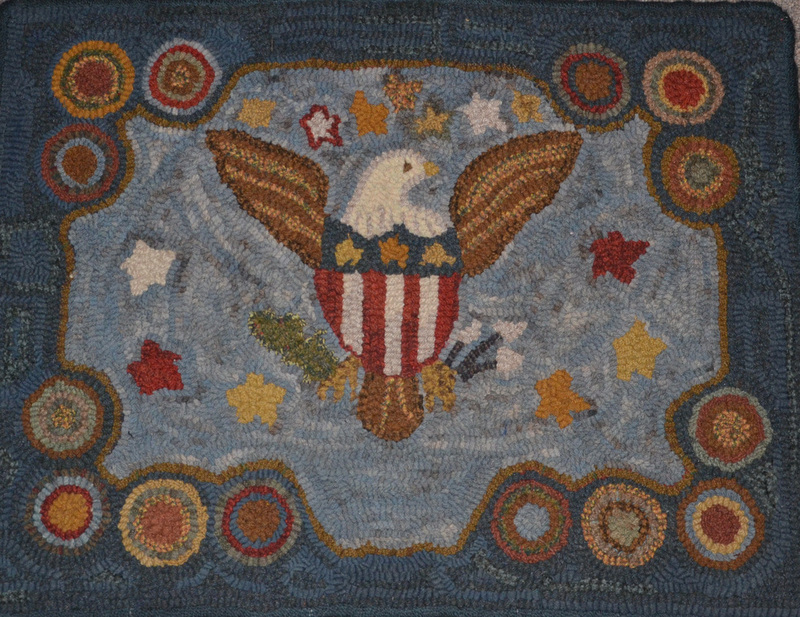 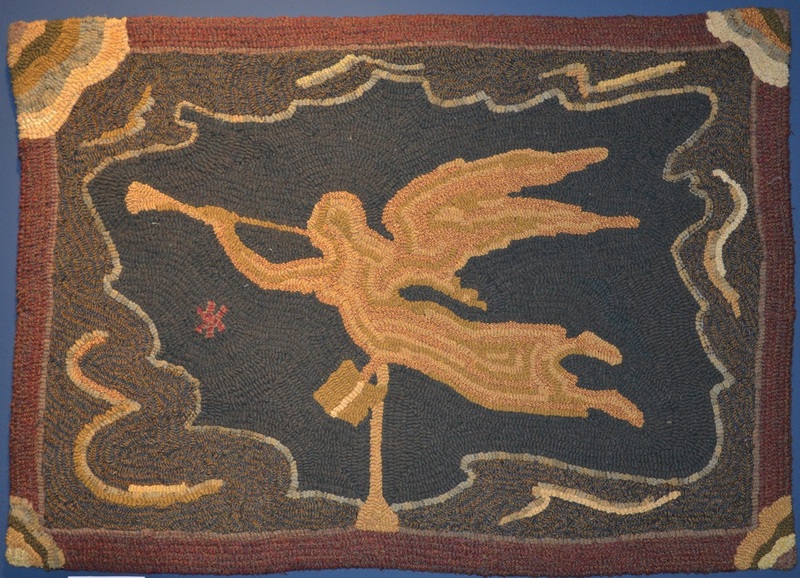 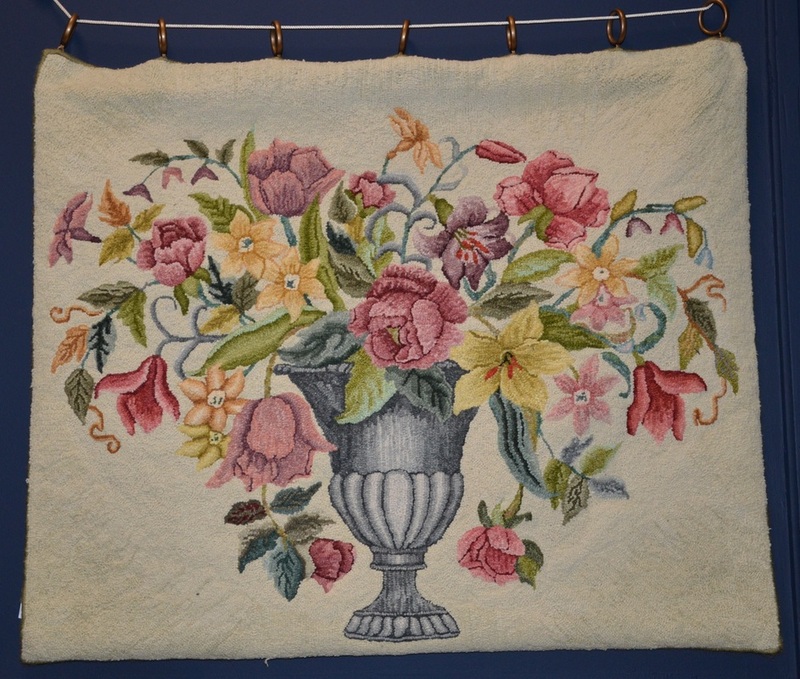 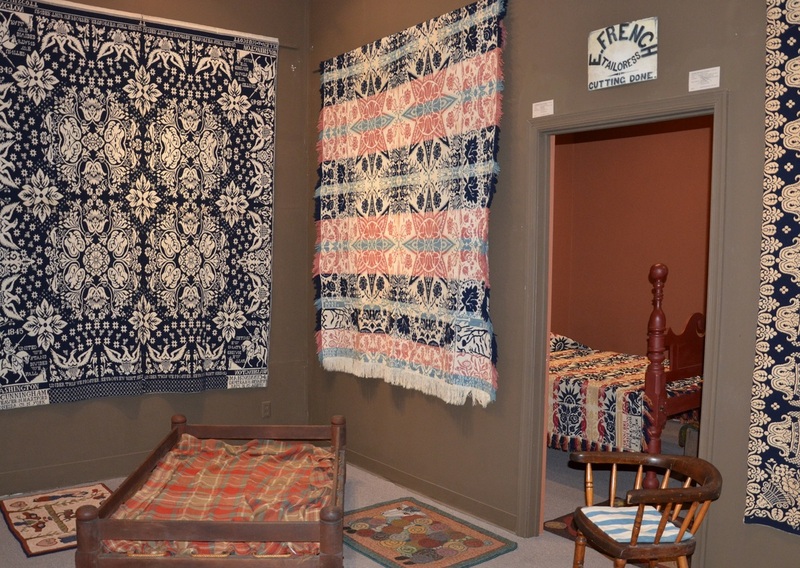 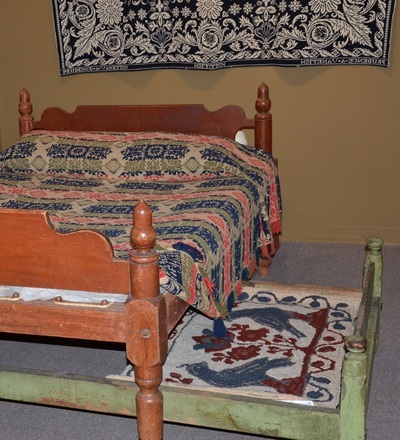 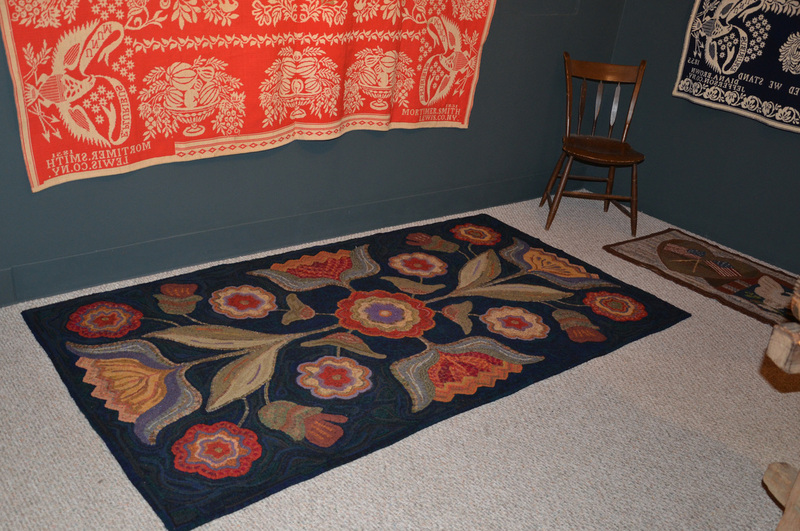 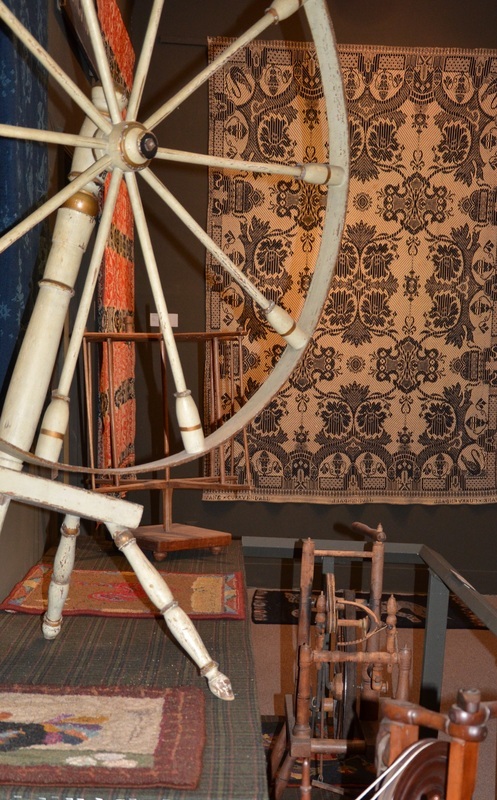 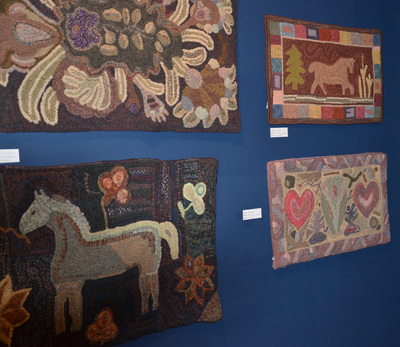 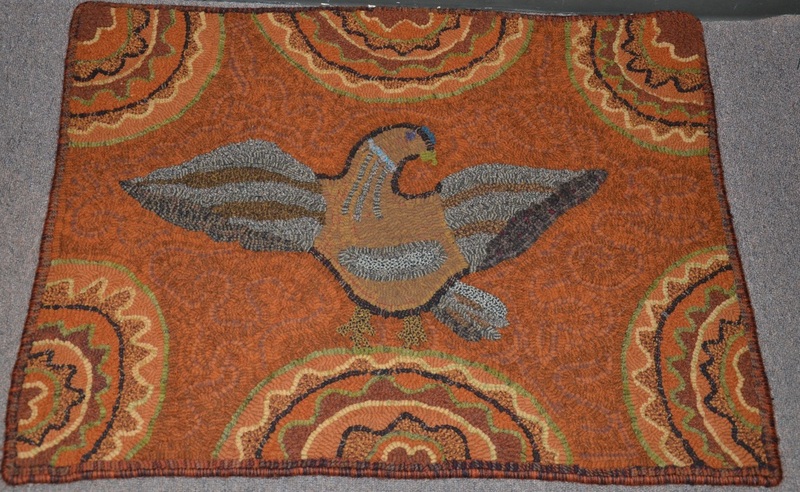 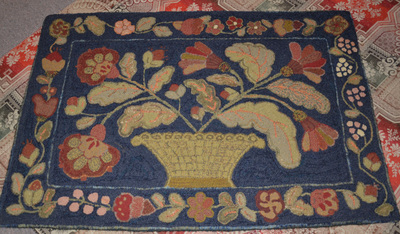 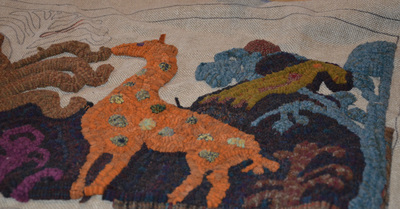 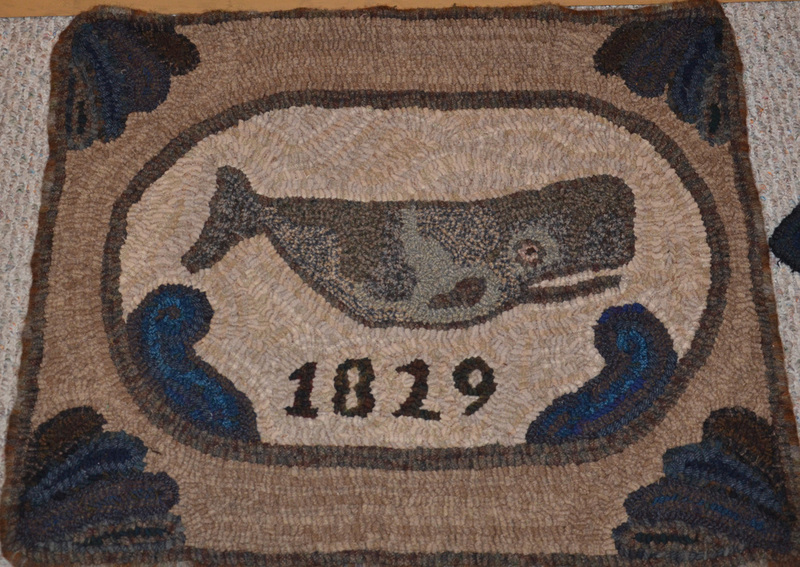 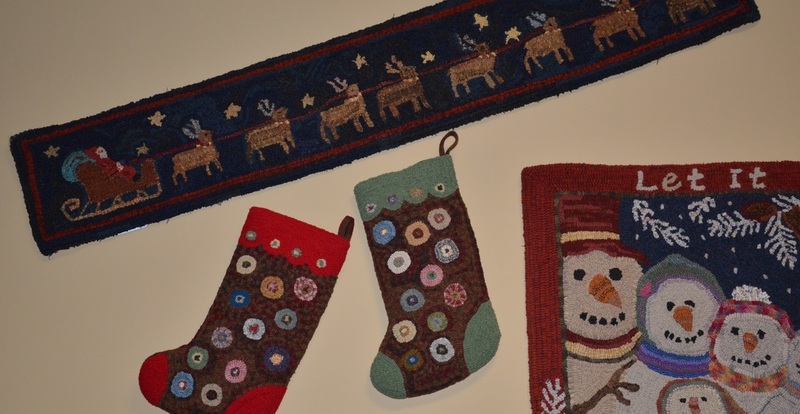 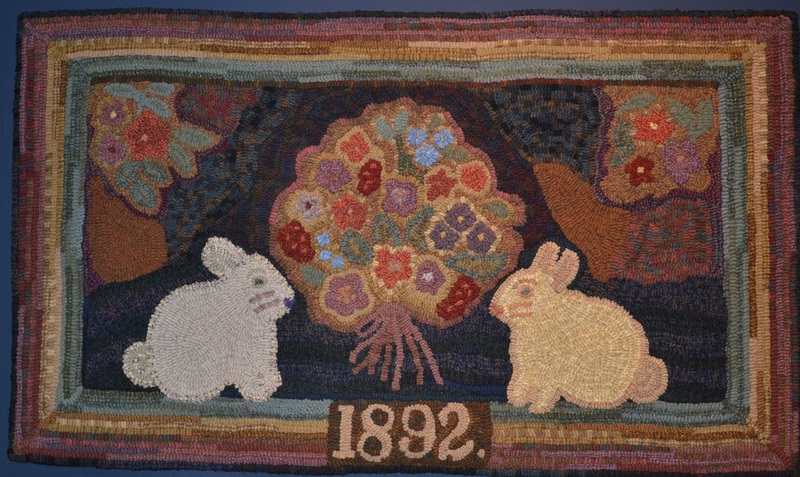 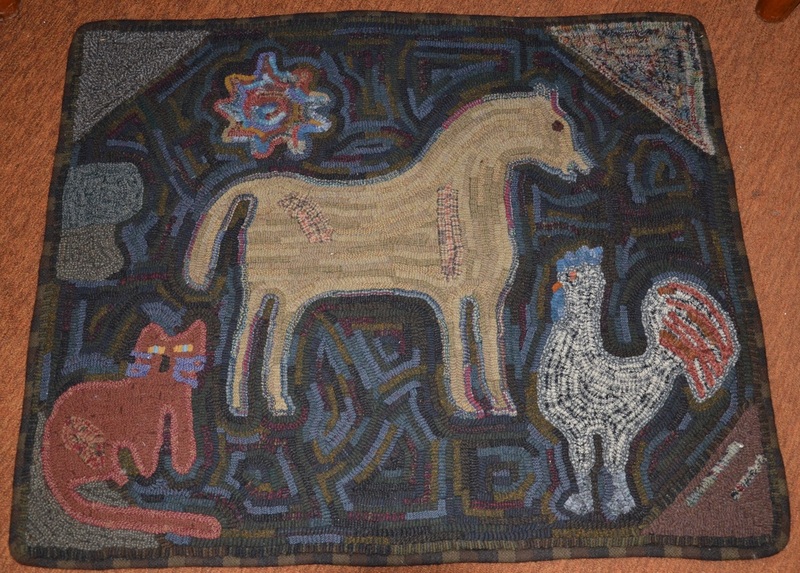 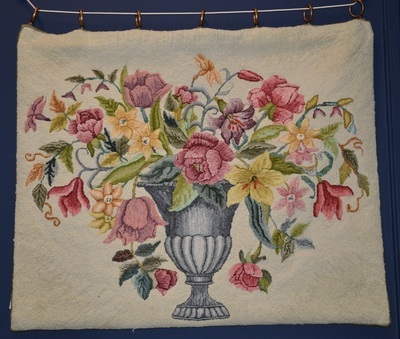 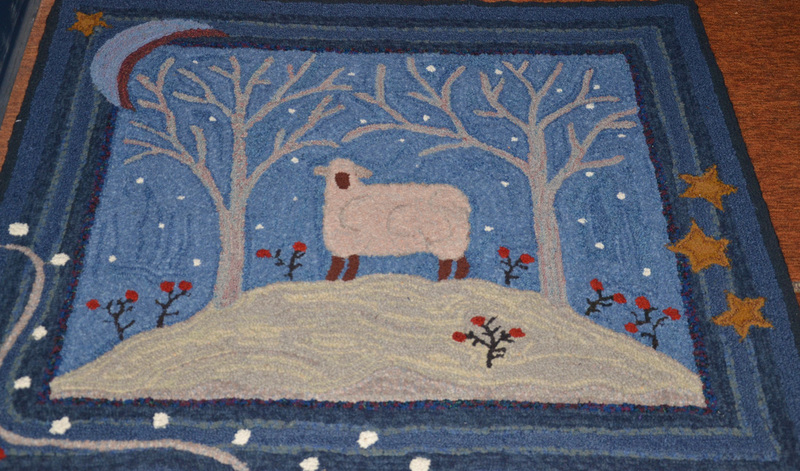 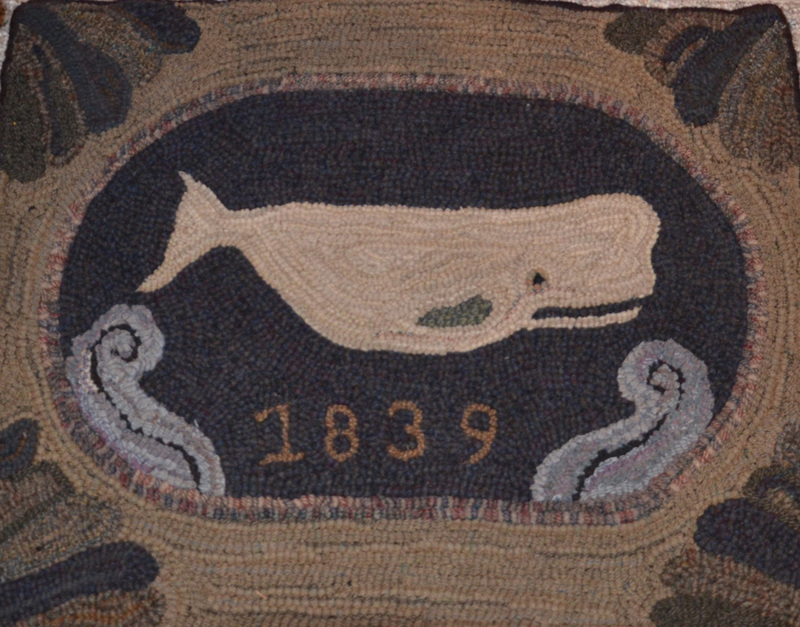 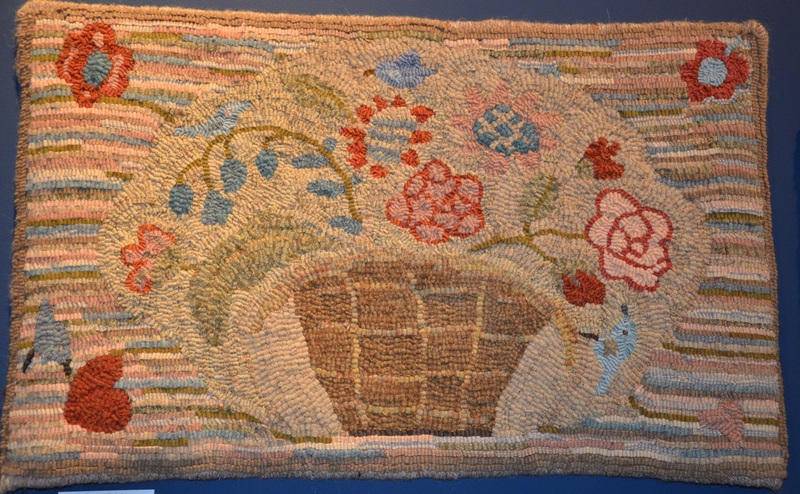 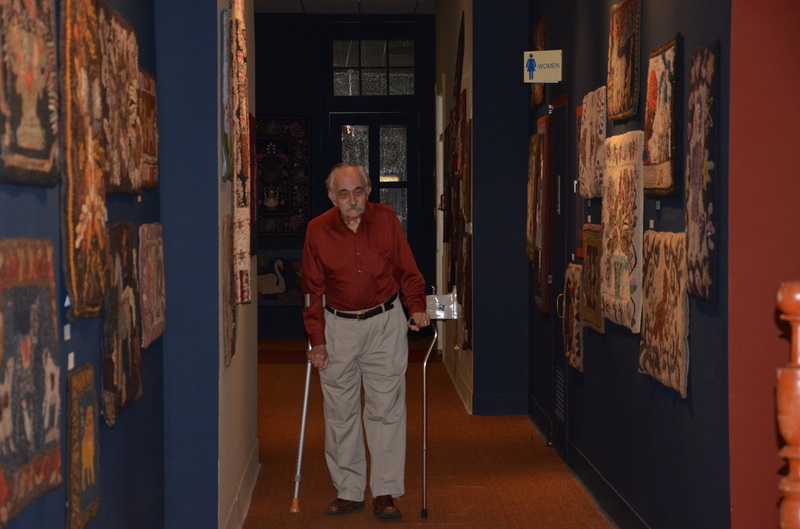 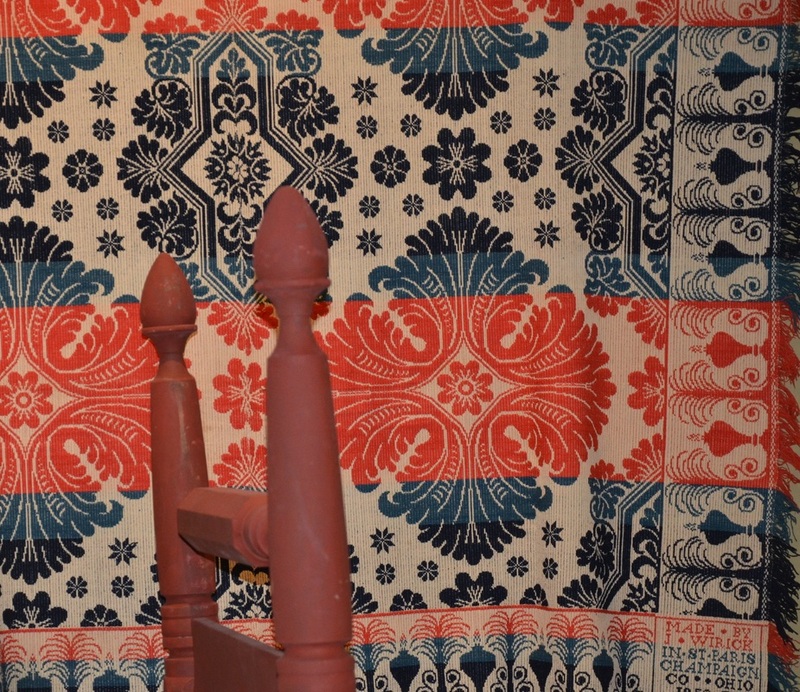 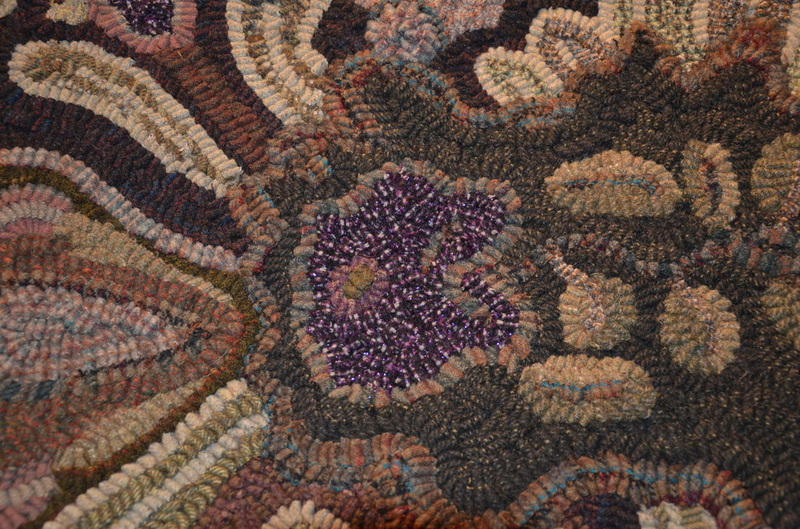 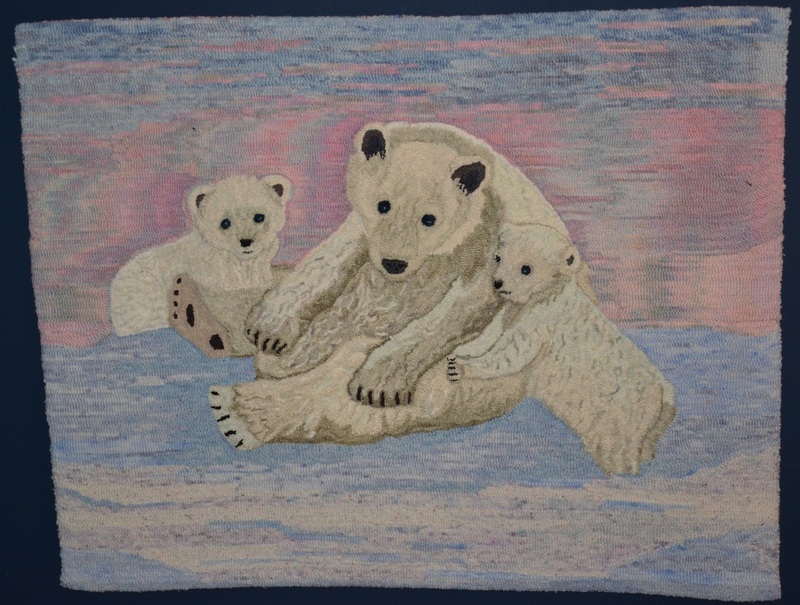 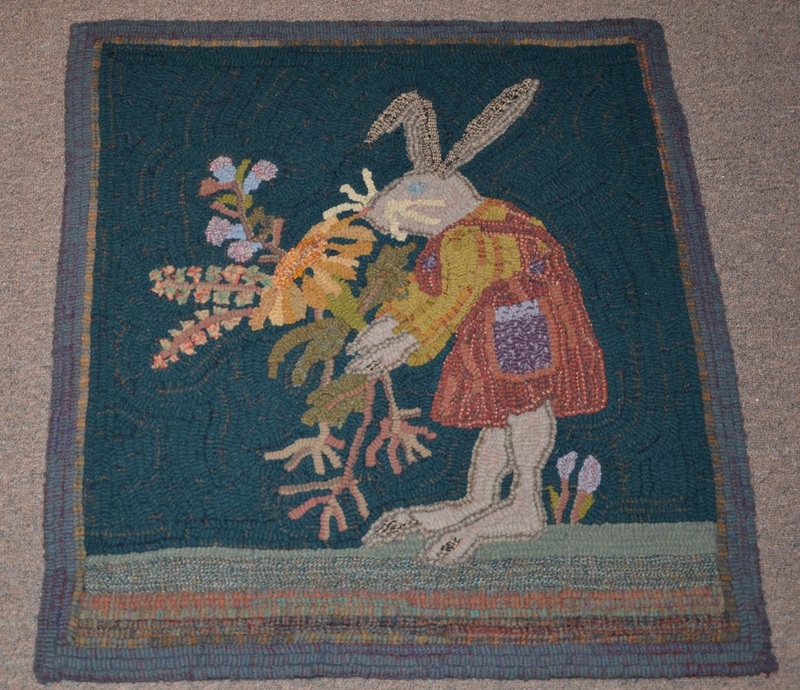 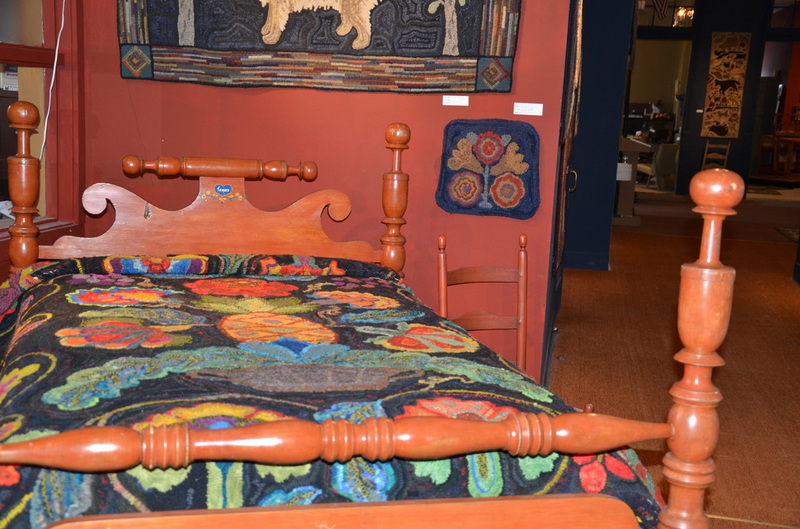 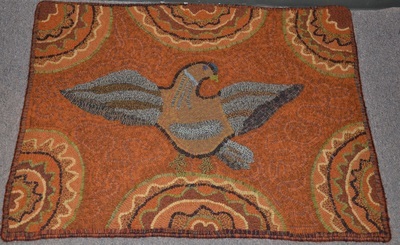 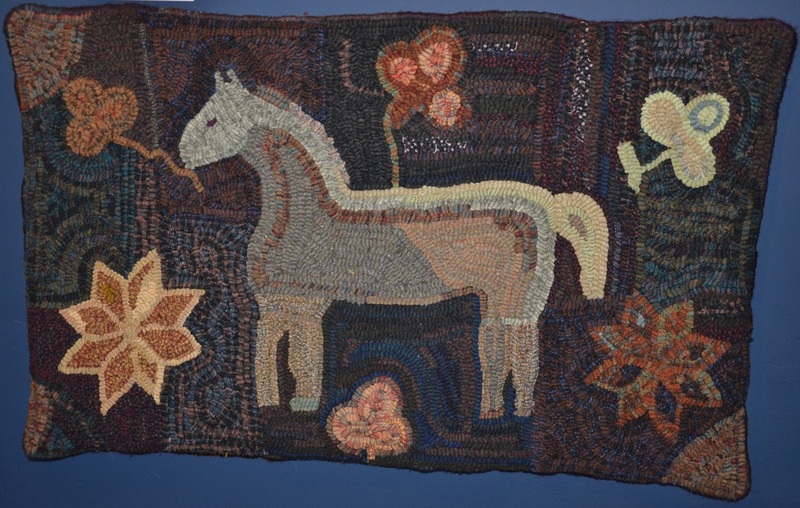 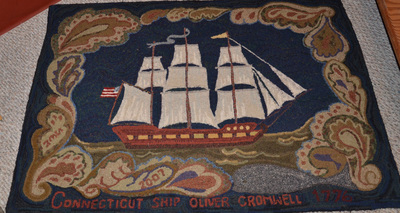 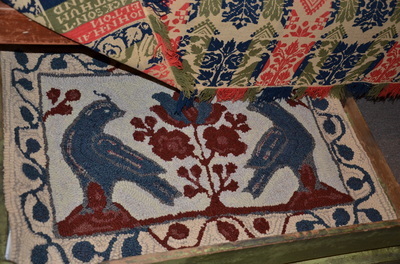 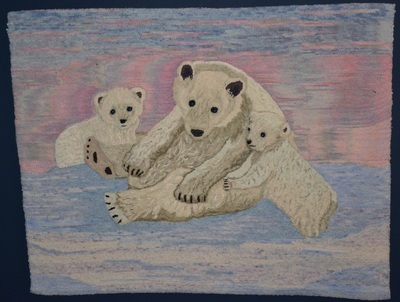 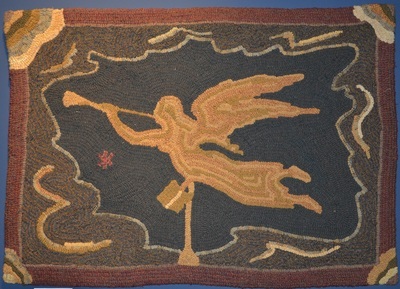 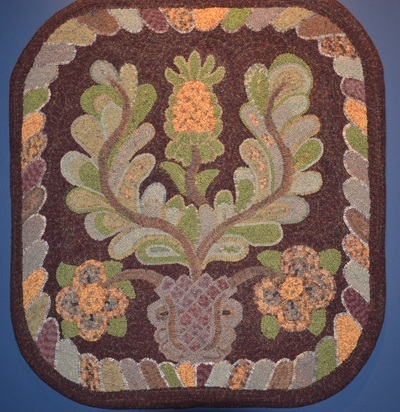 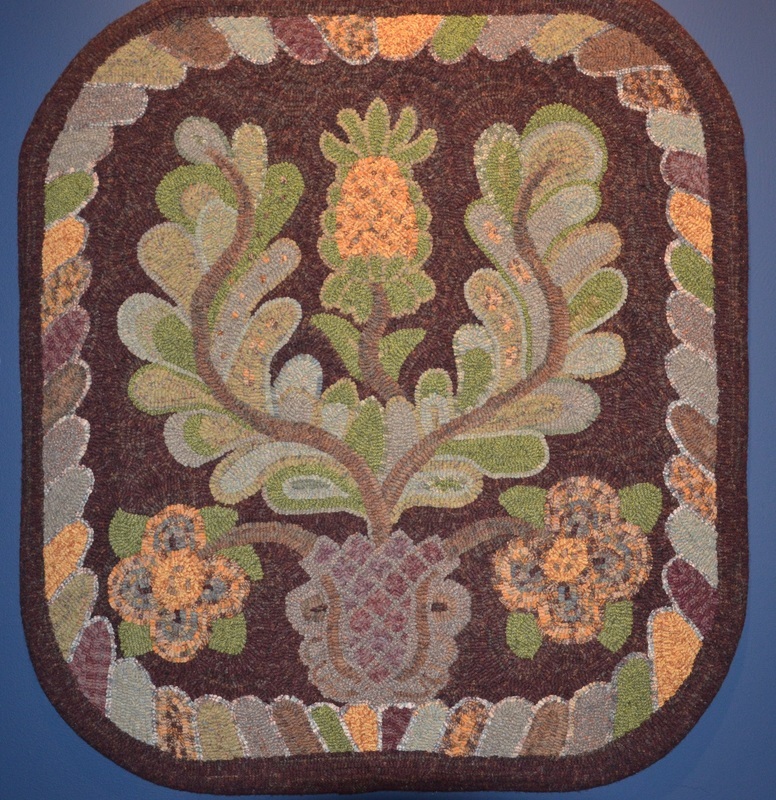 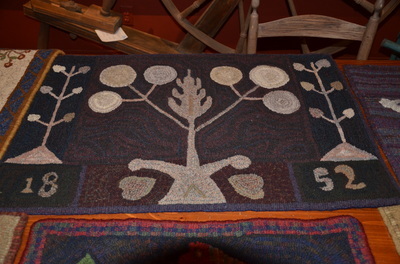 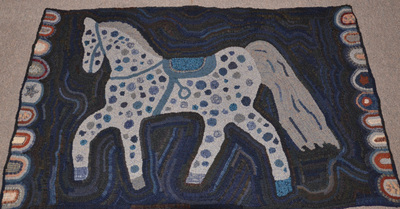 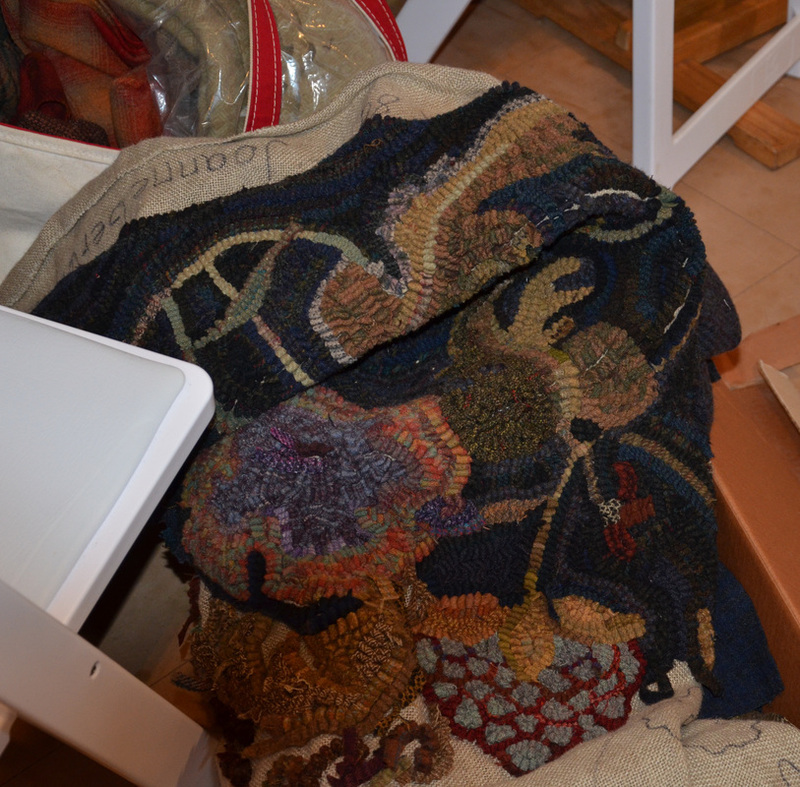 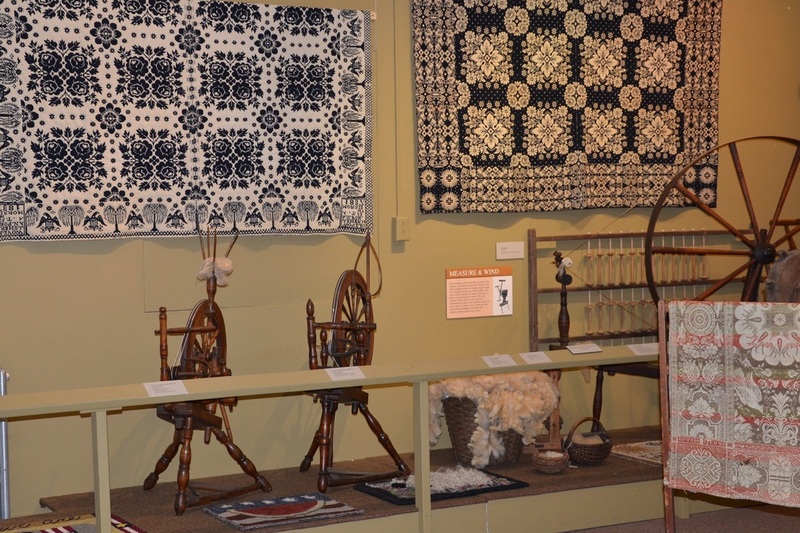 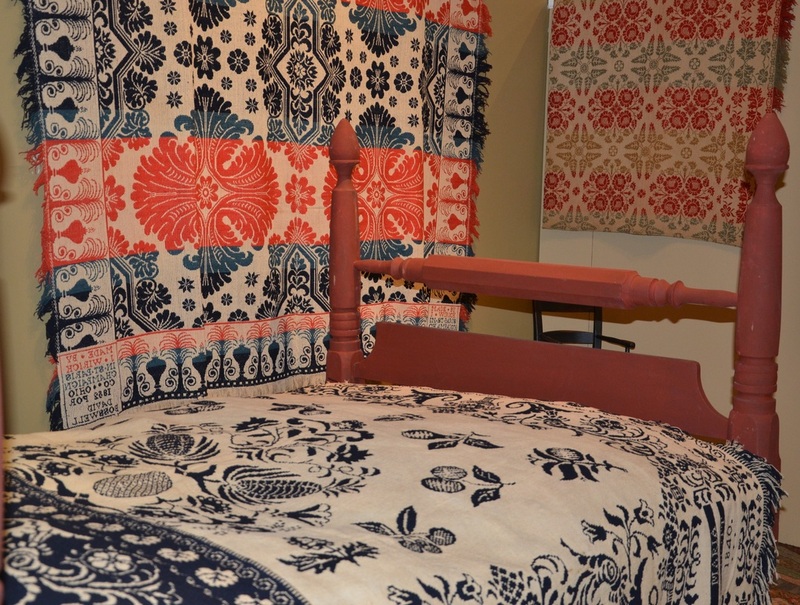 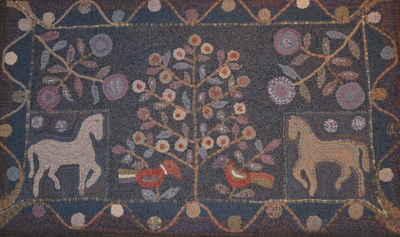 In 2013, Barb worked with Laszlo and Melinda Zongor of the National Museum of the American Coverlet to design hooked rug patterns inspired from antique American coverlets. 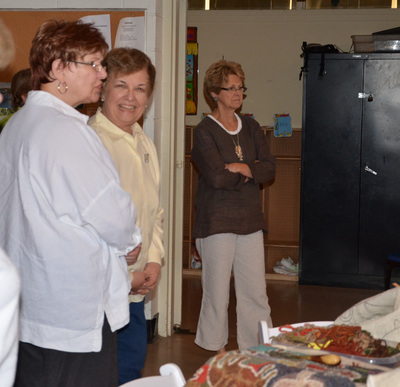 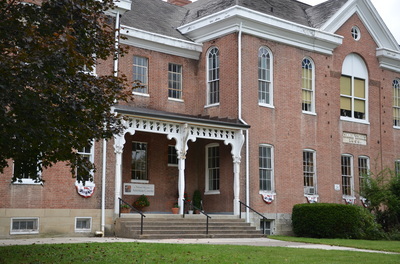 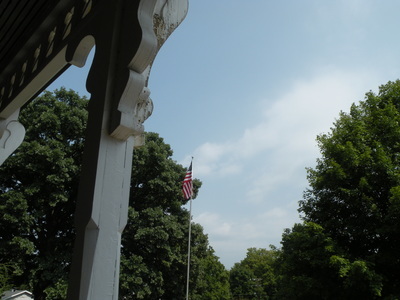 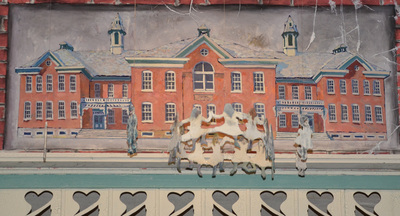 The museum is in an old school which was built in 1859 and was called the "Common" School". 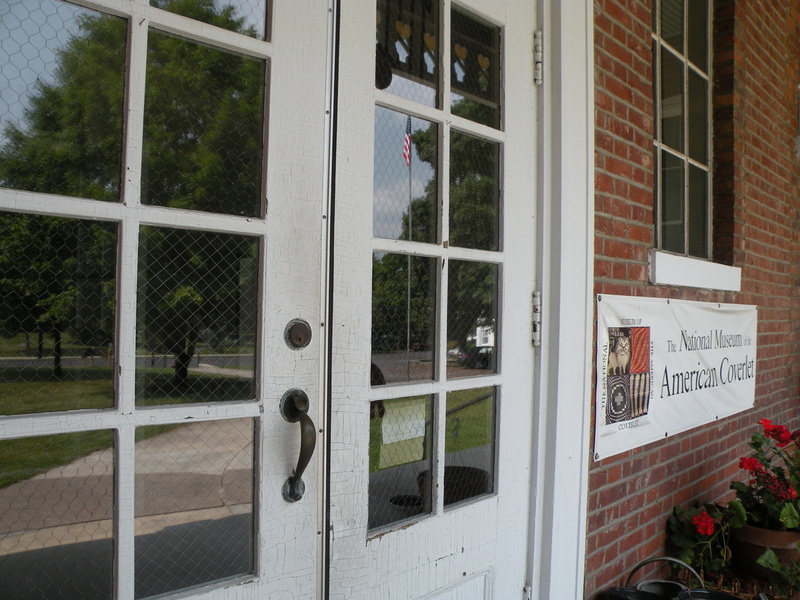 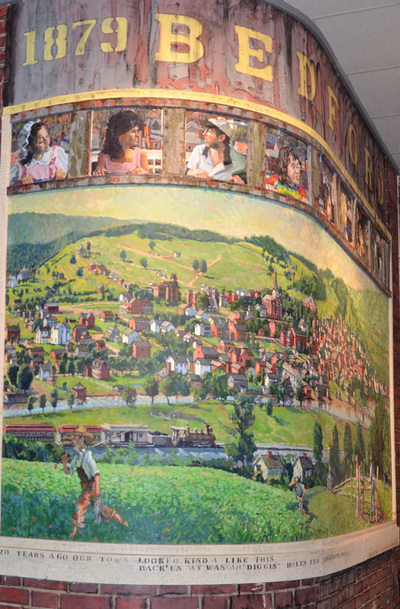 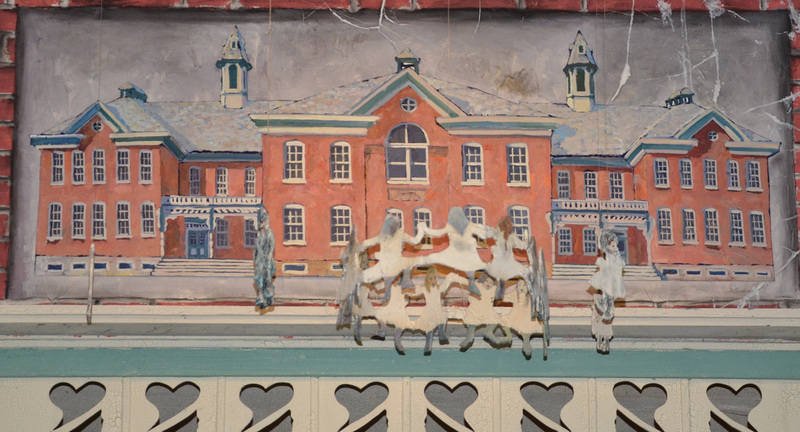 Common schools were built by private citizens before the public school systems were begun. 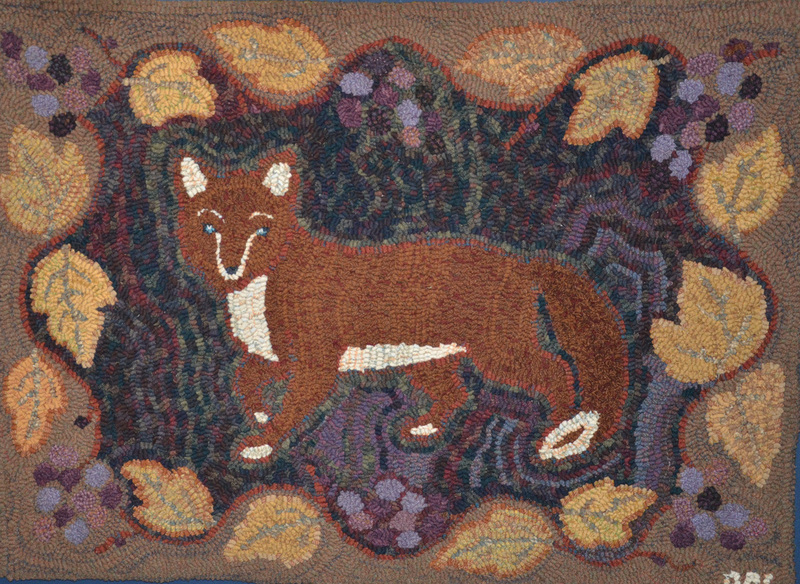 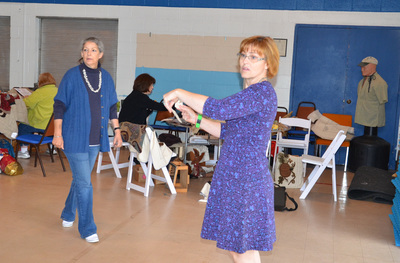 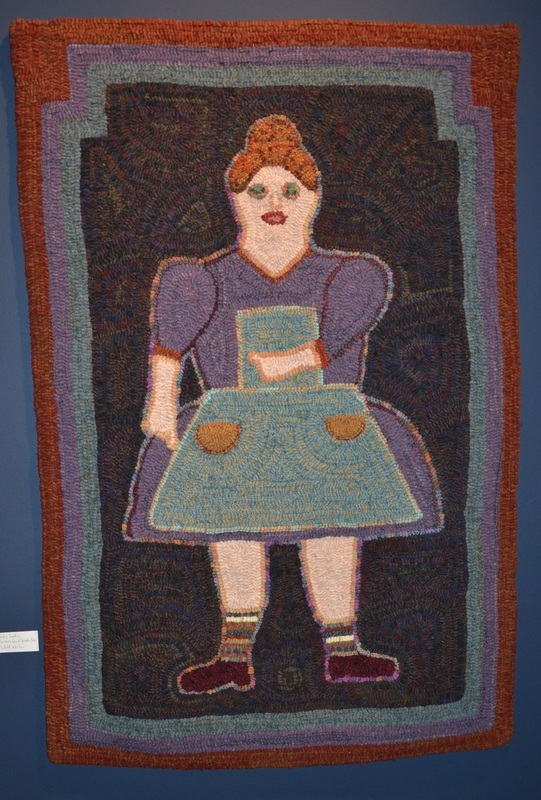 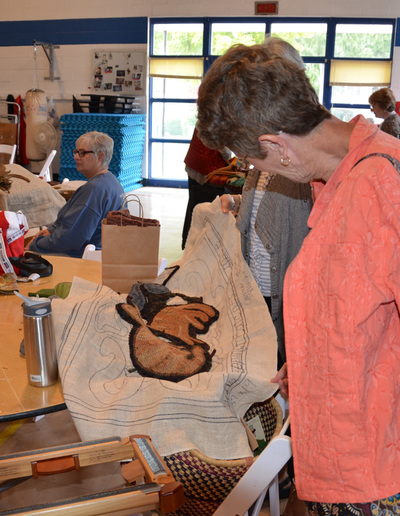 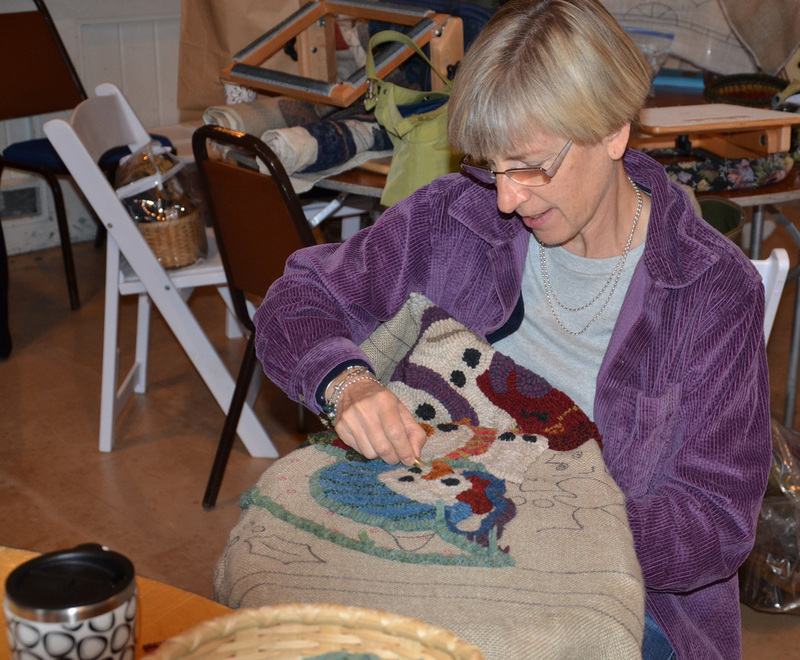 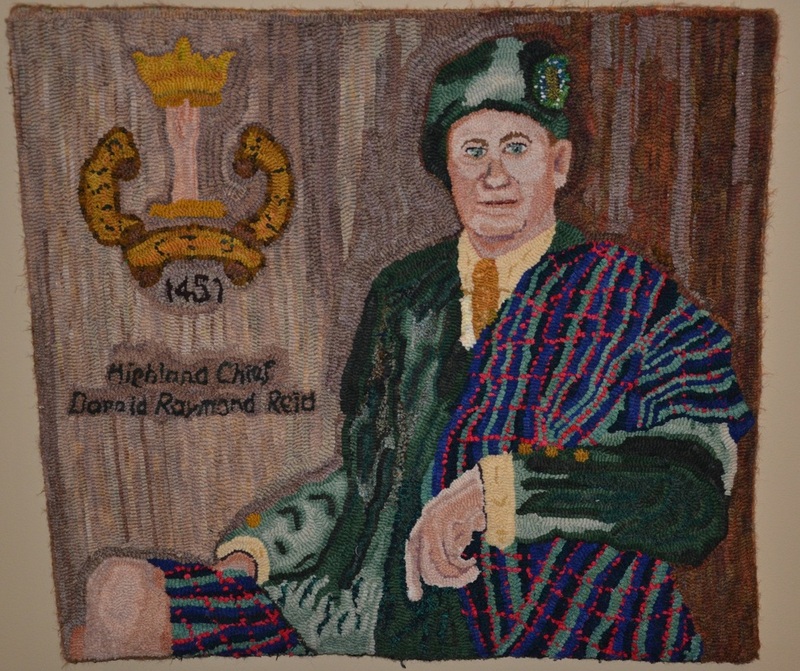 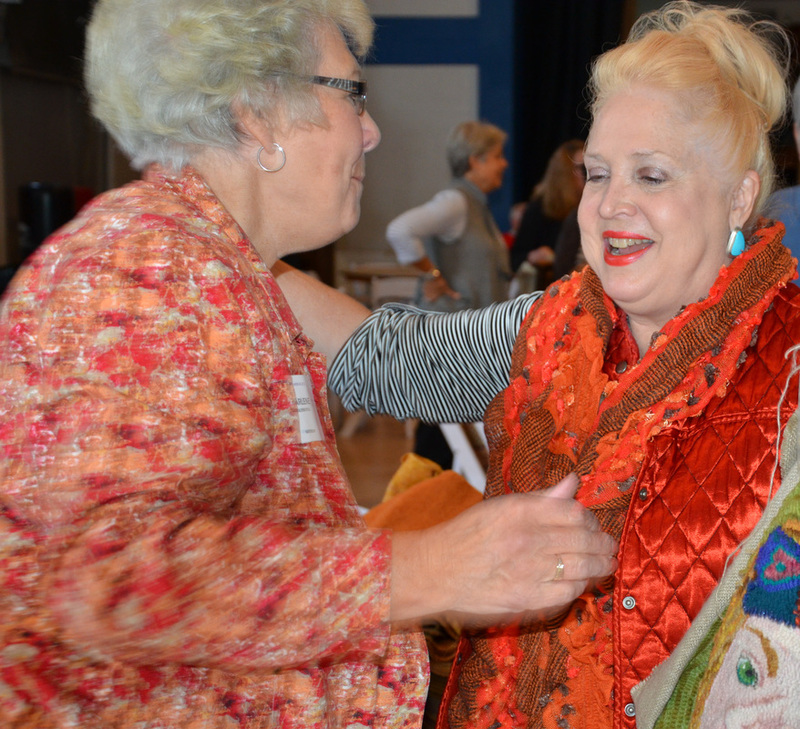 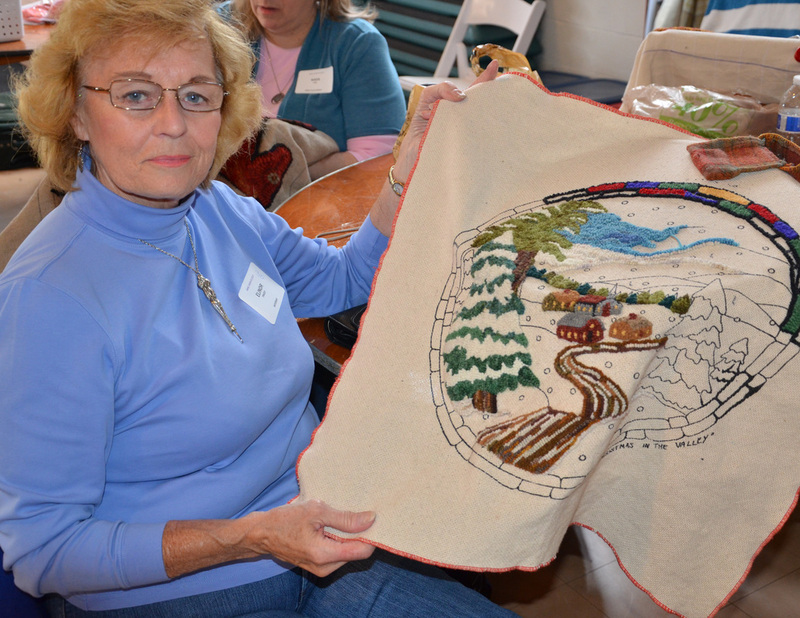 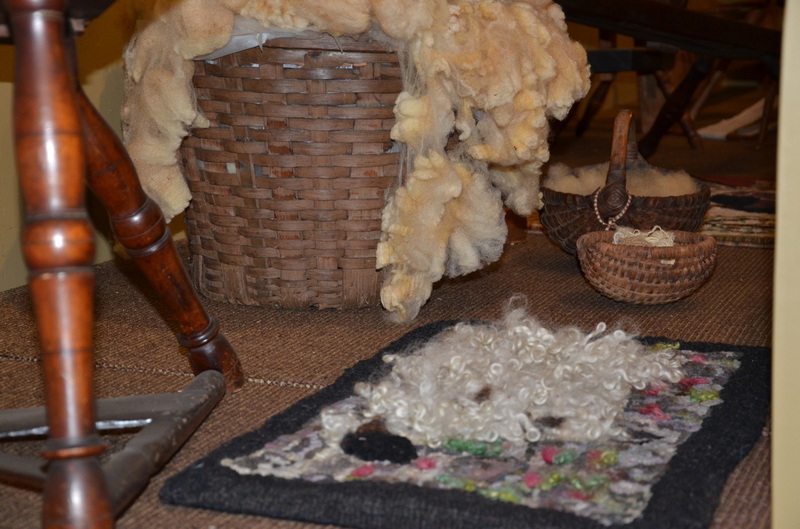 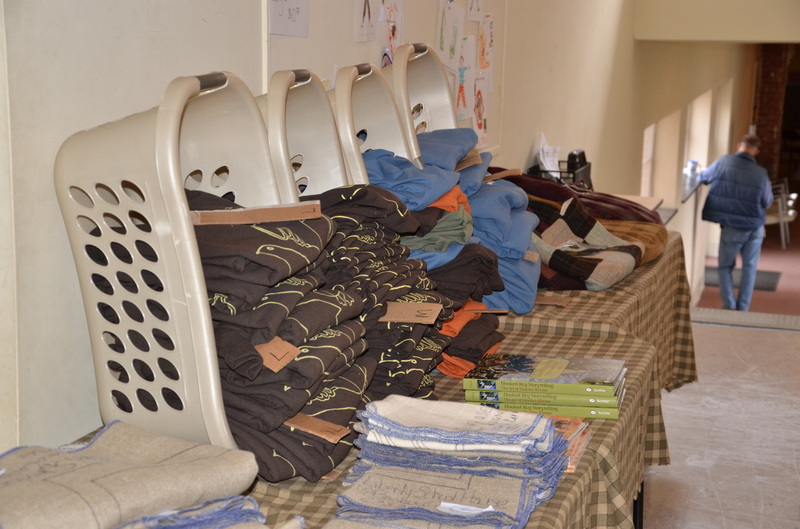 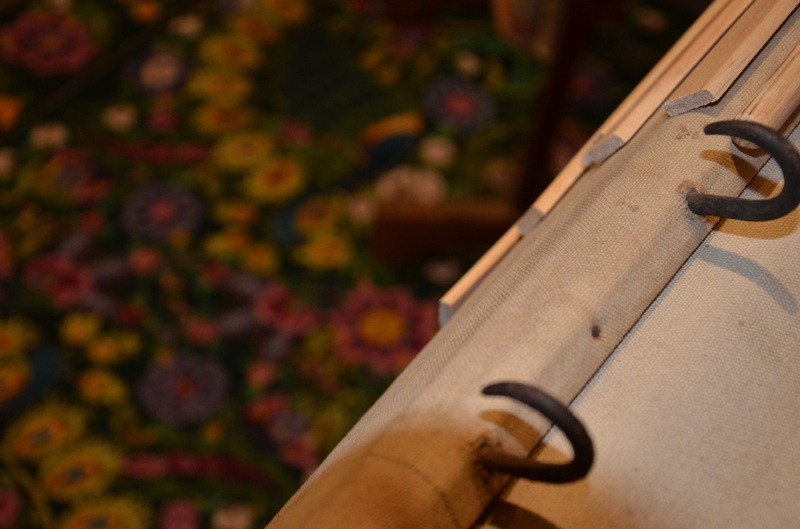 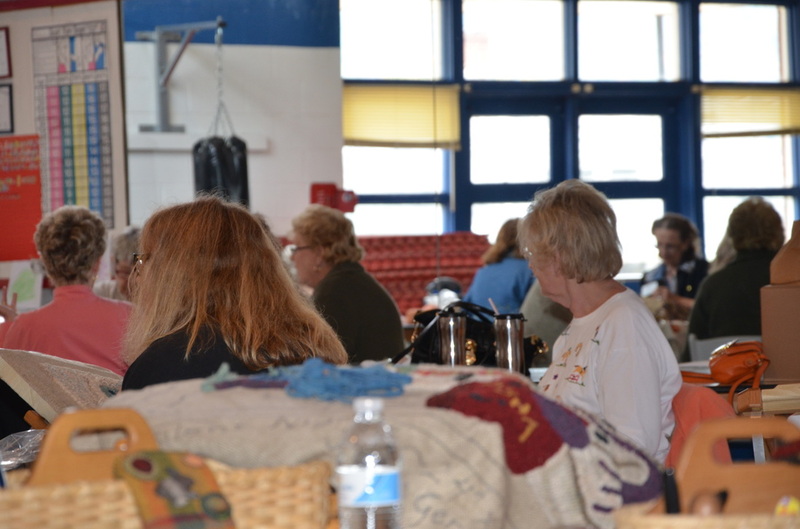 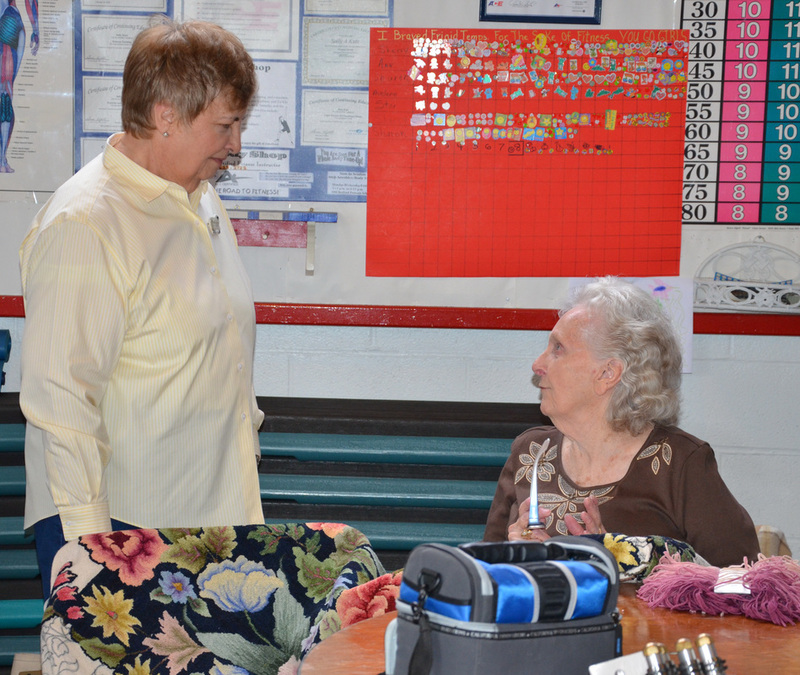 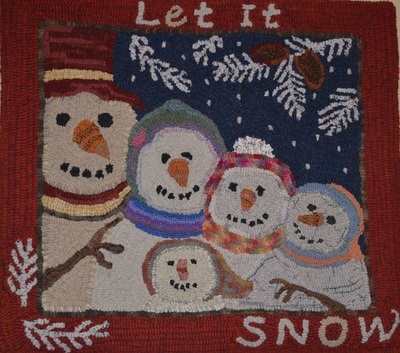 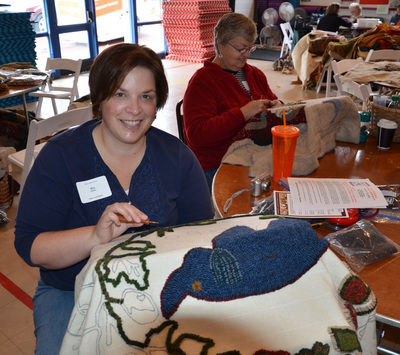 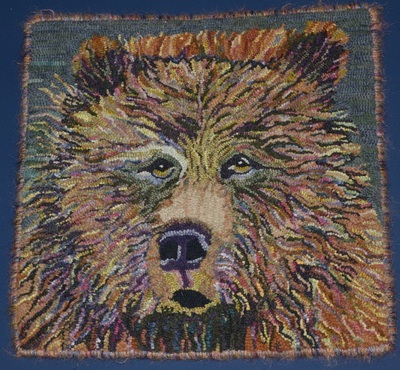 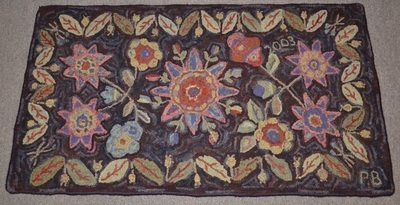 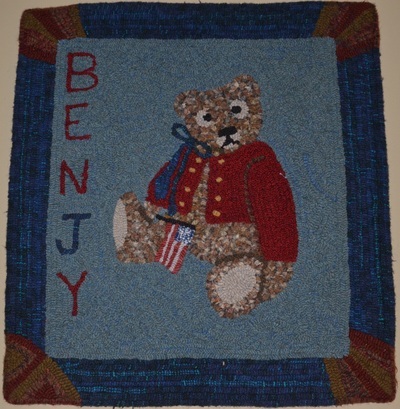 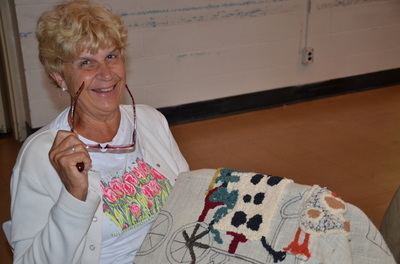 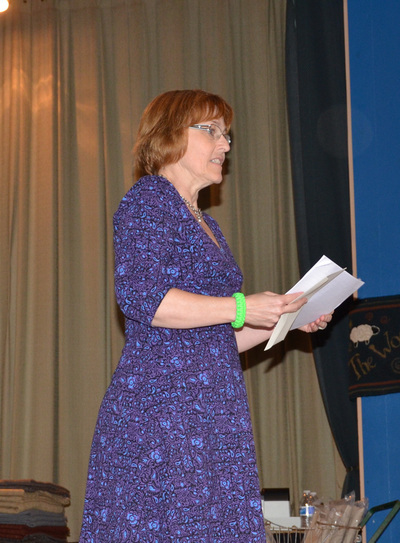 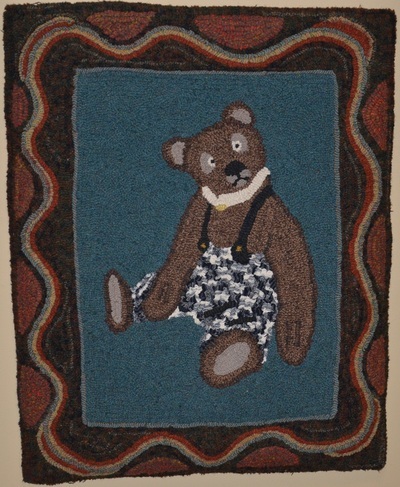 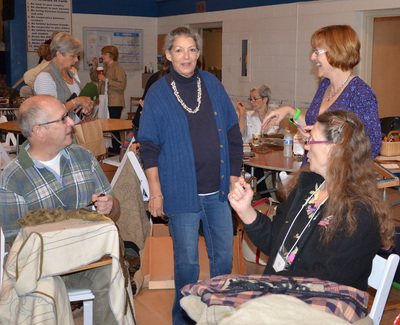 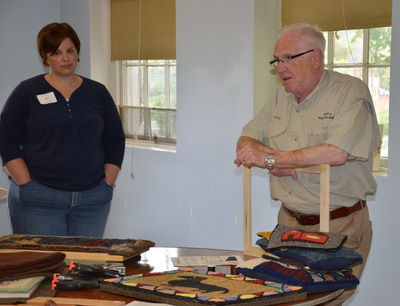 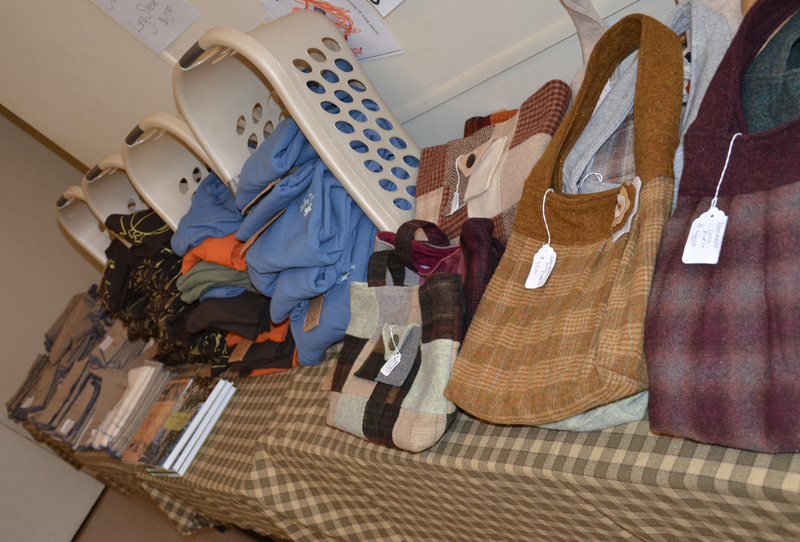 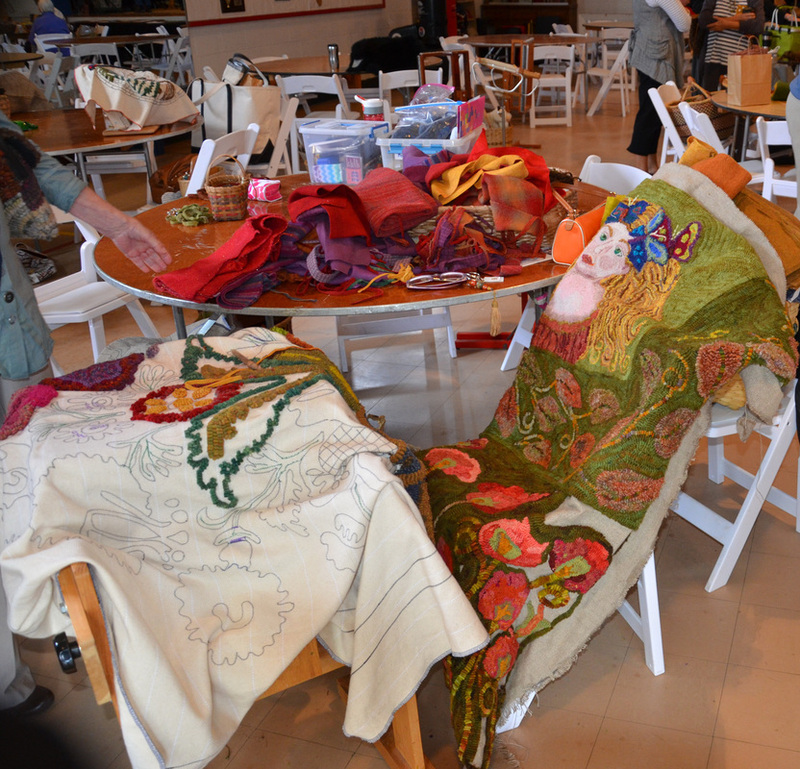 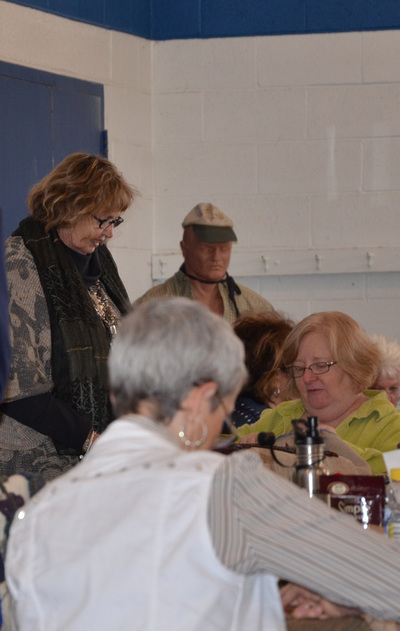 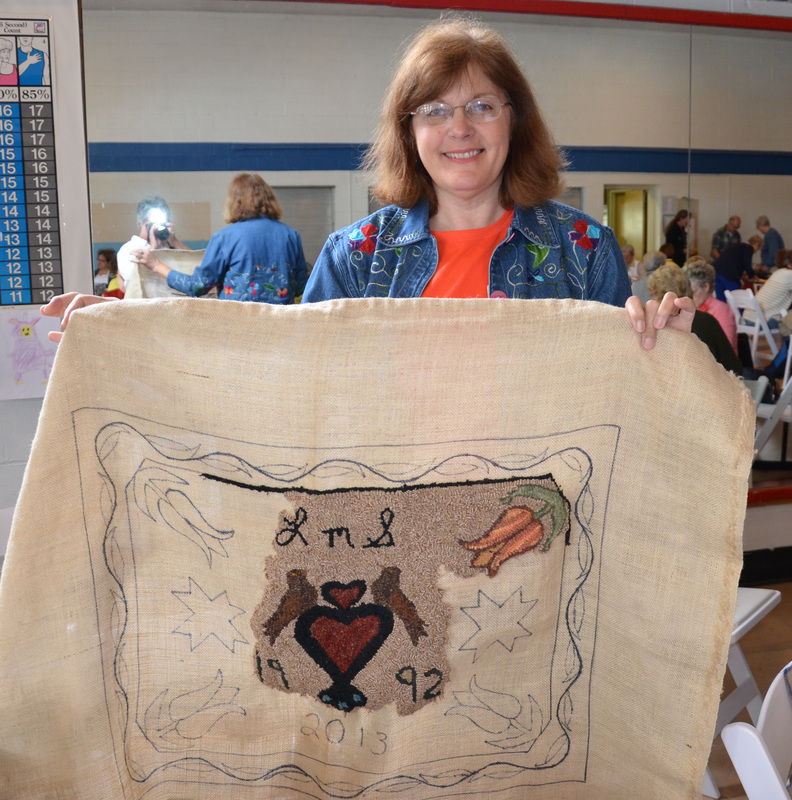 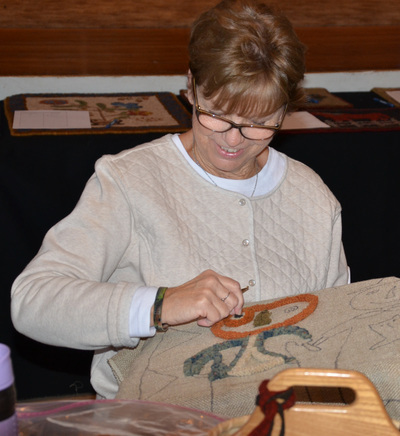 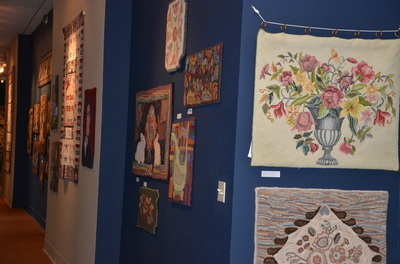 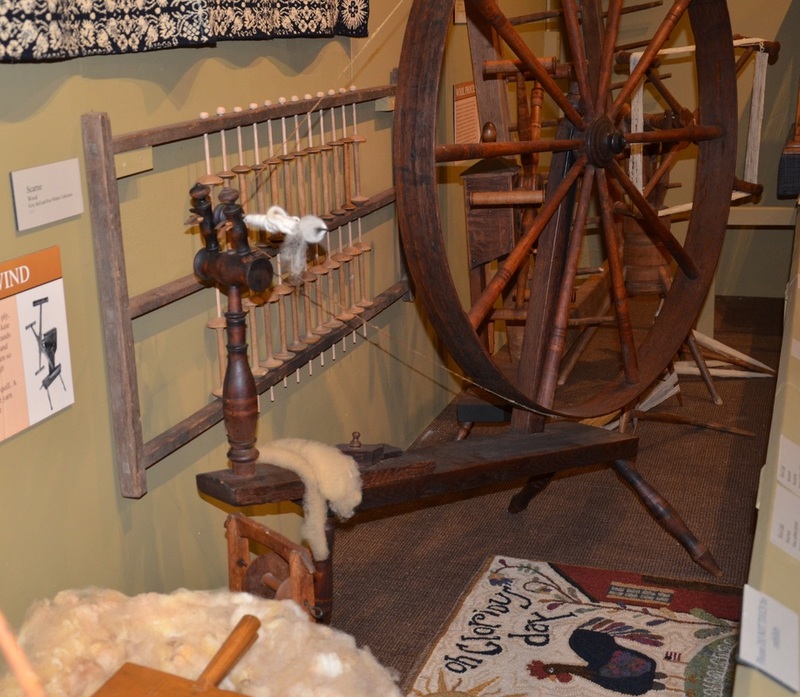 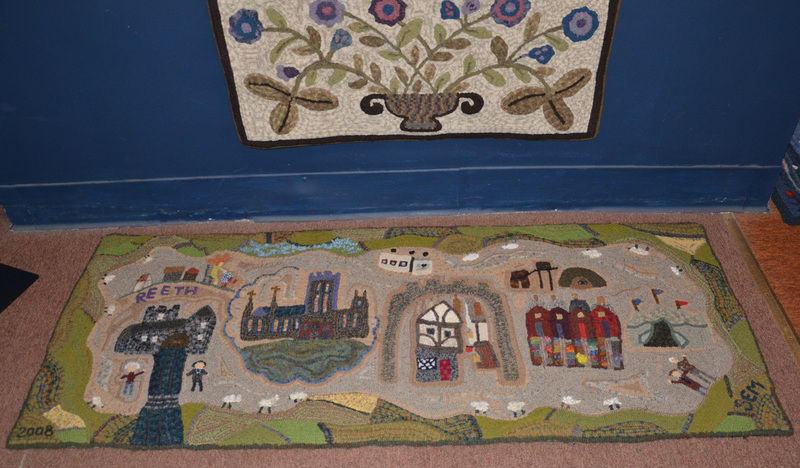 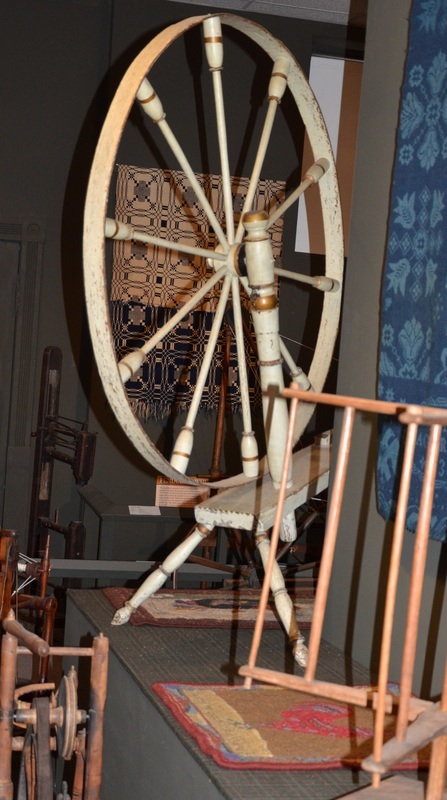 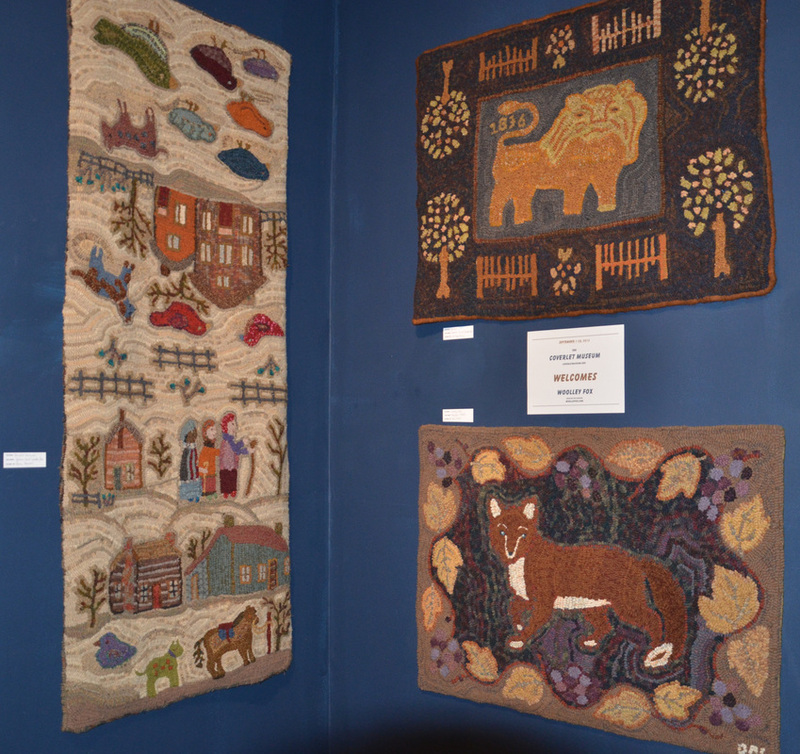 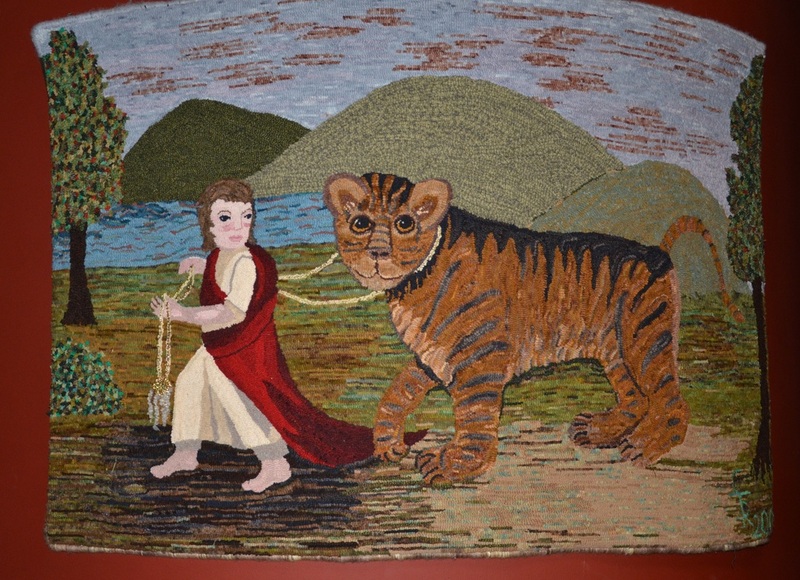 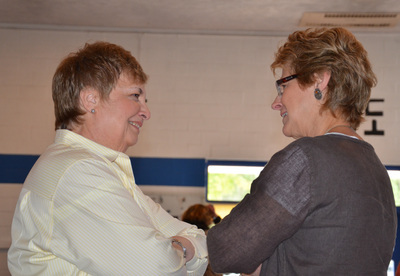 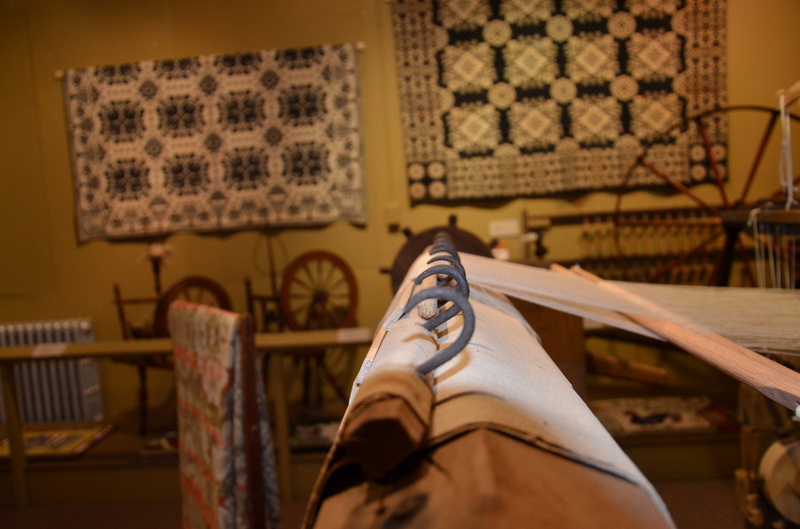 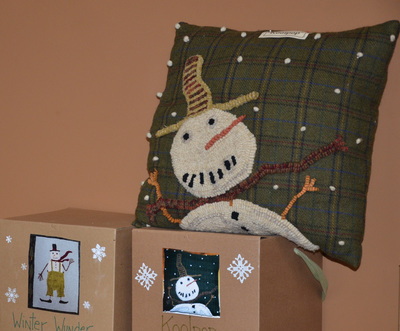 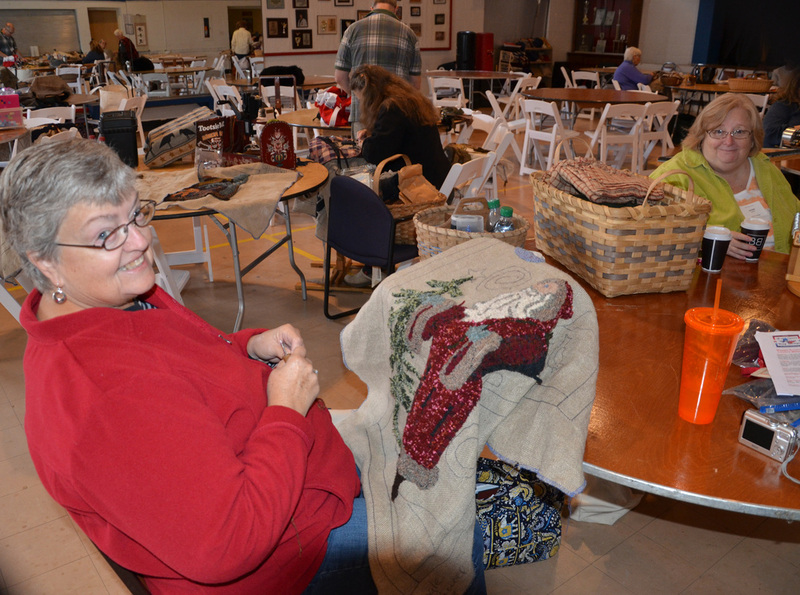 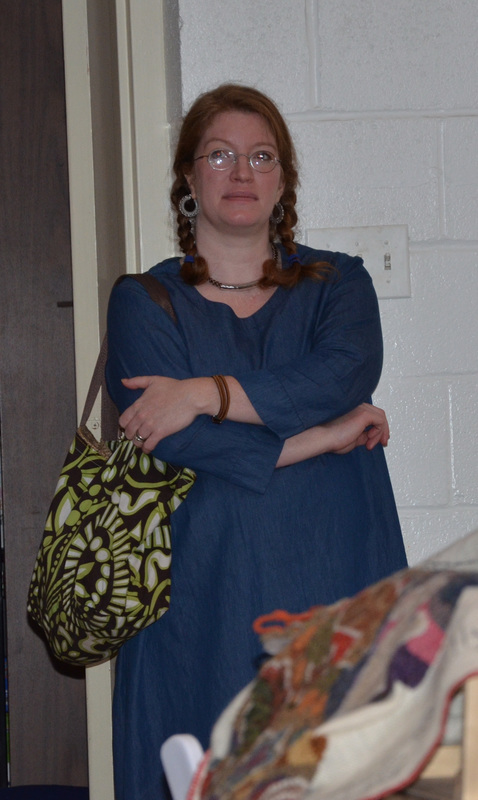 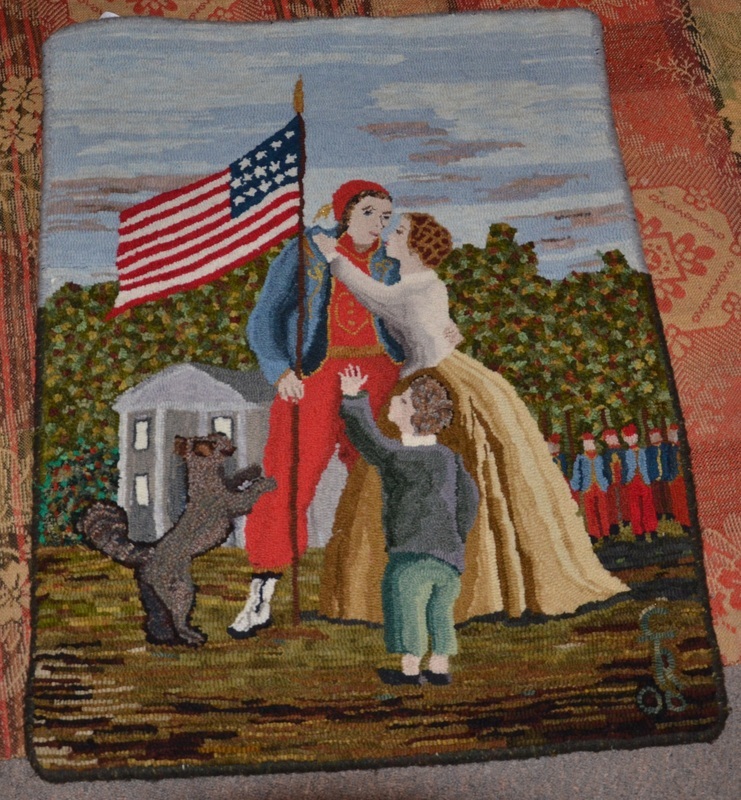 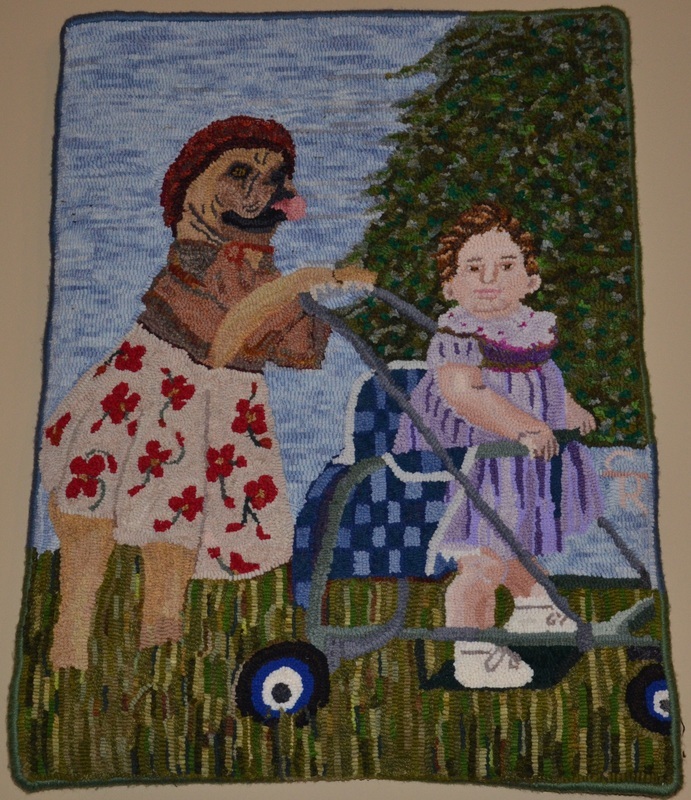 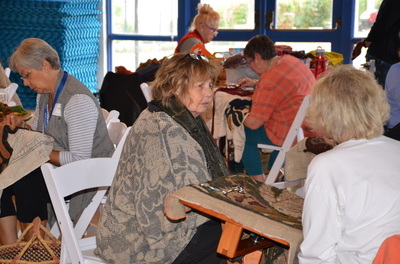 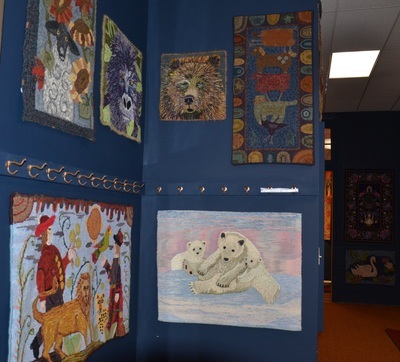 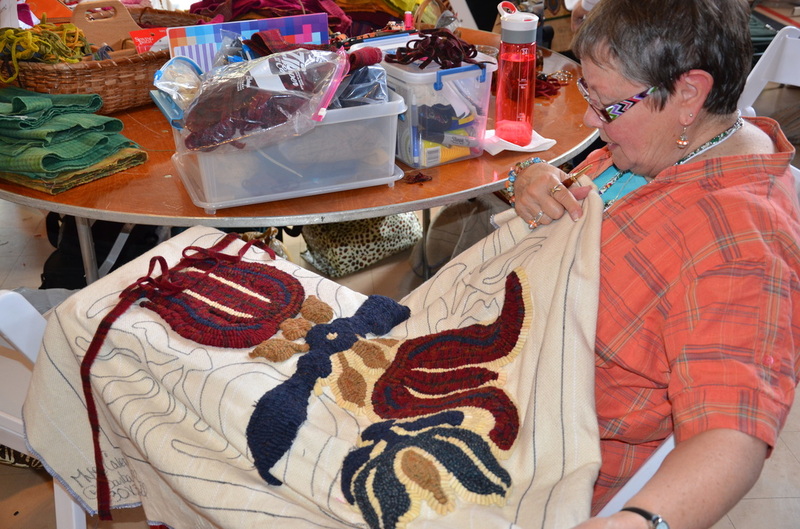 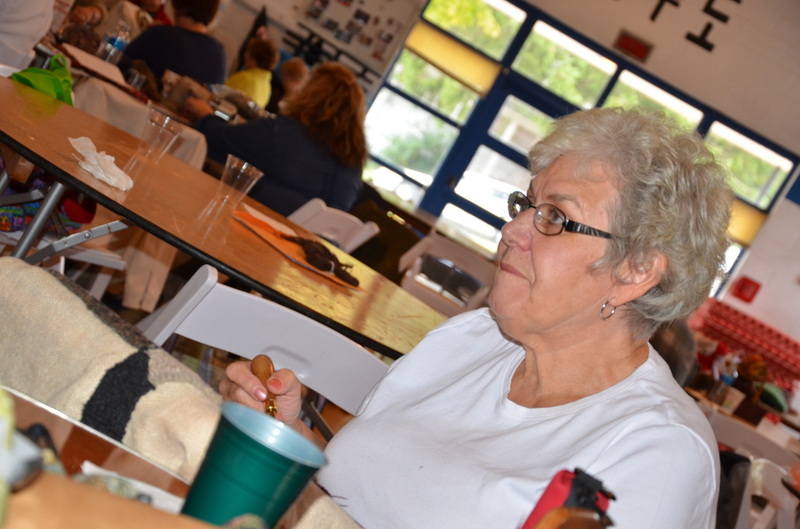 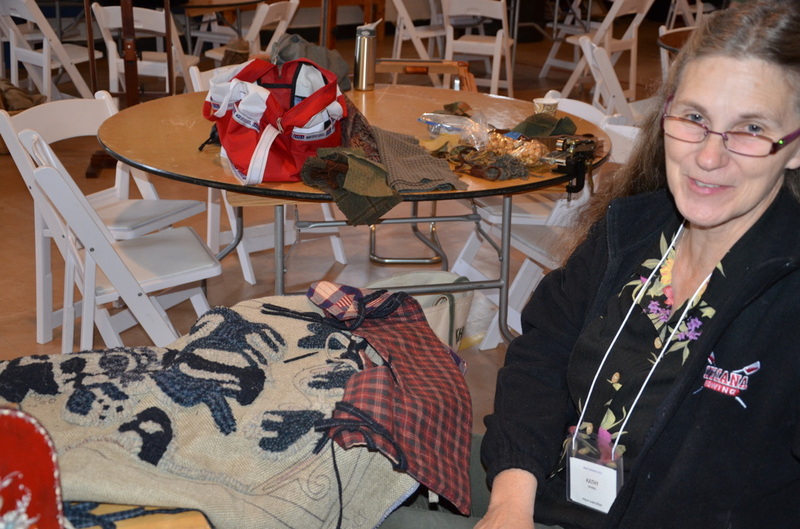 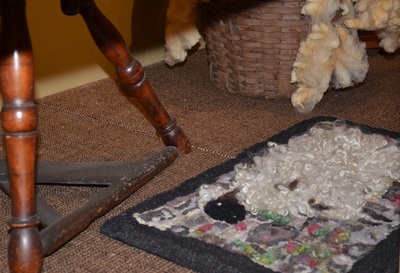 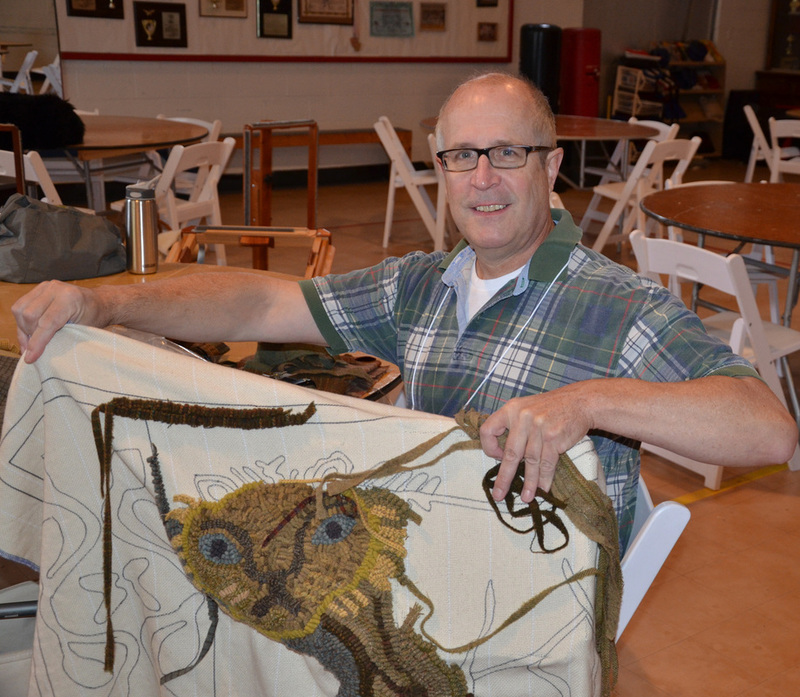 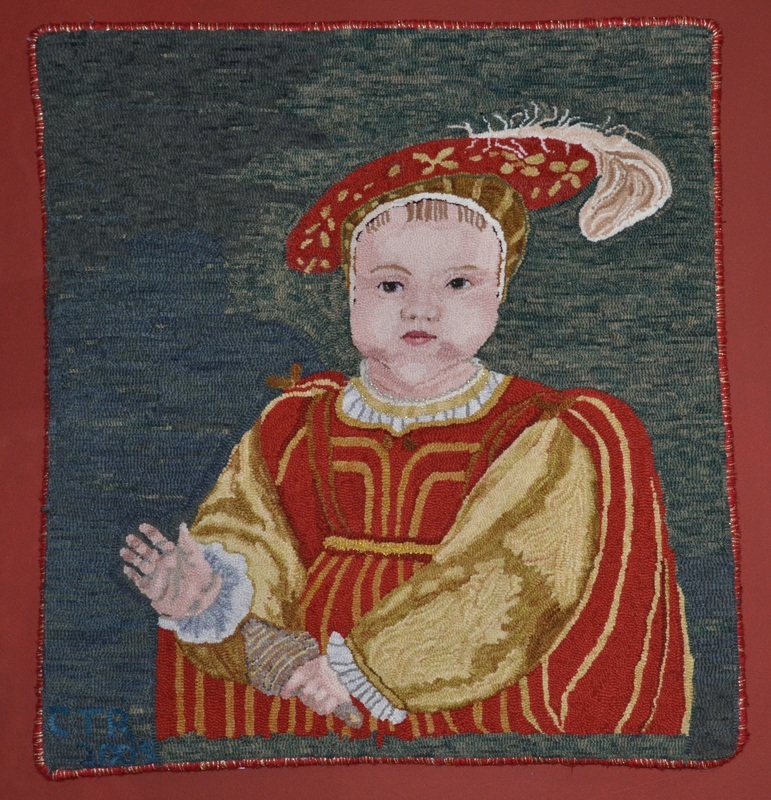 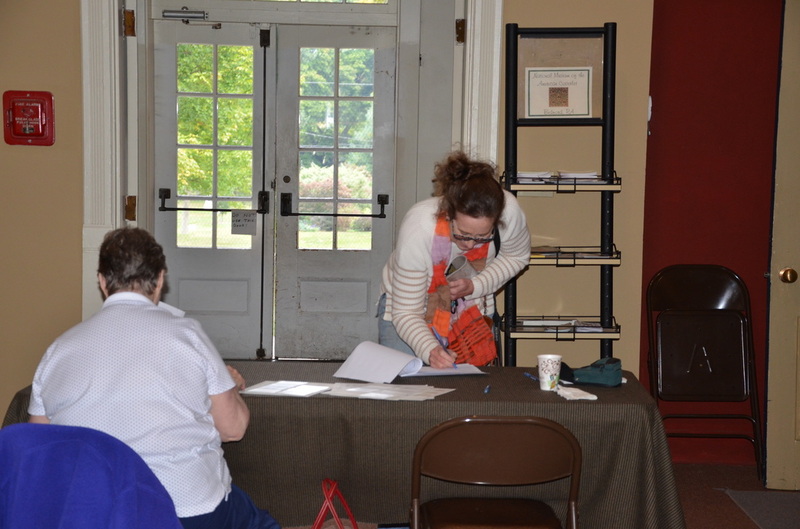 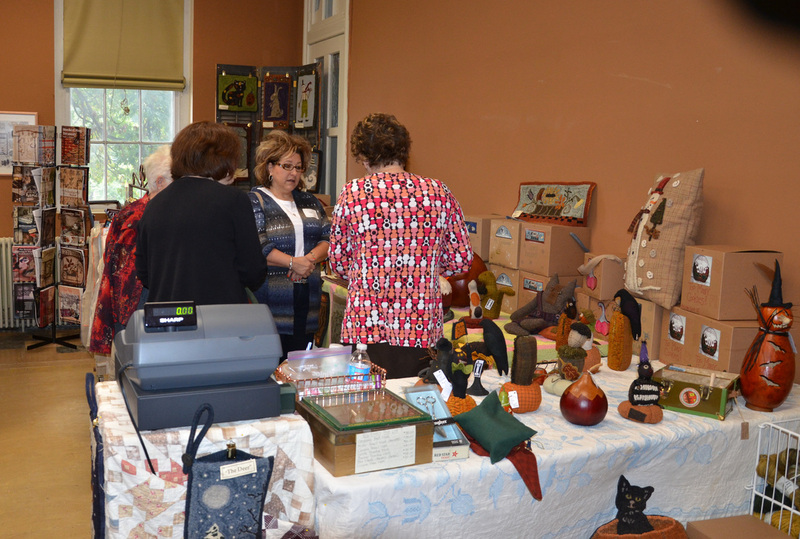 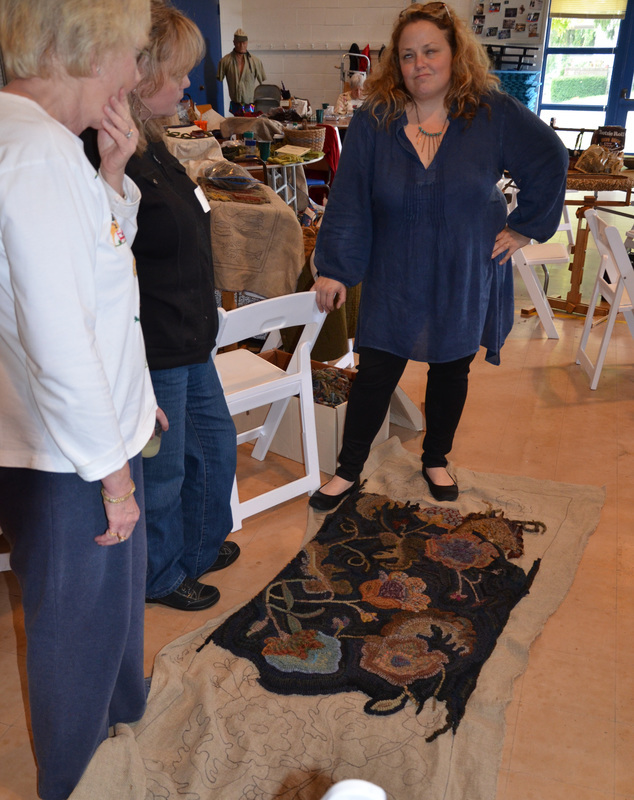 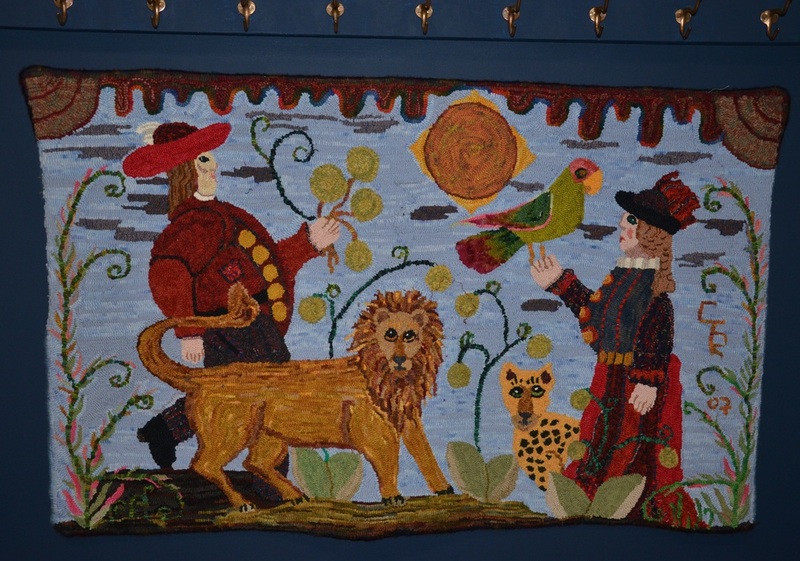 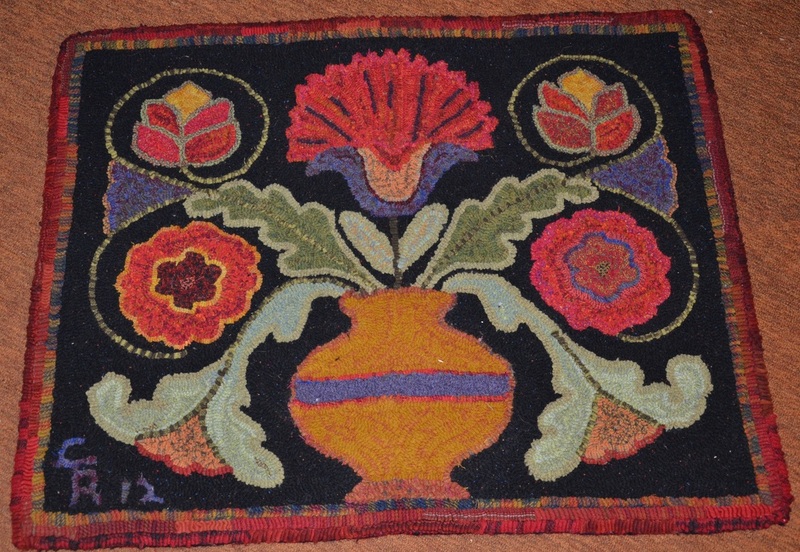 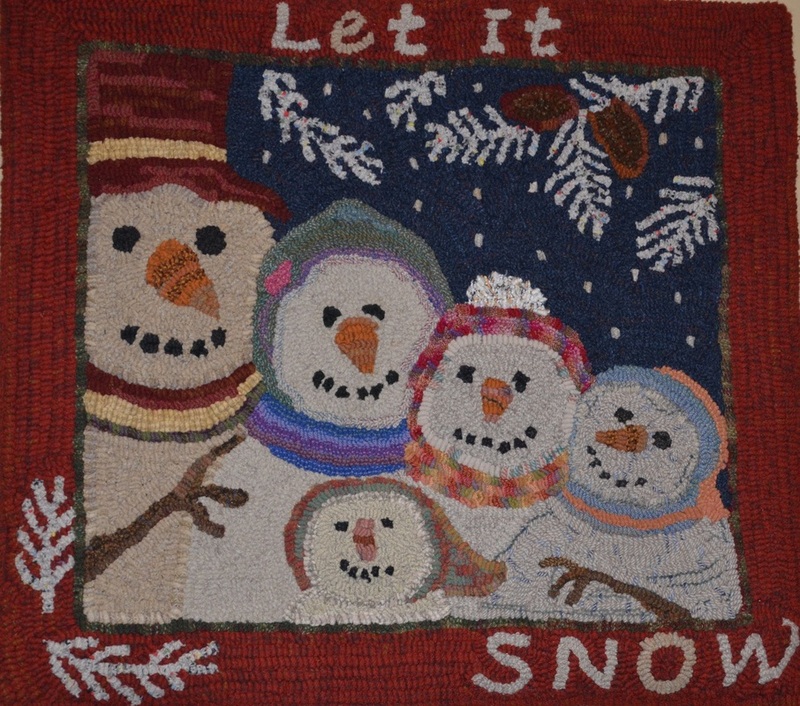 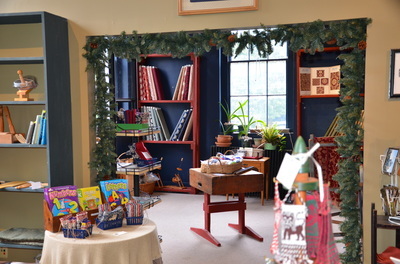 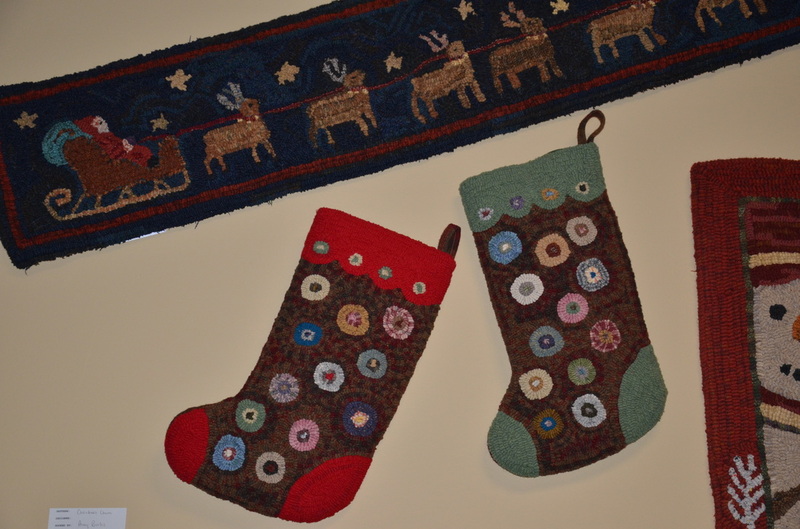 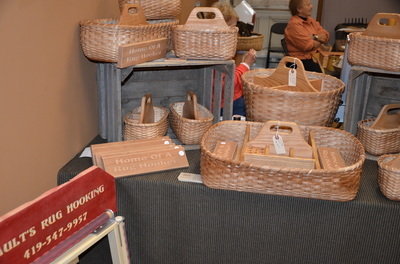 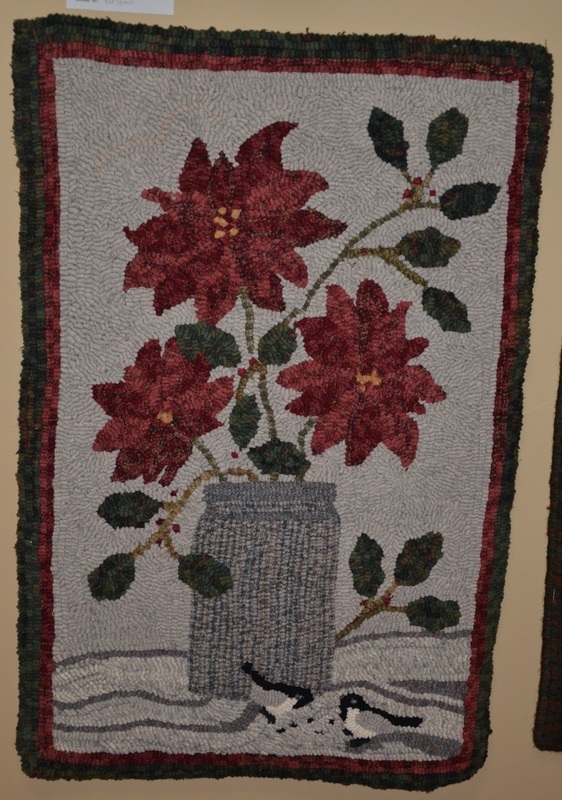 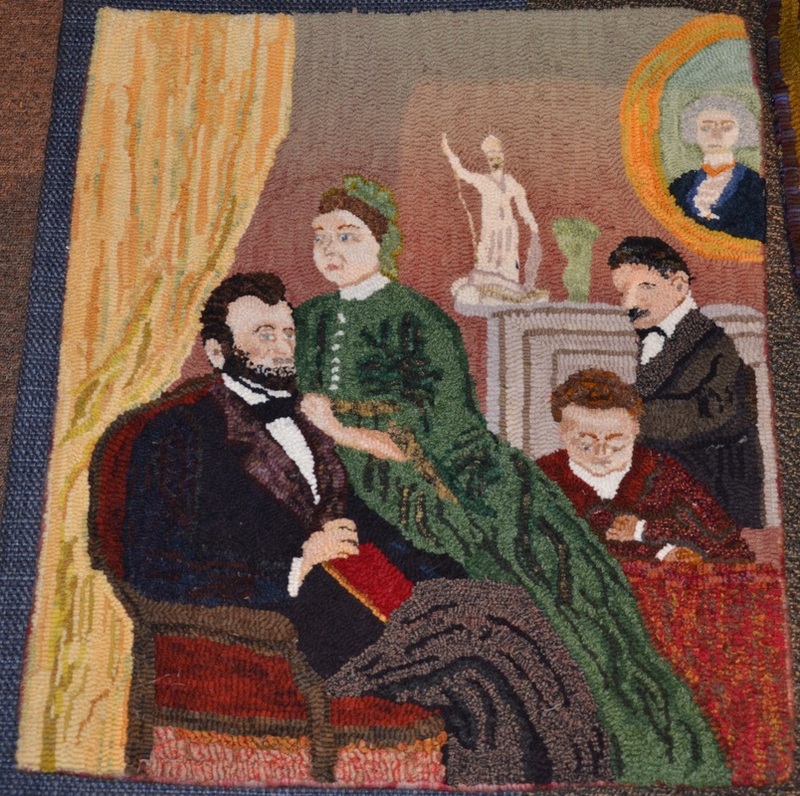 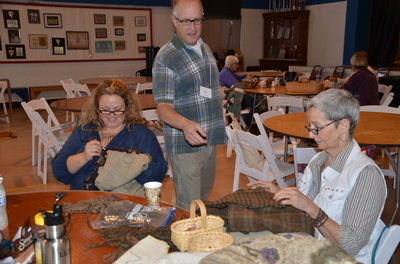 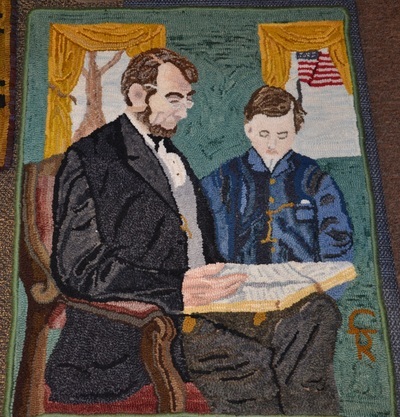 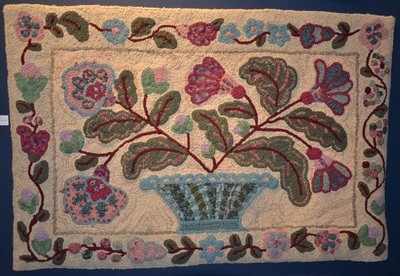 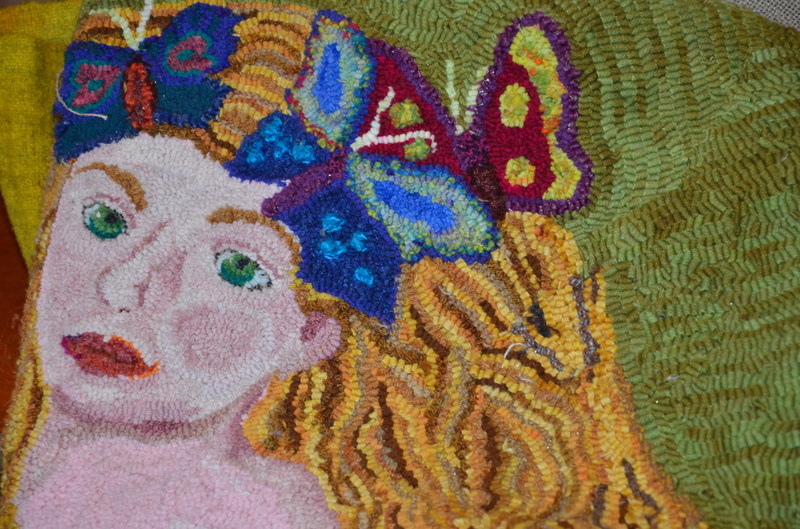 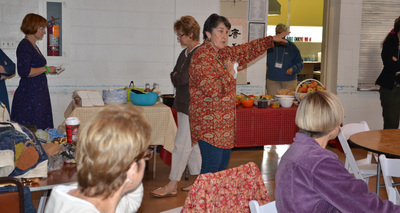 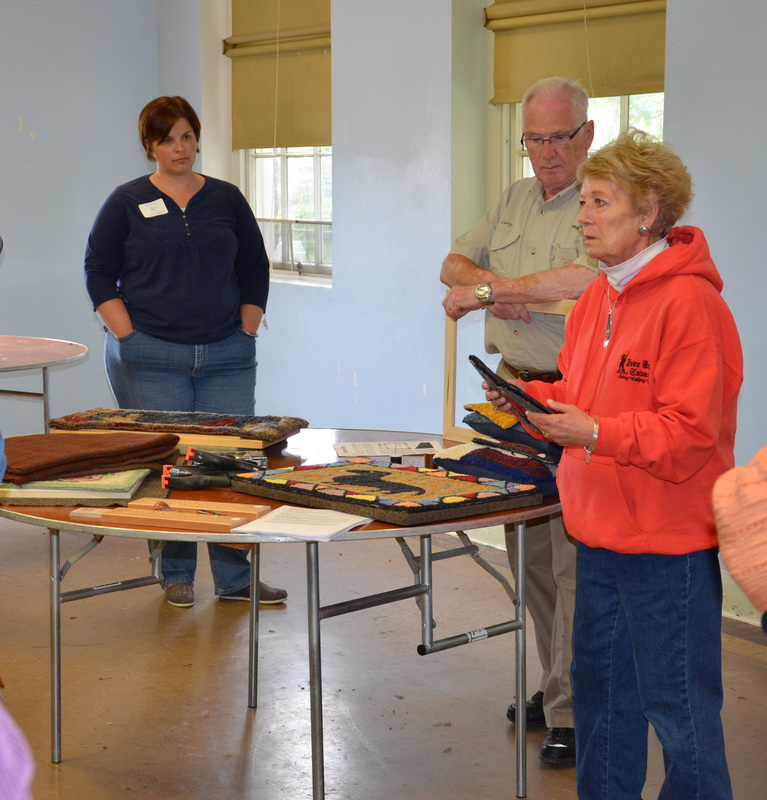 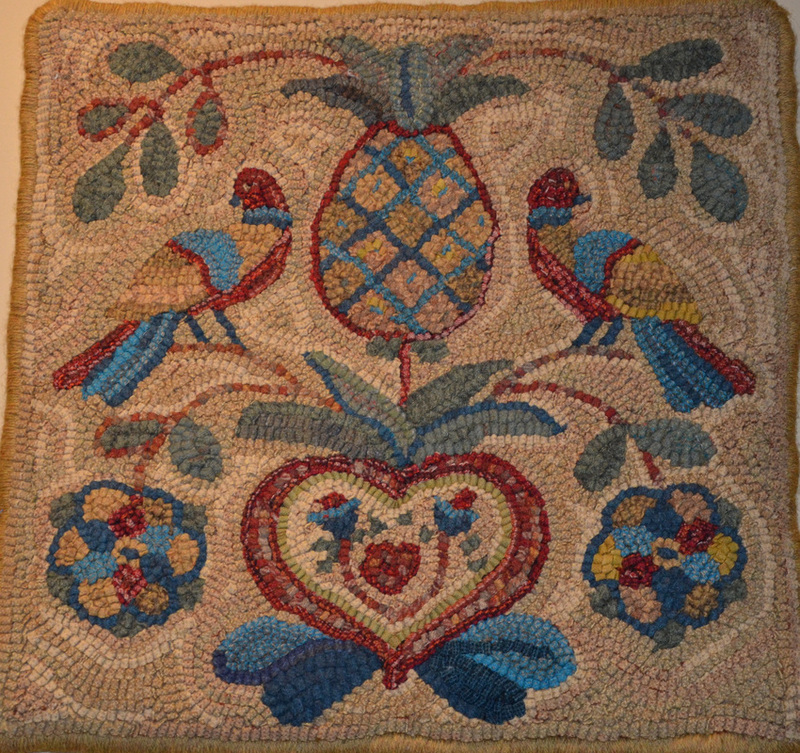 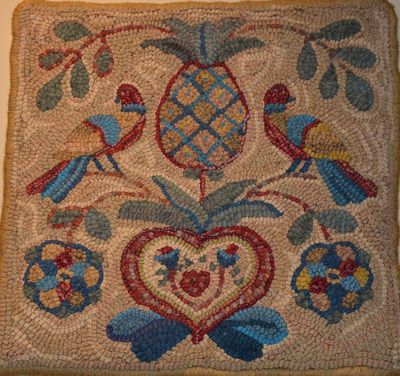 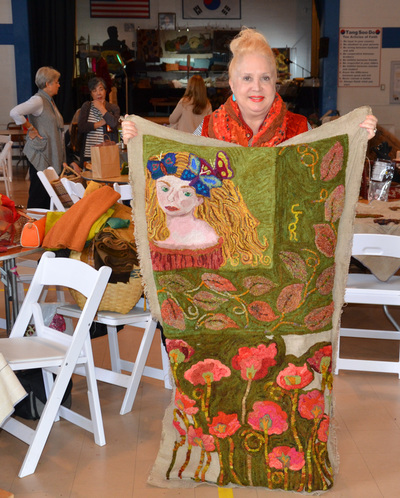 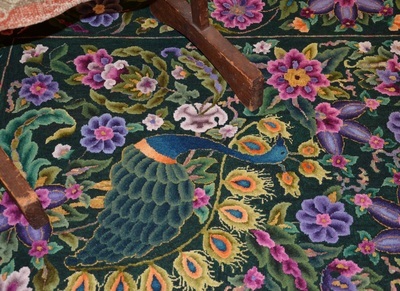 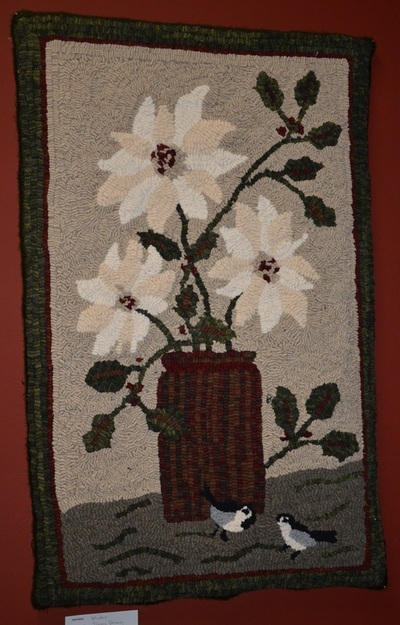 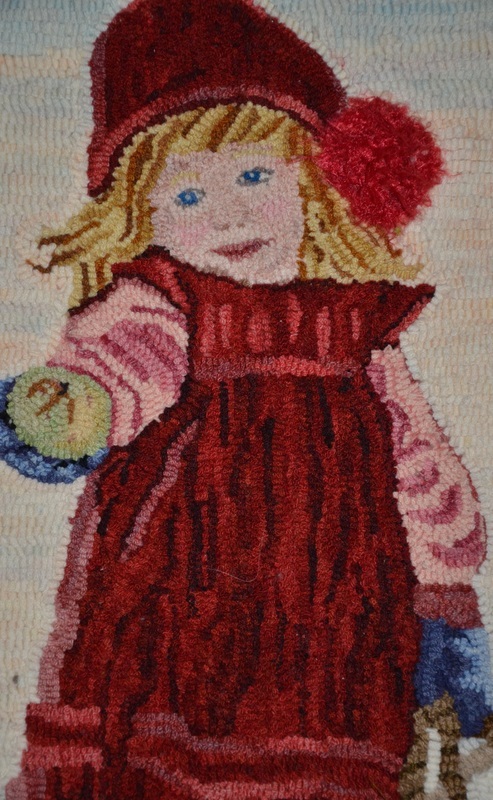 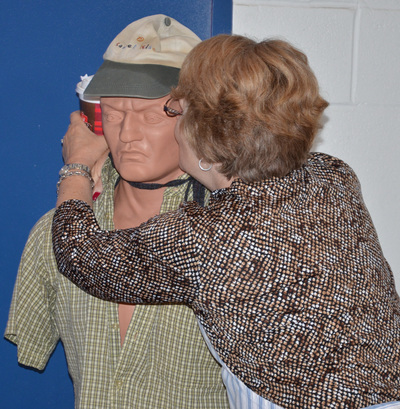 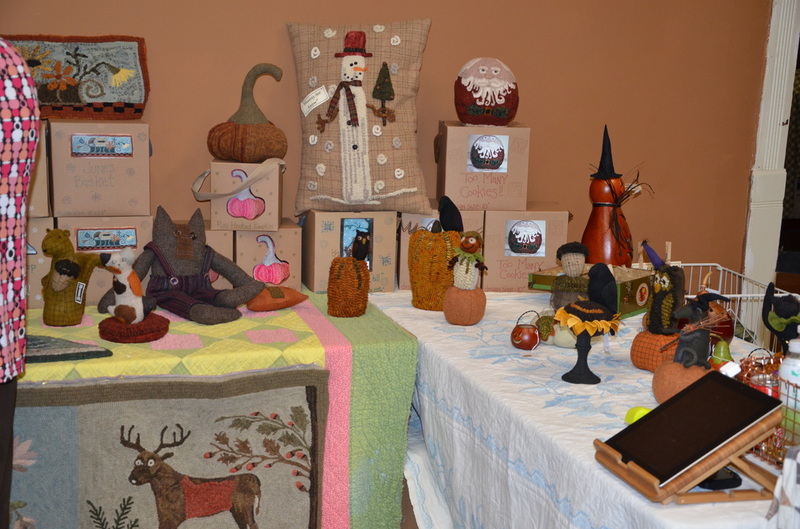 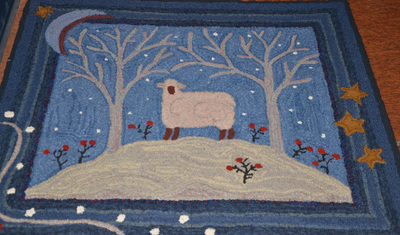 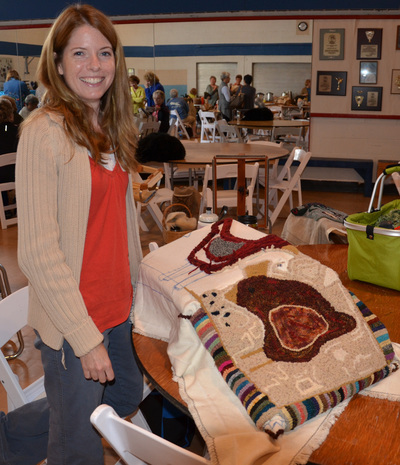 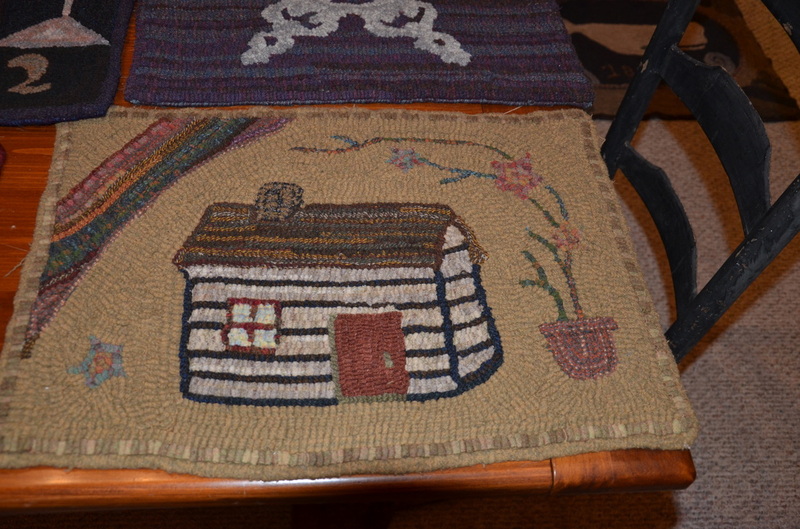 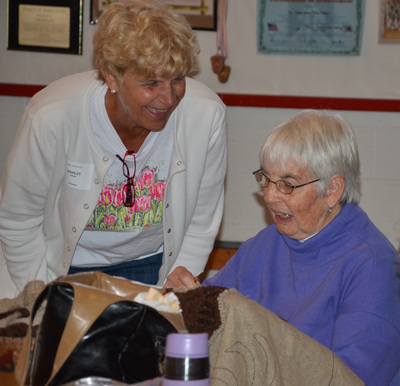 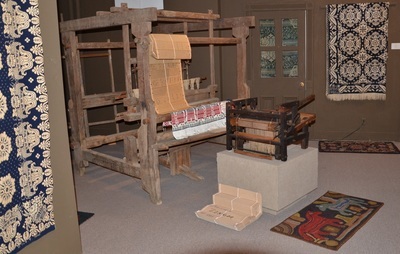 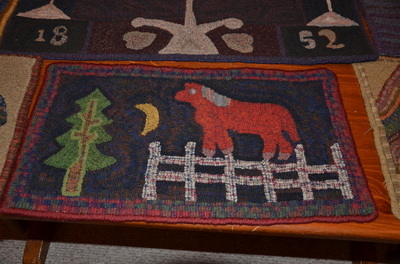 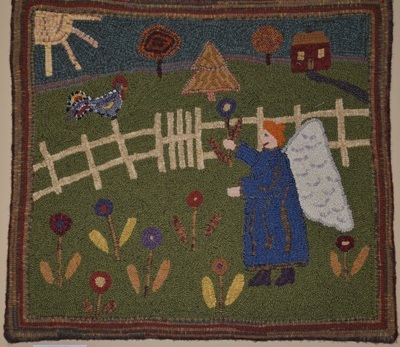 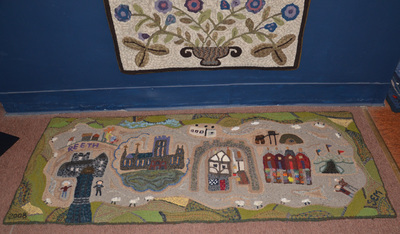 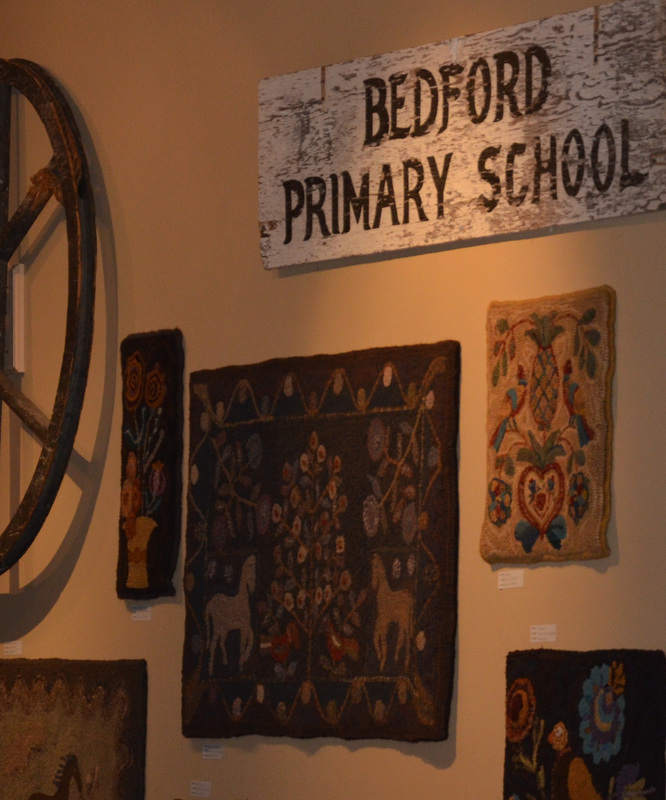 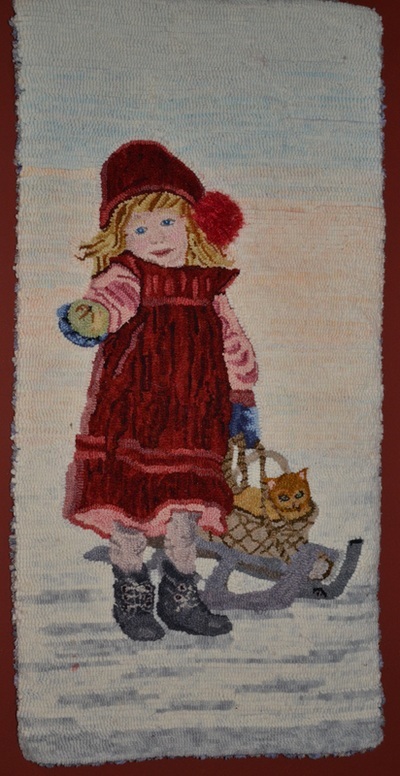 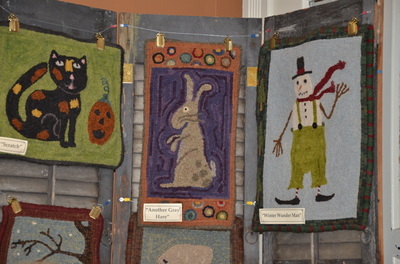 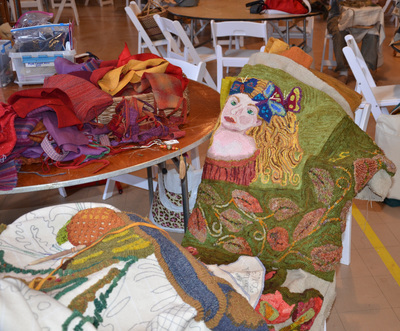 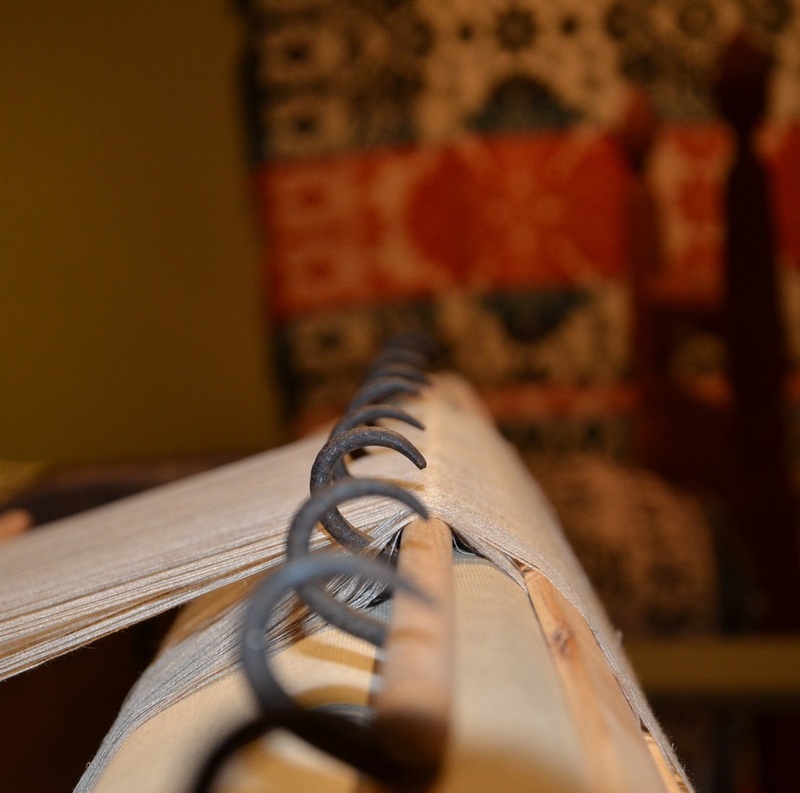 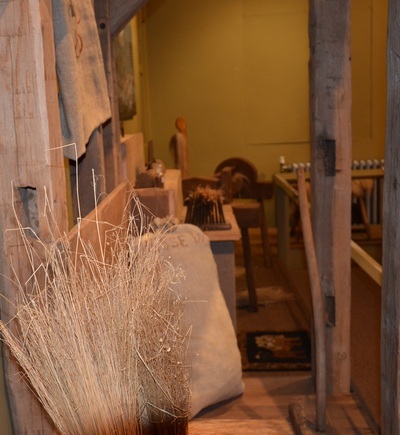 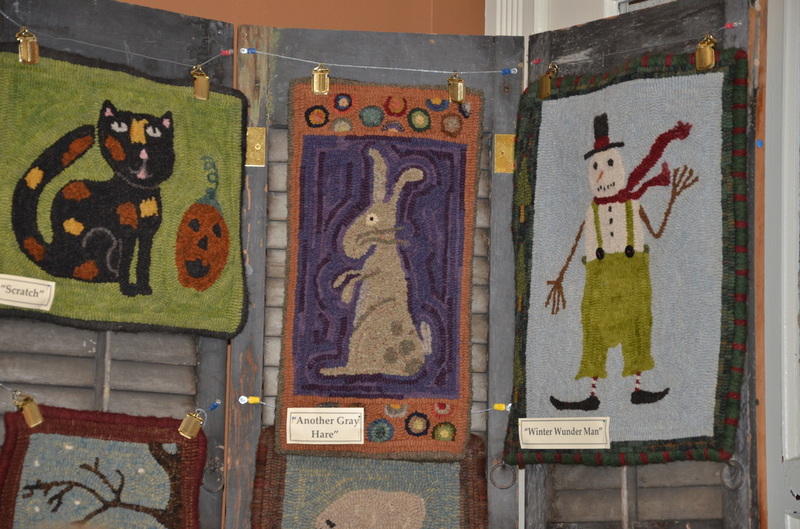 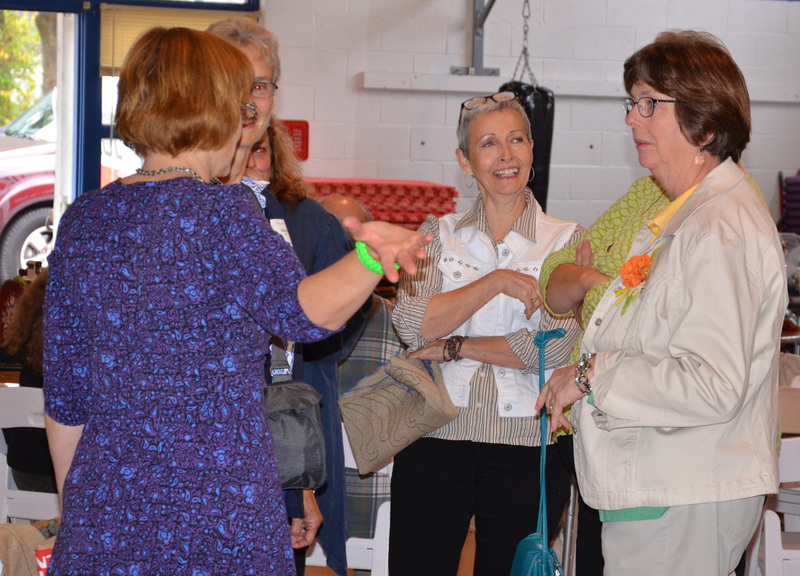 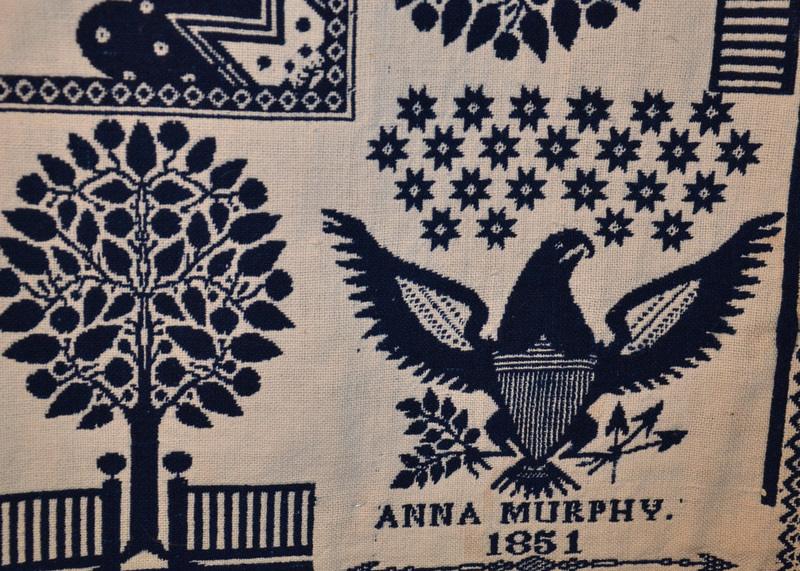 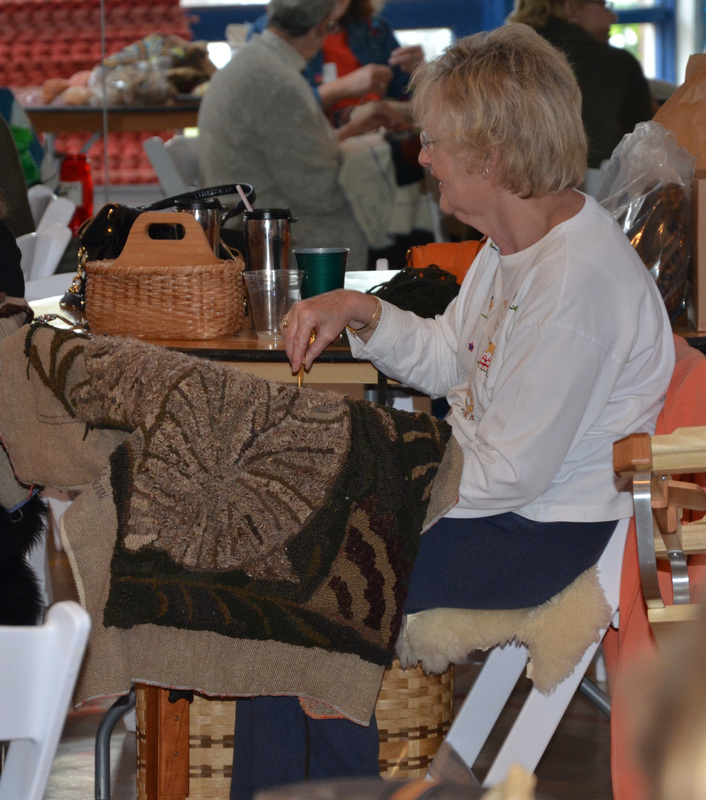 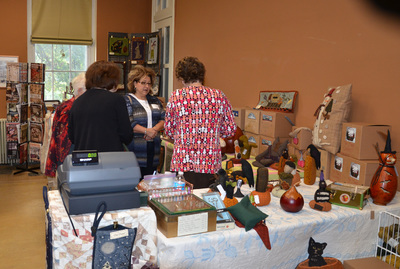 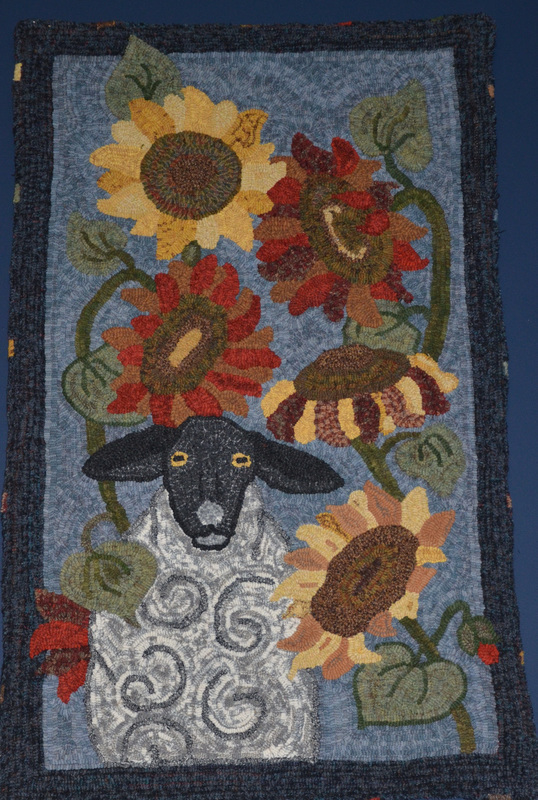 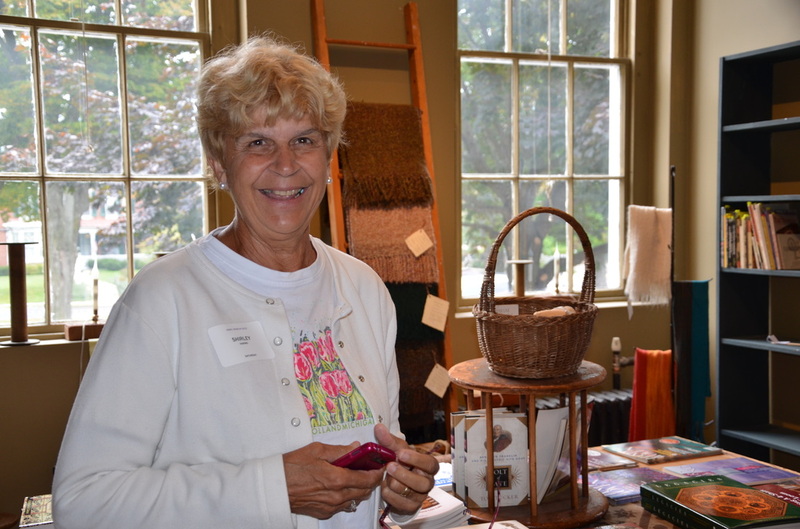 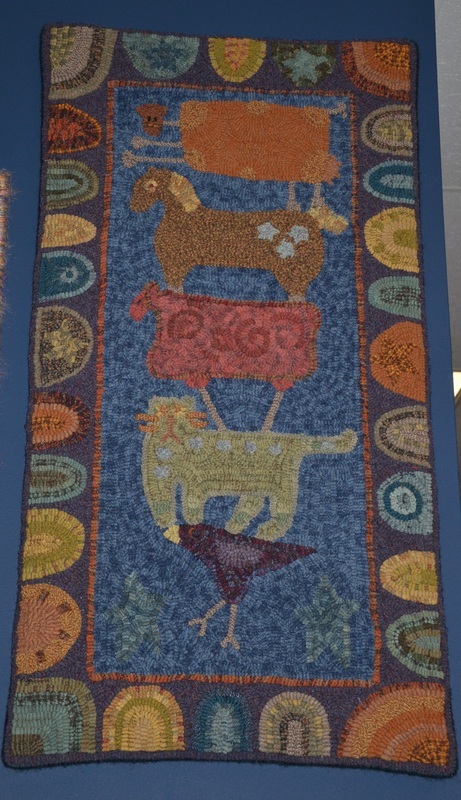 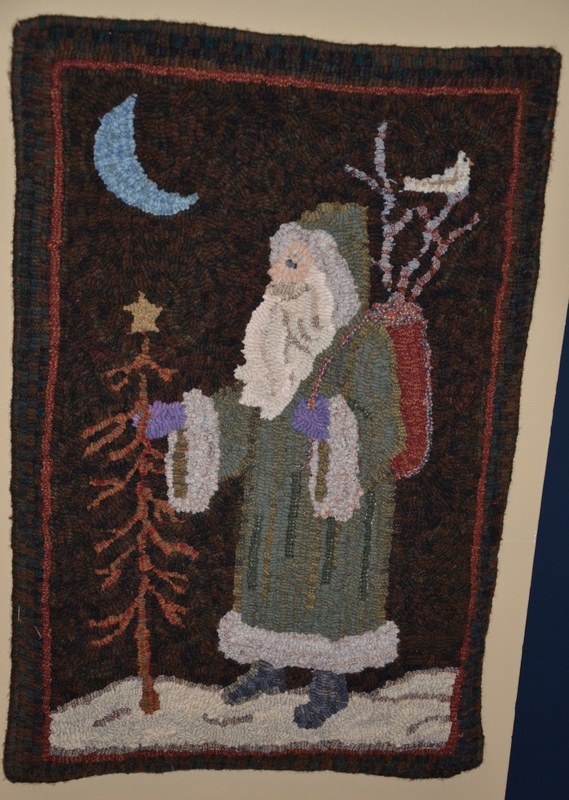 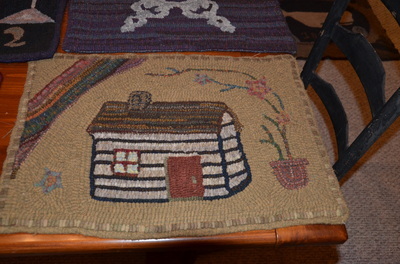 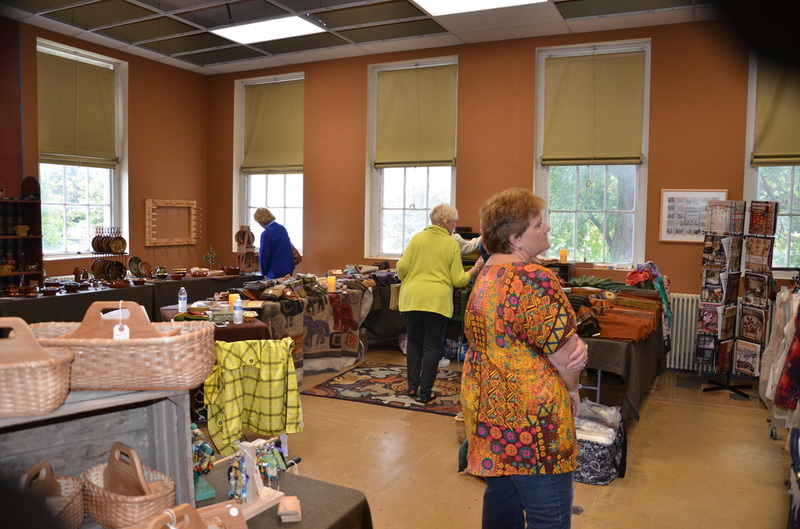 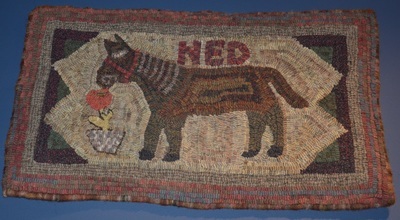 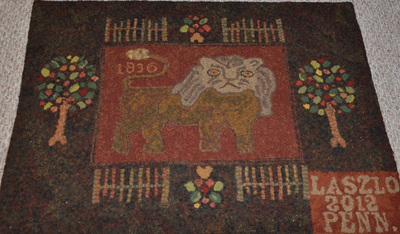 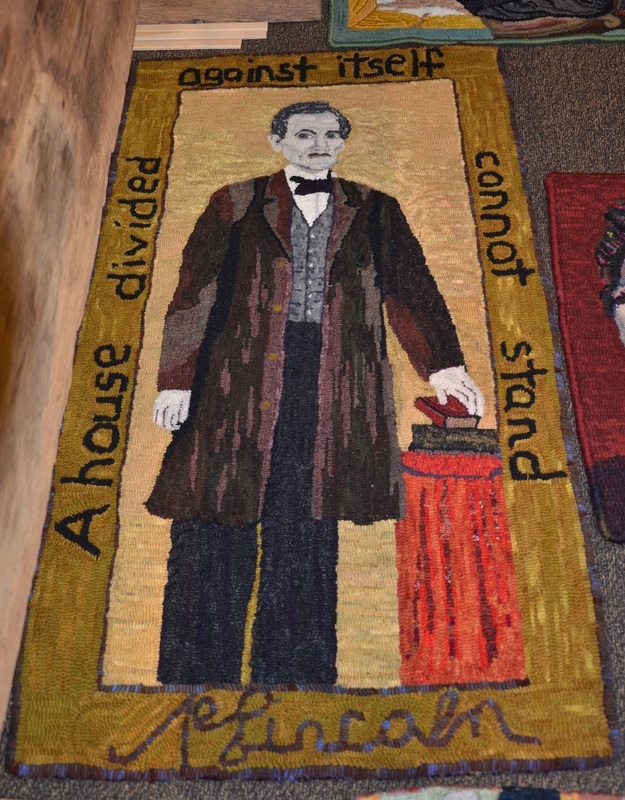 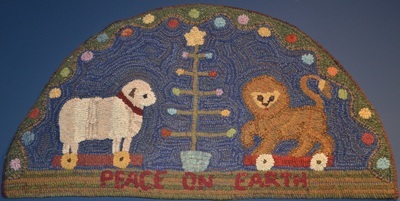 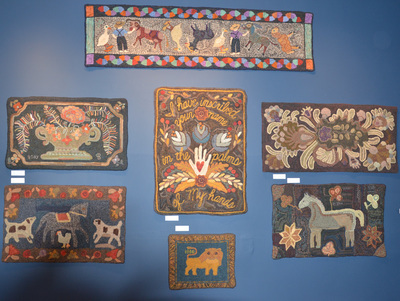 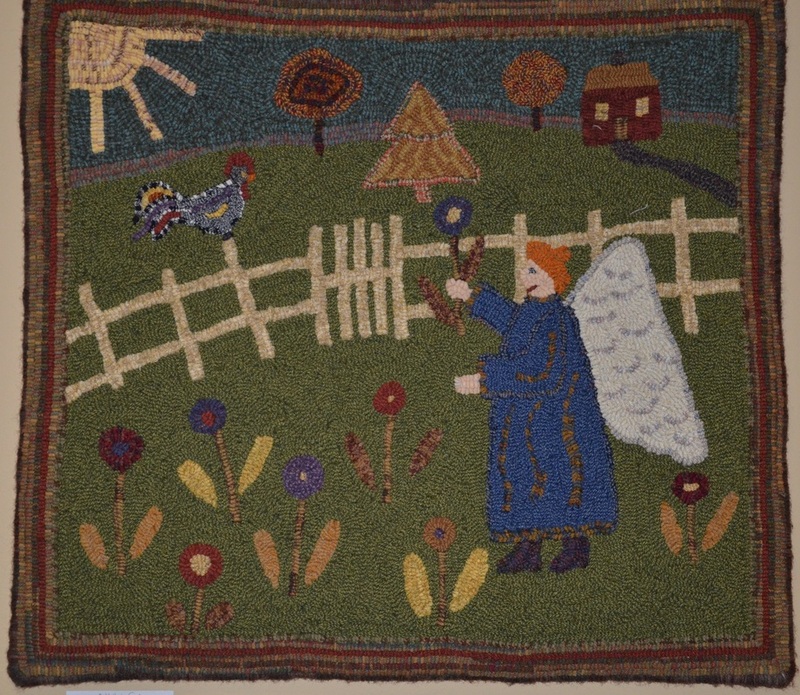 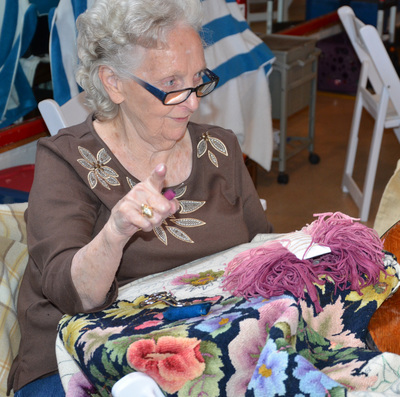 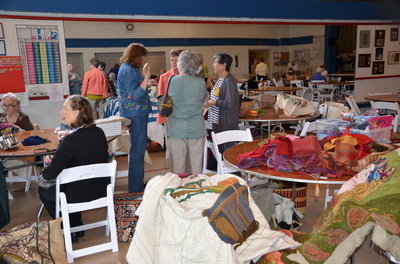 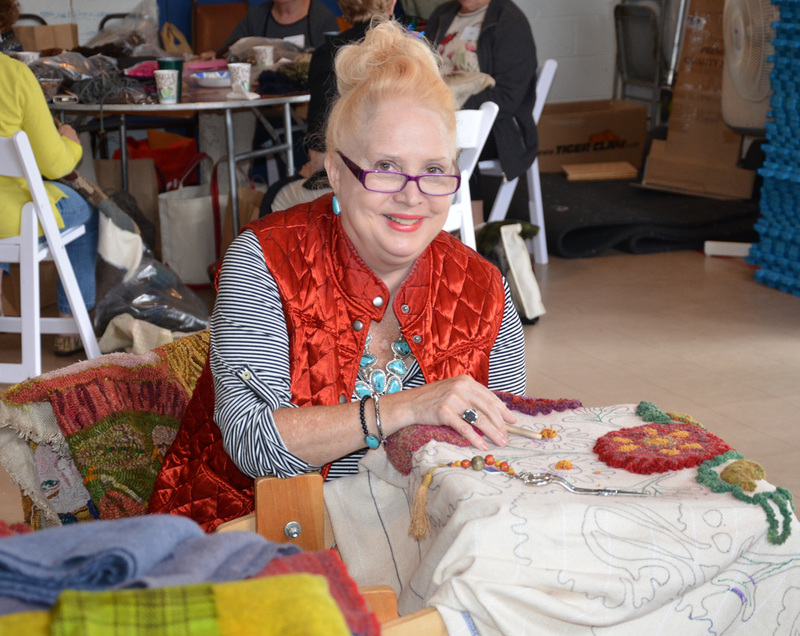 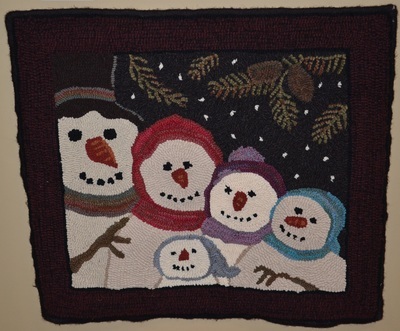 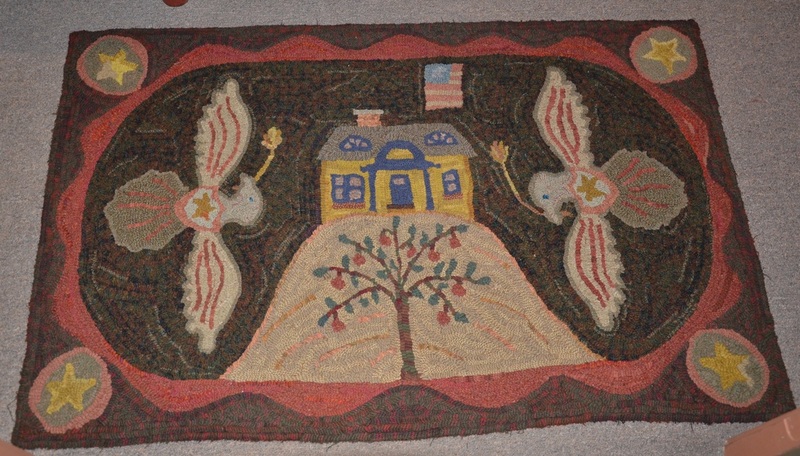 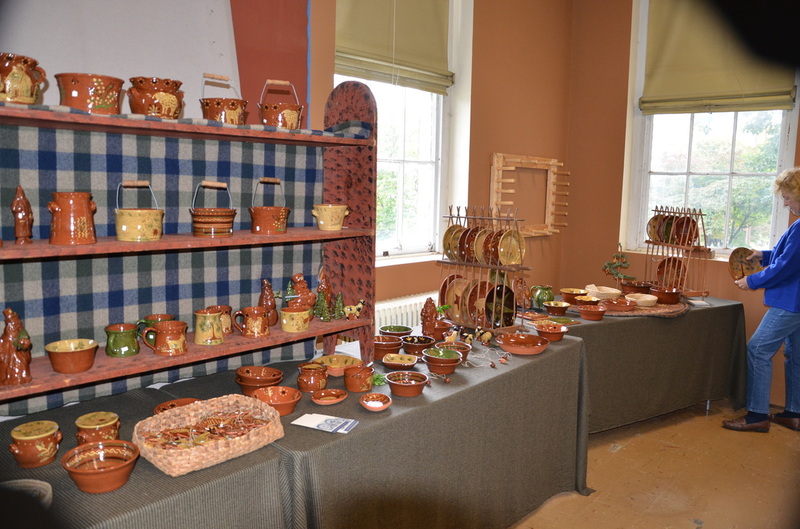 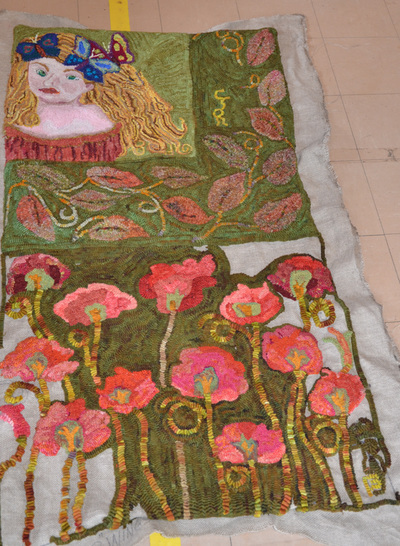 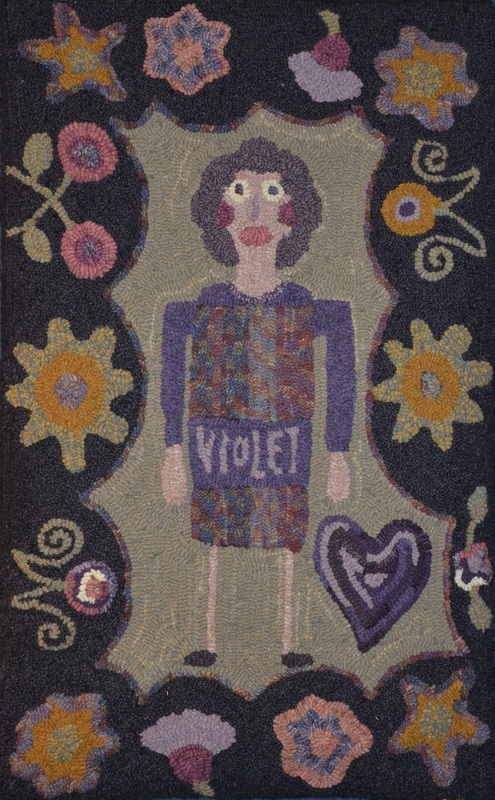 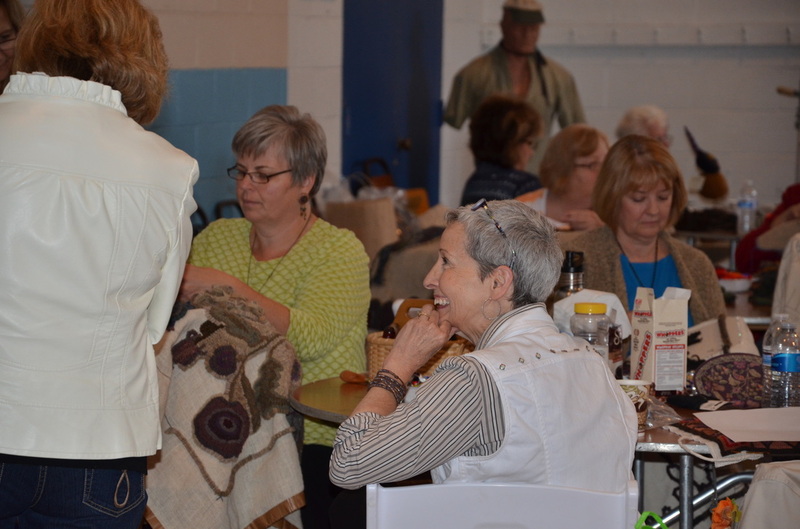 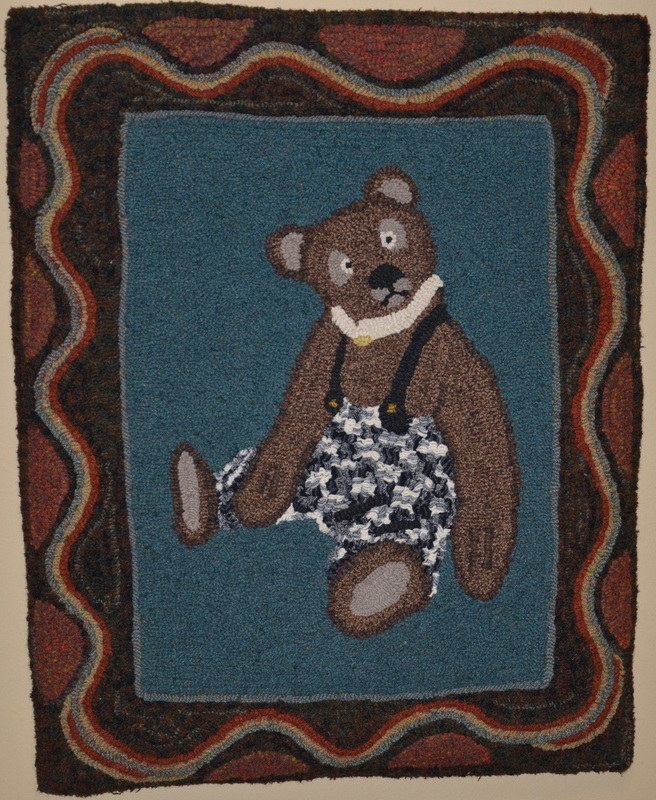 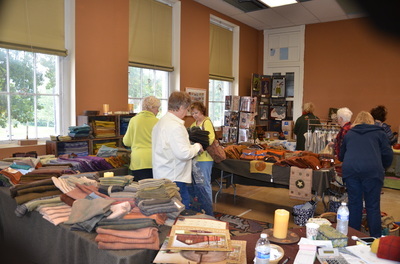 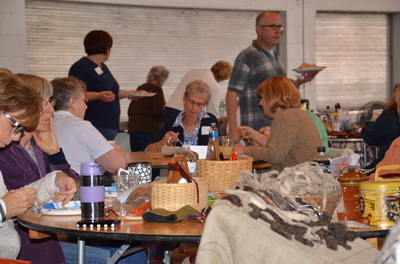 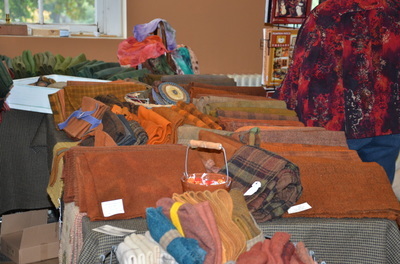 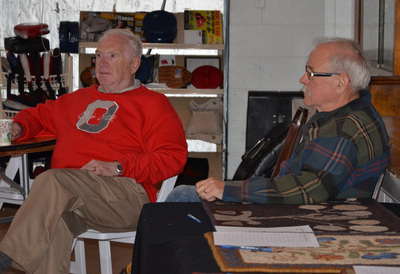 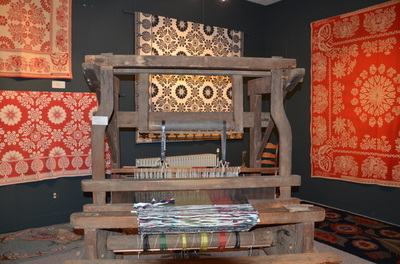 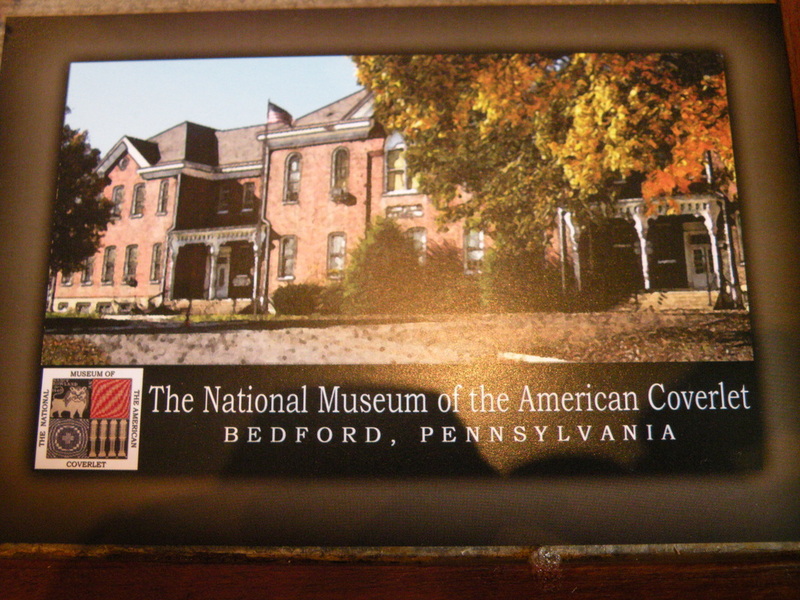 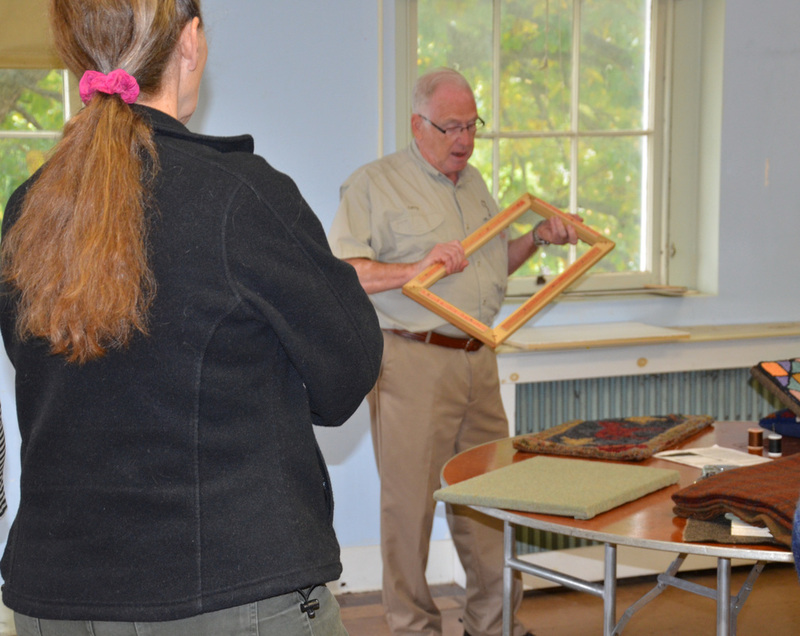 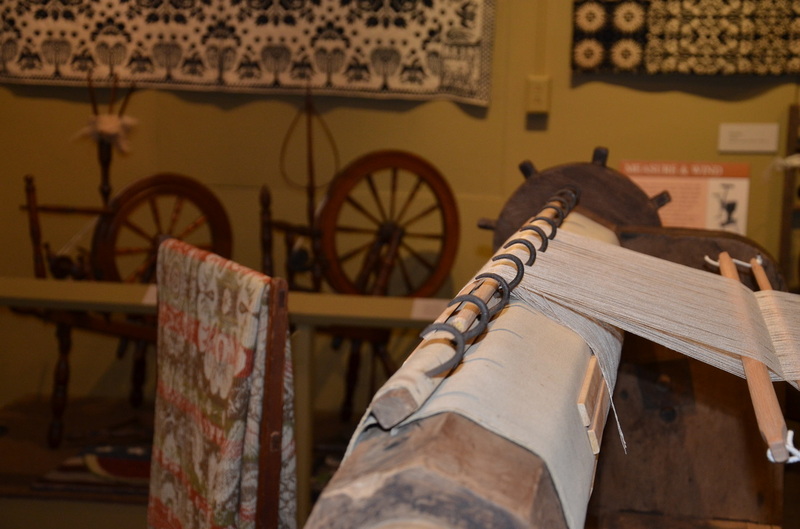 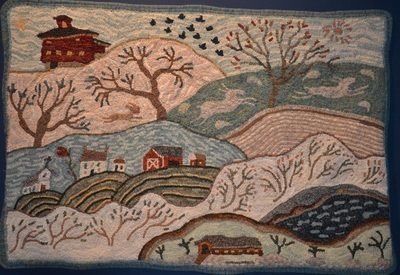 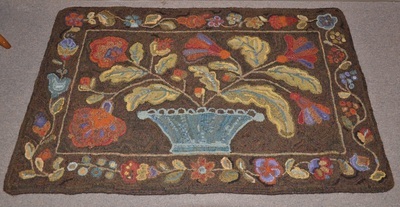 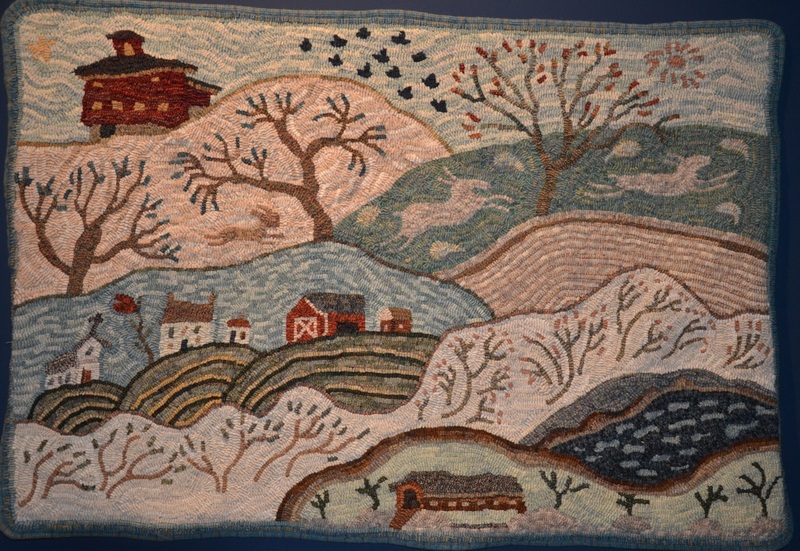 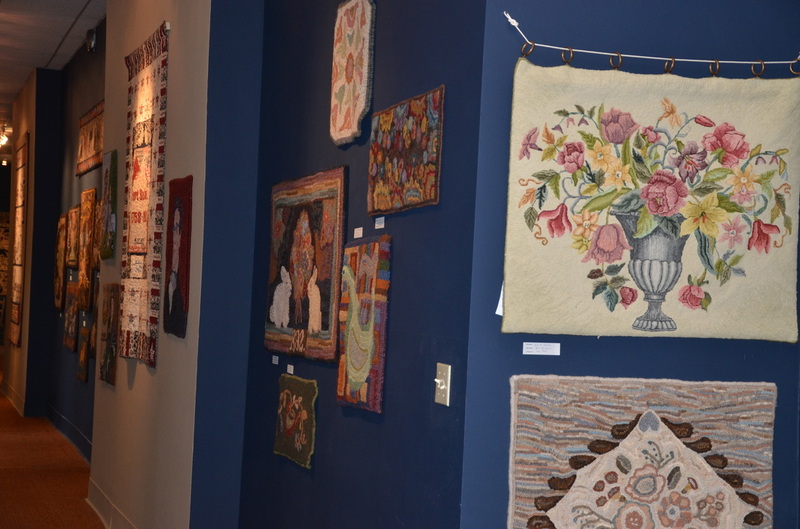 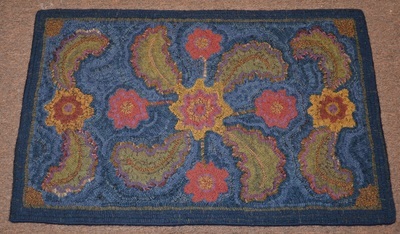 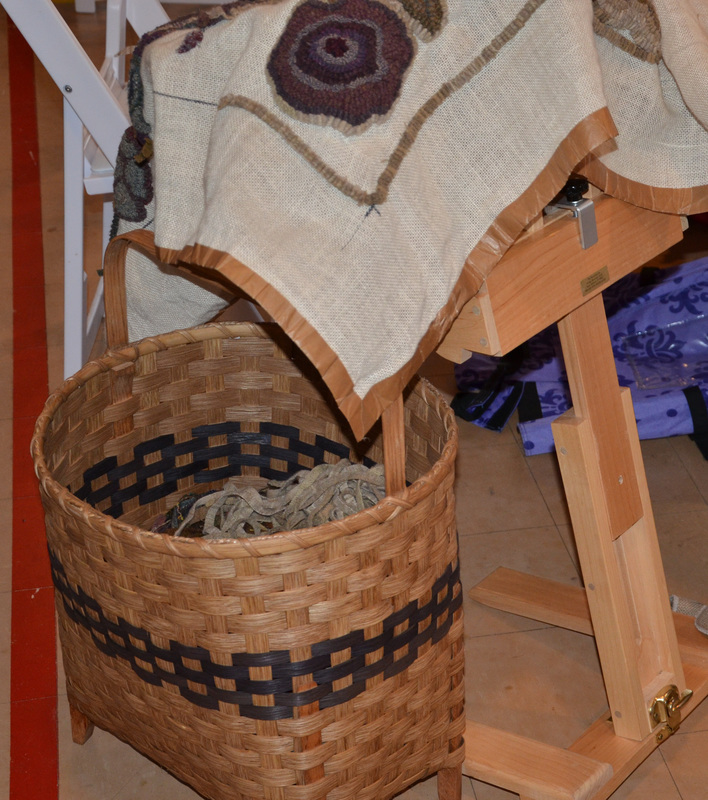 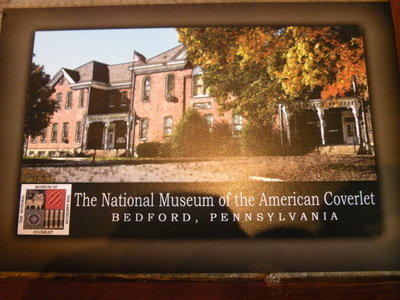 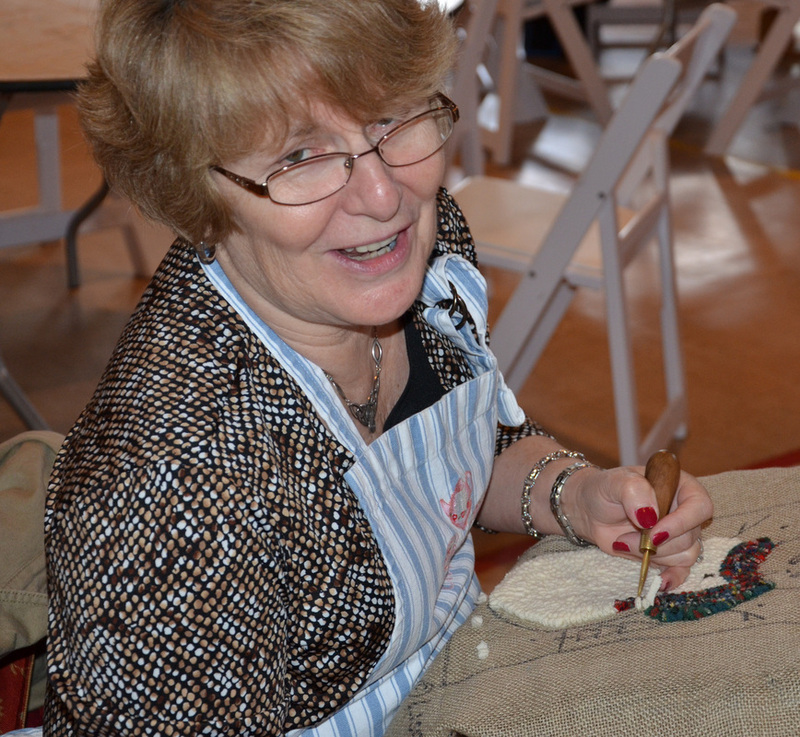 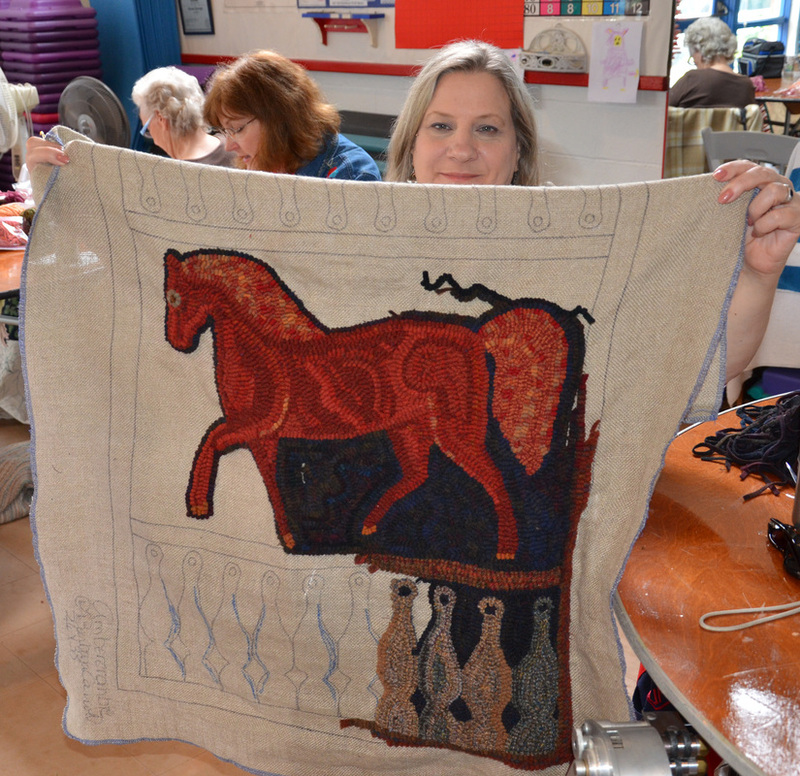 In September, after many months of planning and designing, a workshop was held in Bedford, Pennsylvania, for four days and Barb worked with rug hookers on the designs she had planned. 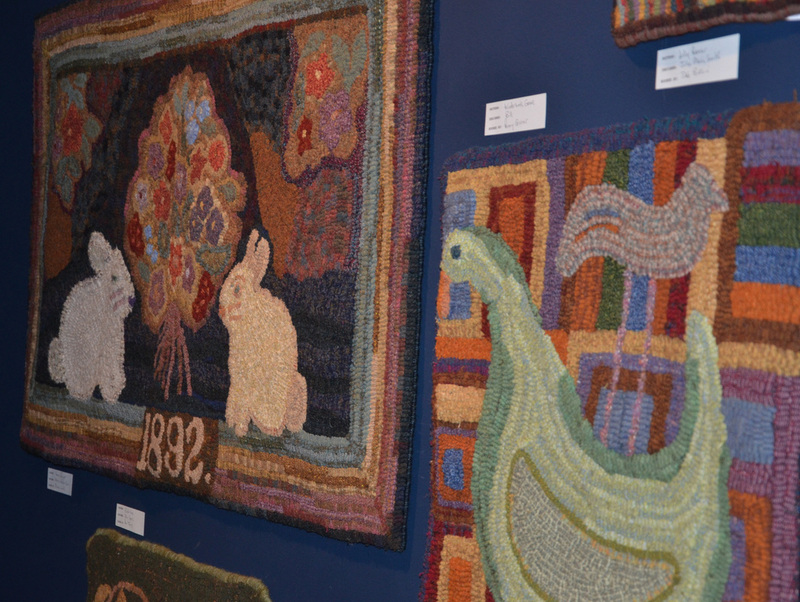 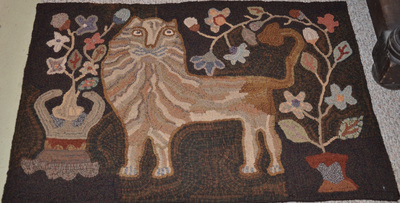 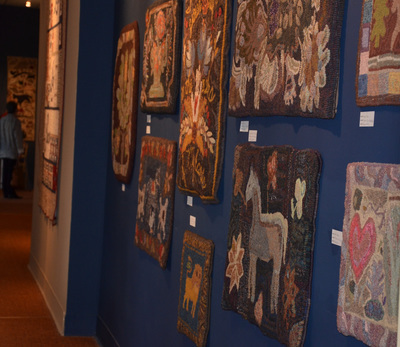 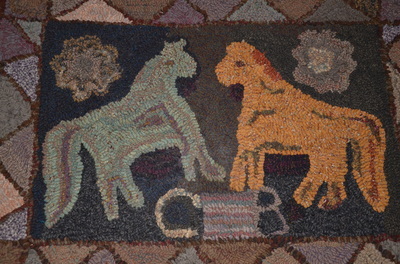 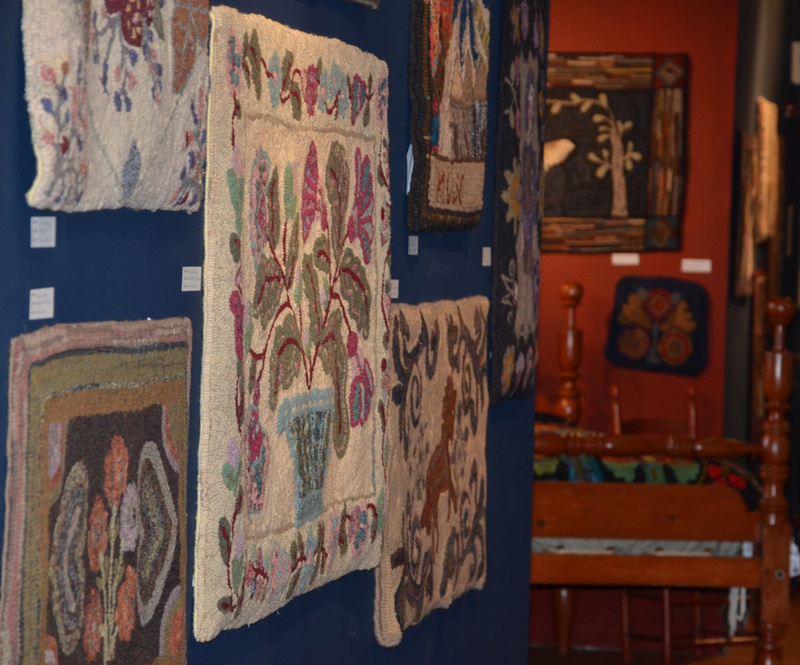 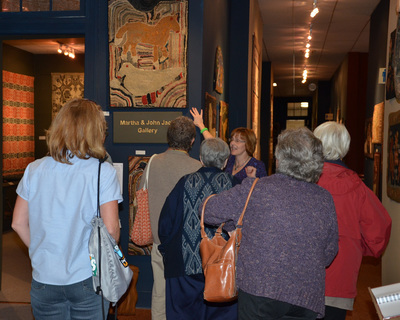 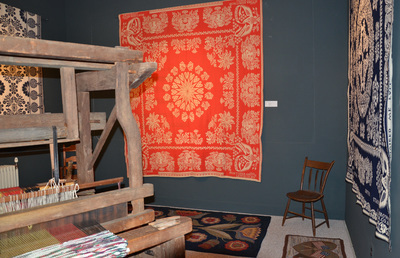 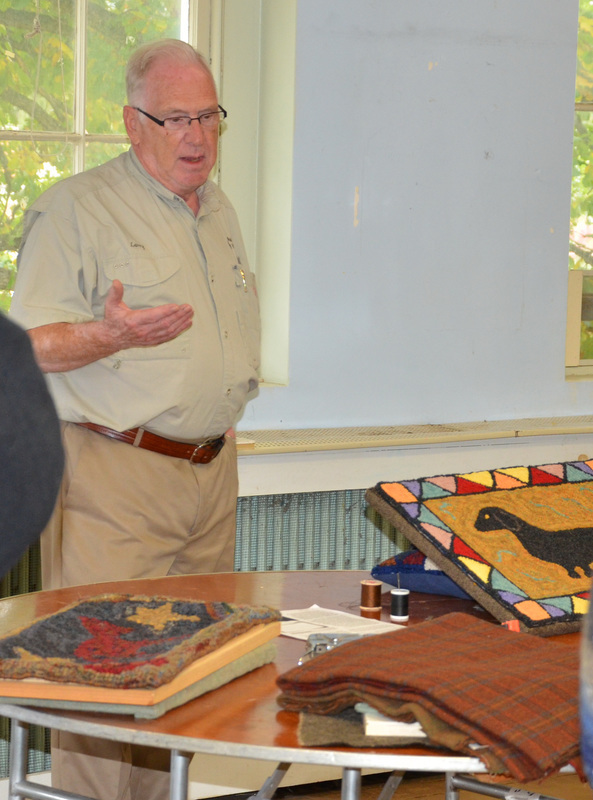 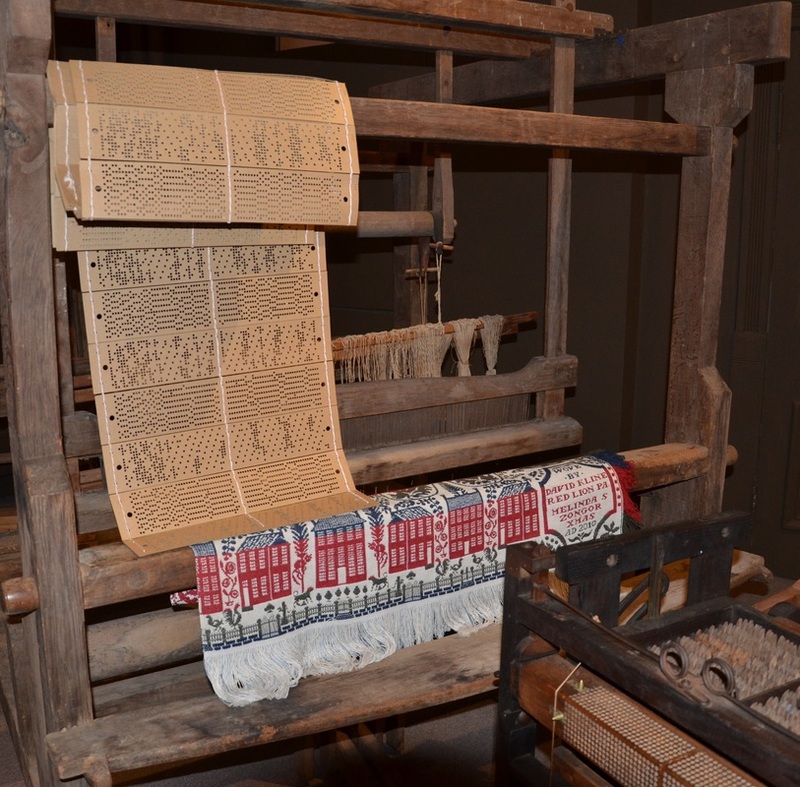 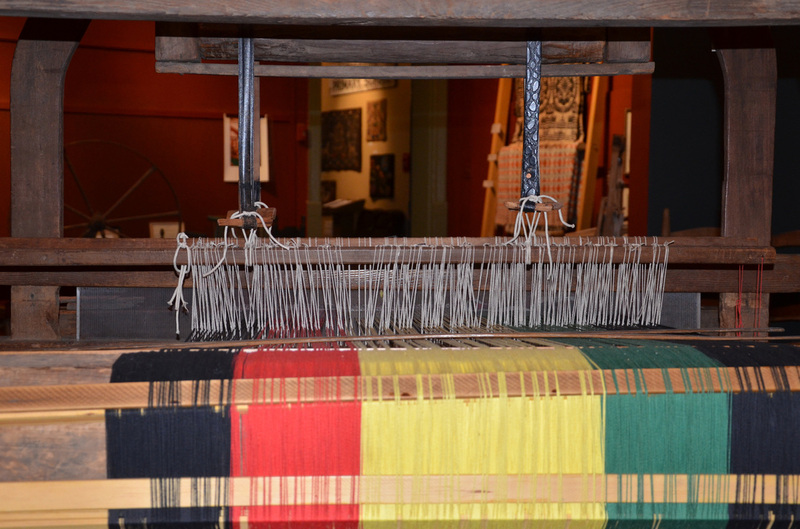 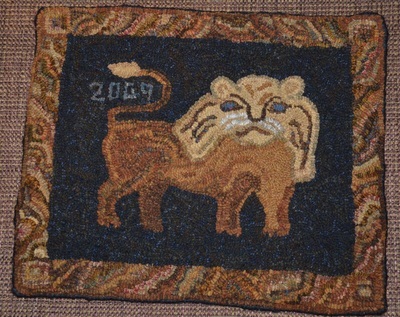 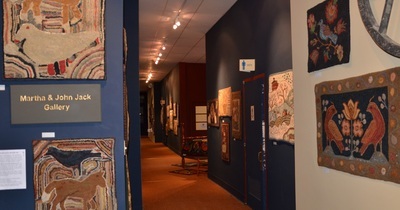 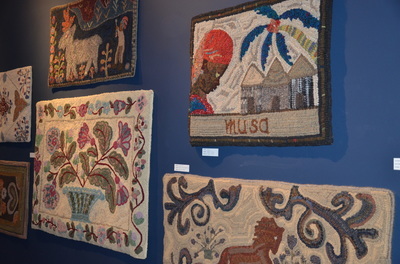 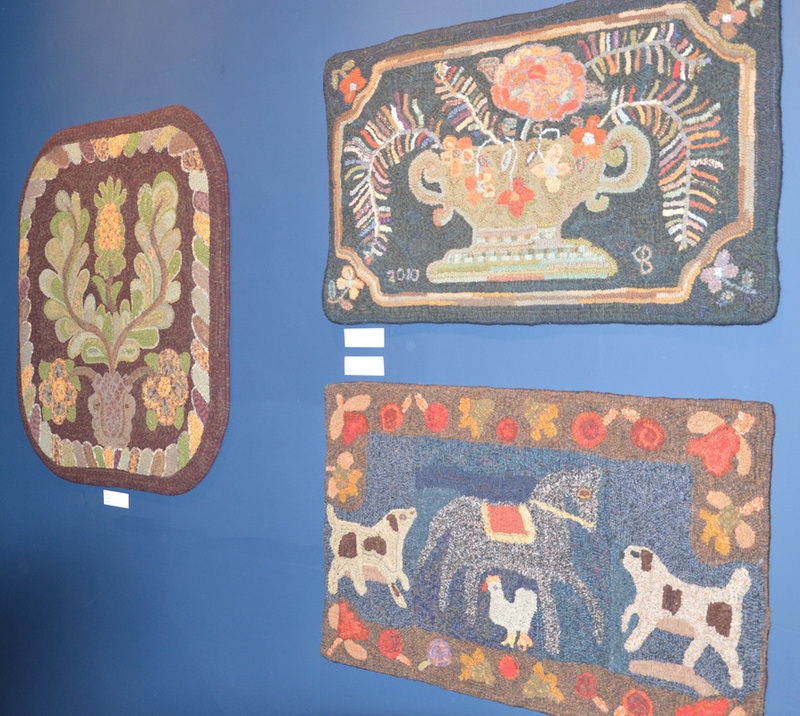 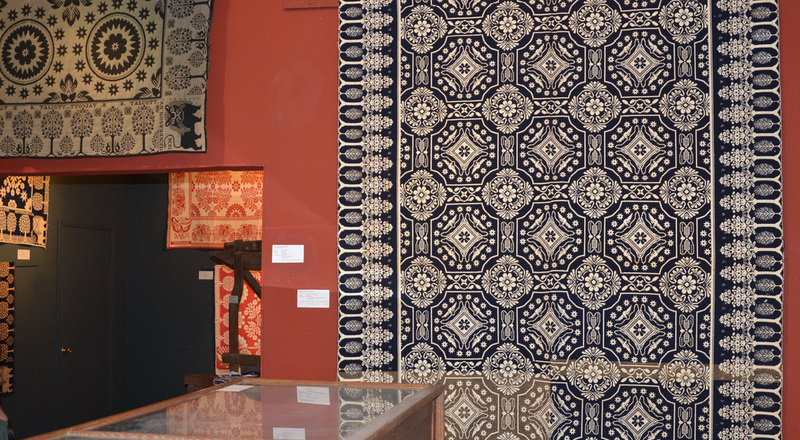 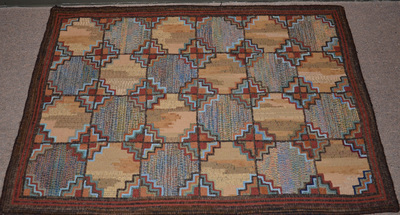 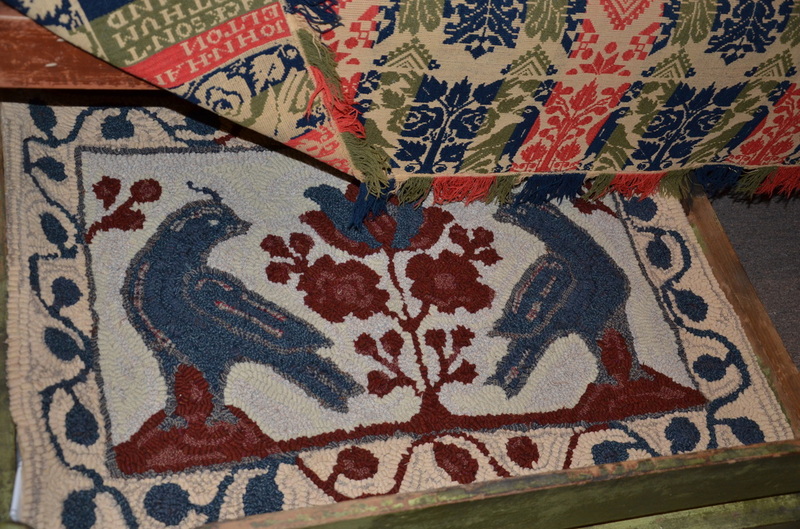 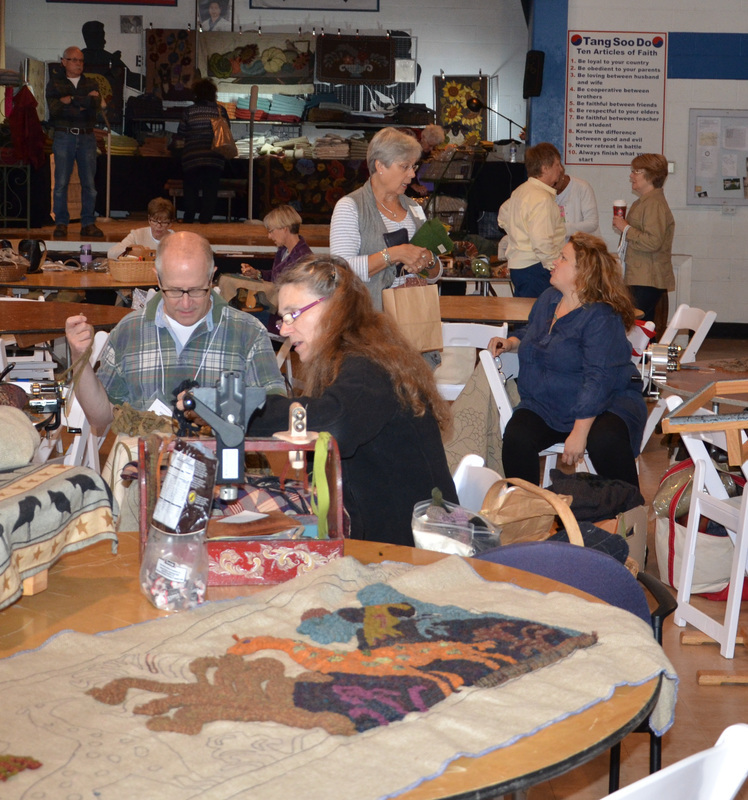 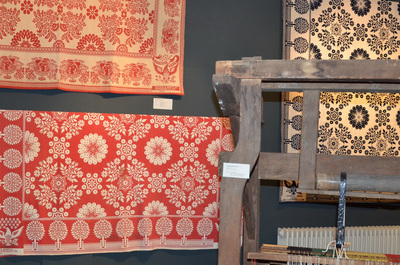 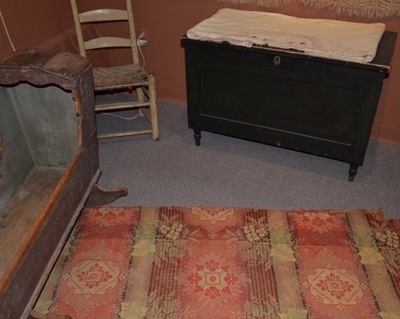 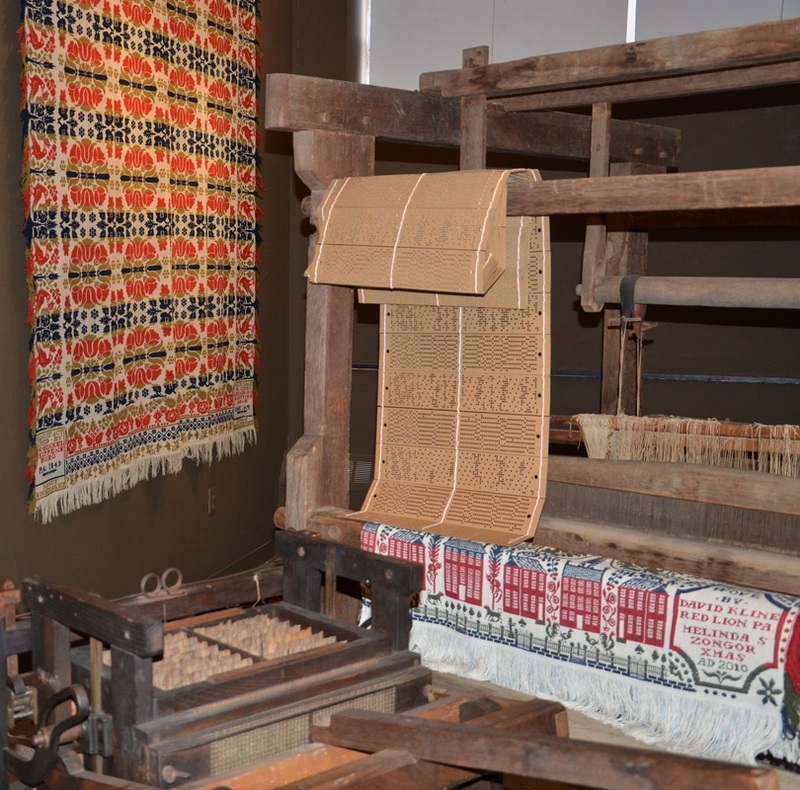 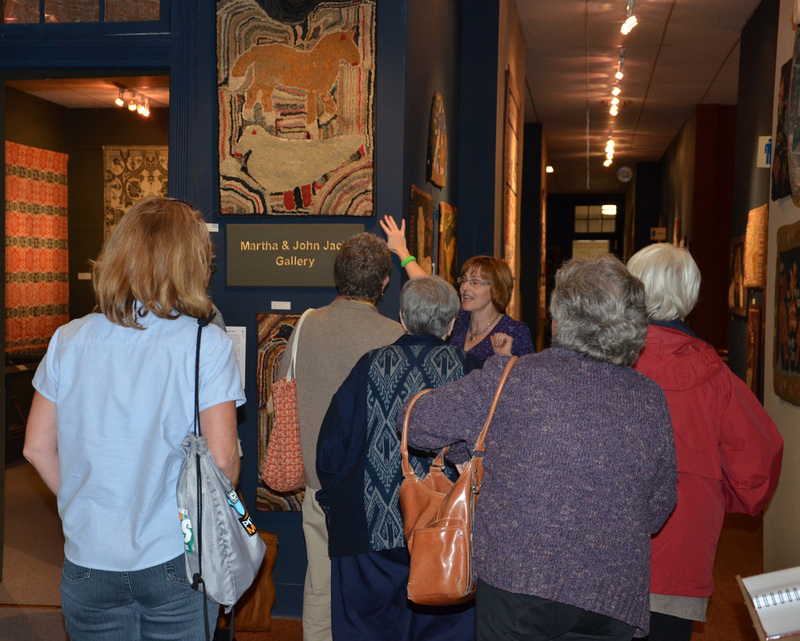 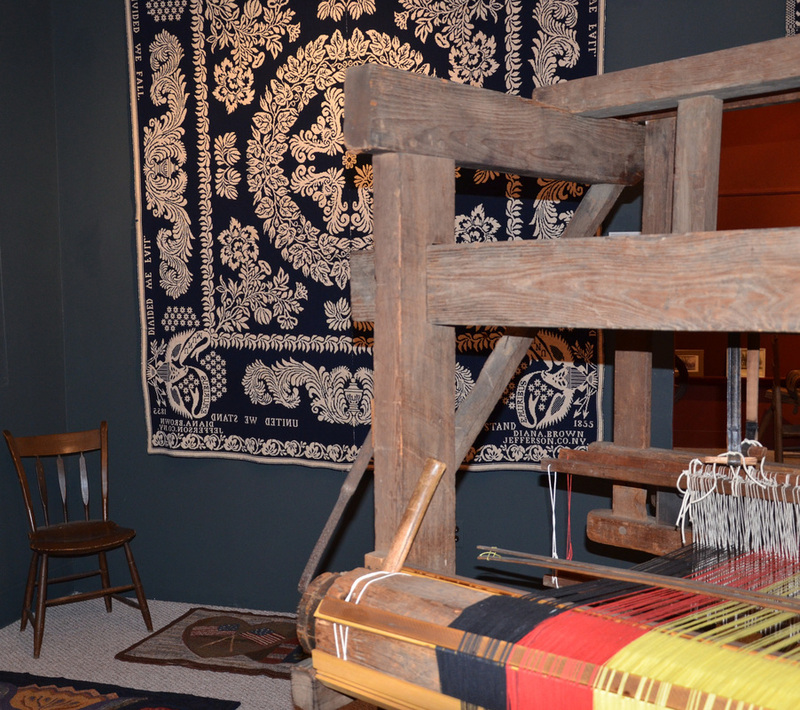 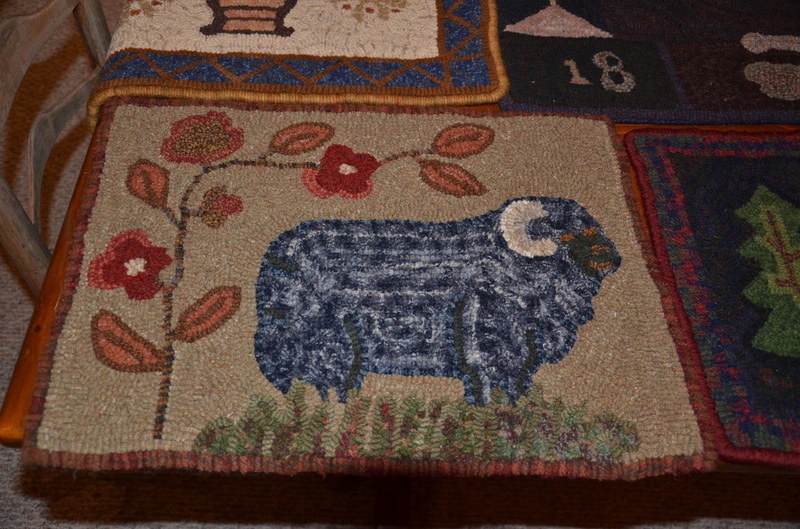 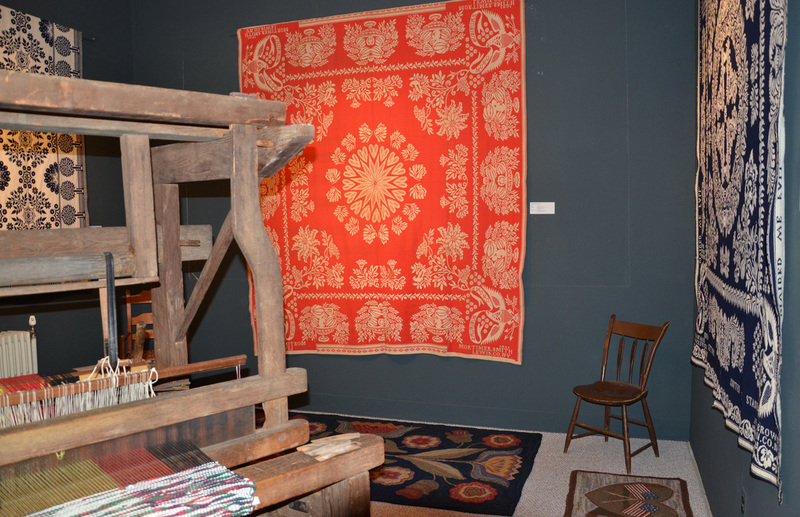 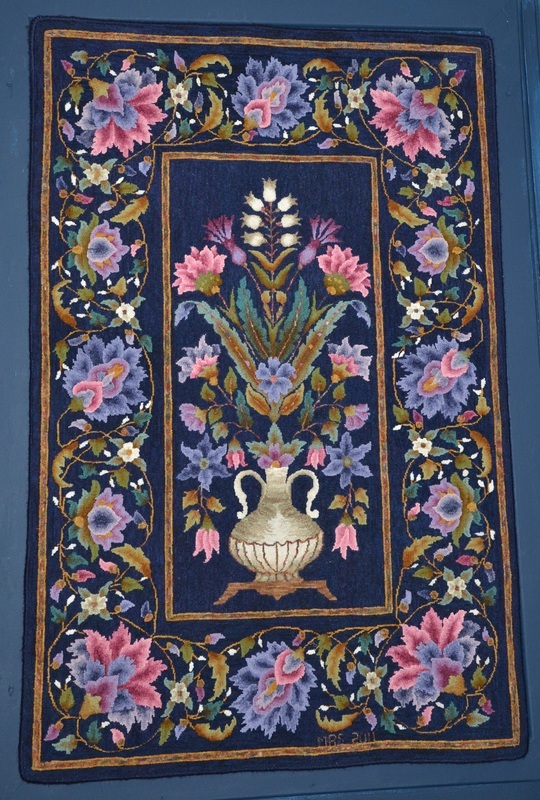 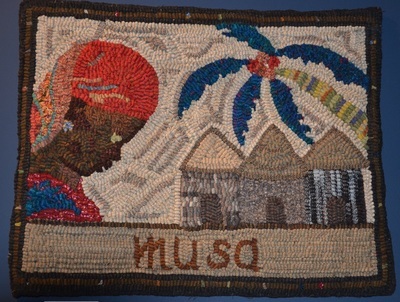 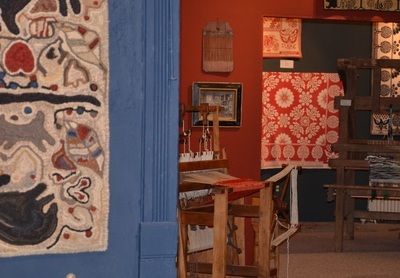 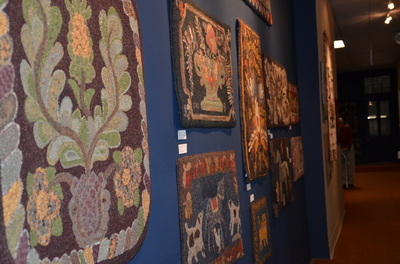 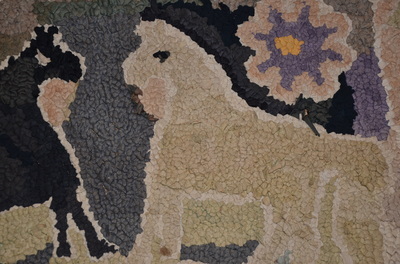 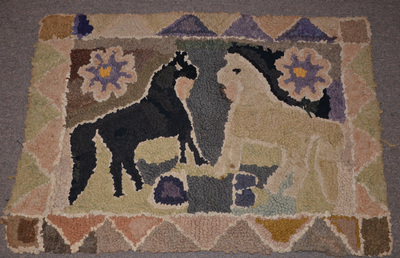 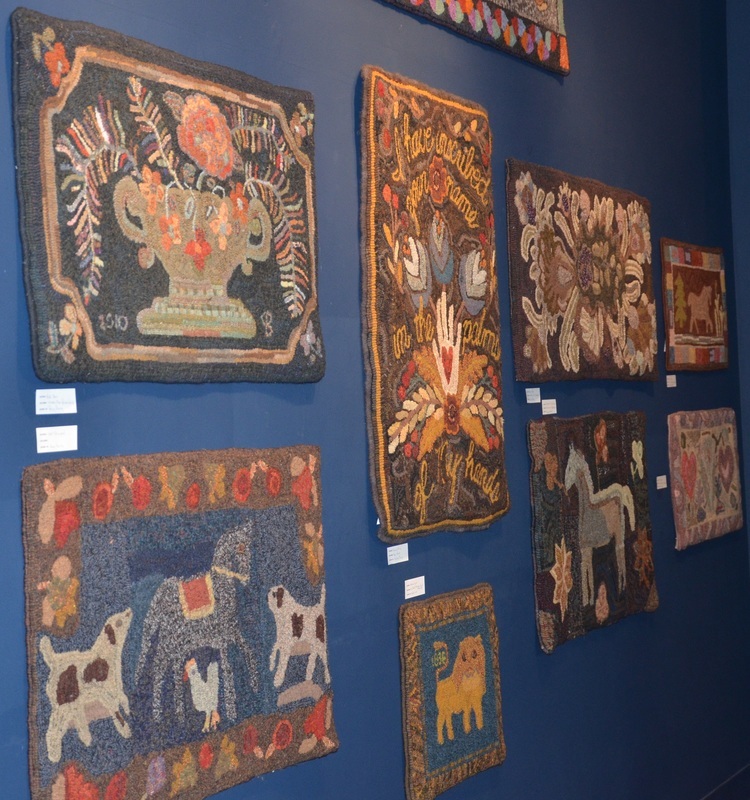 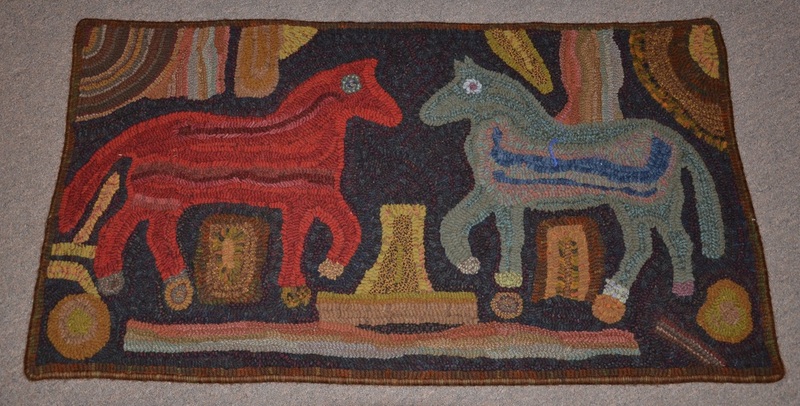 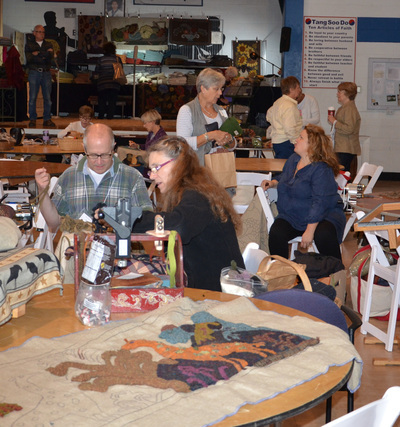 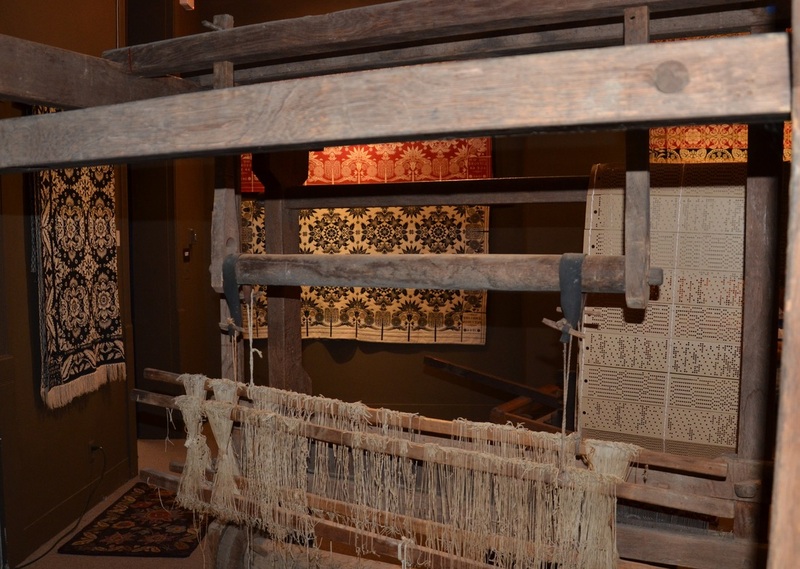 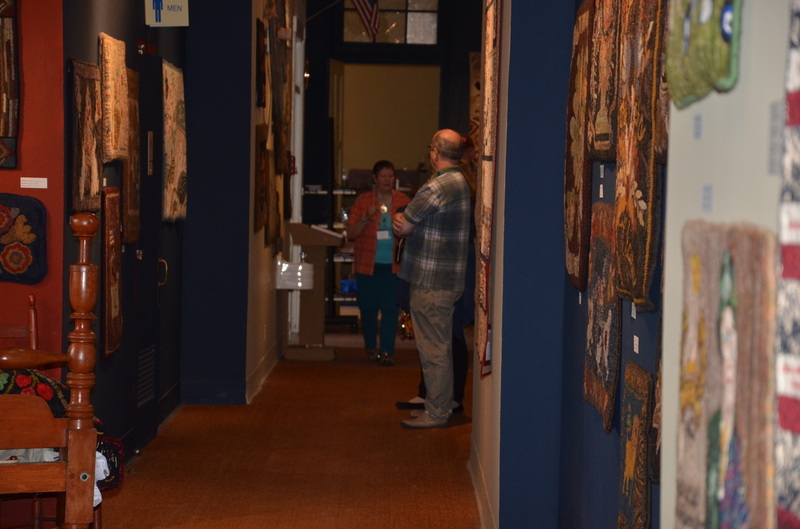 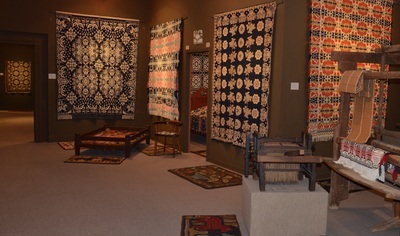 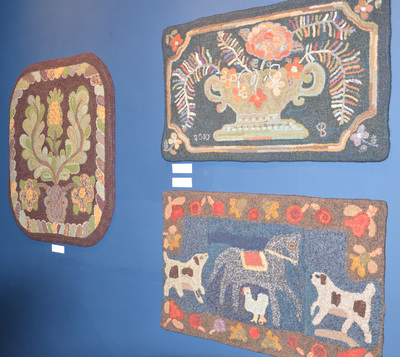 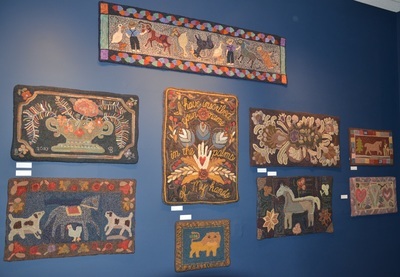 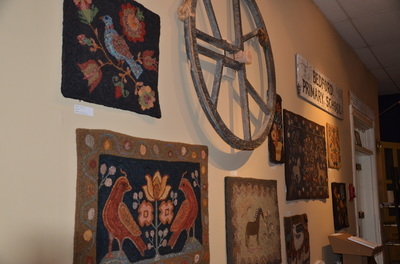 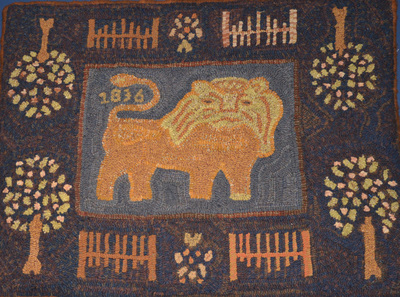 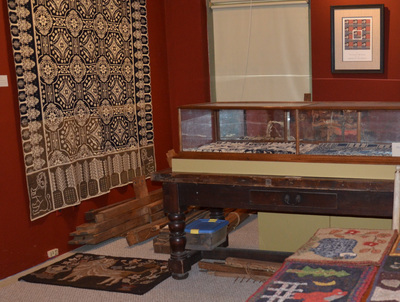 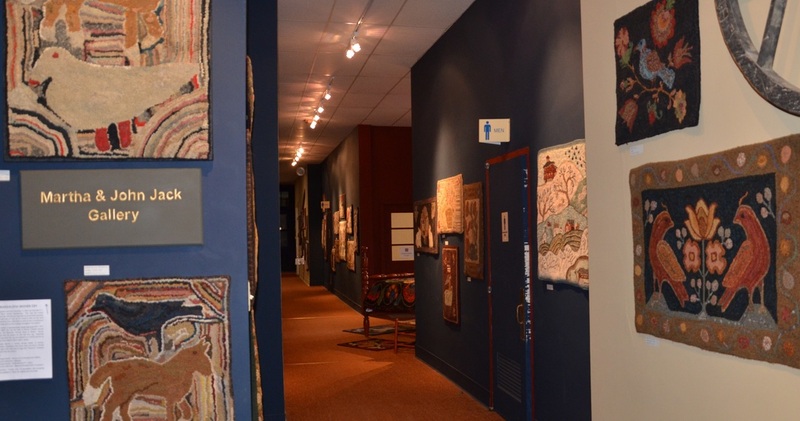 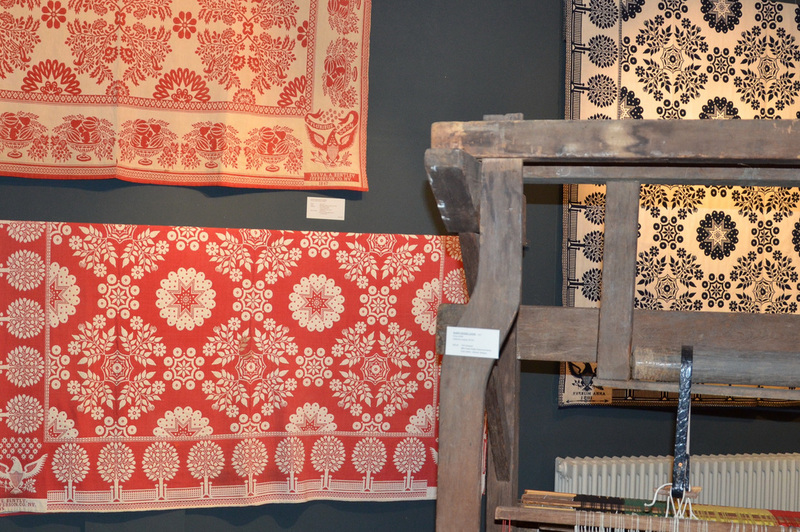 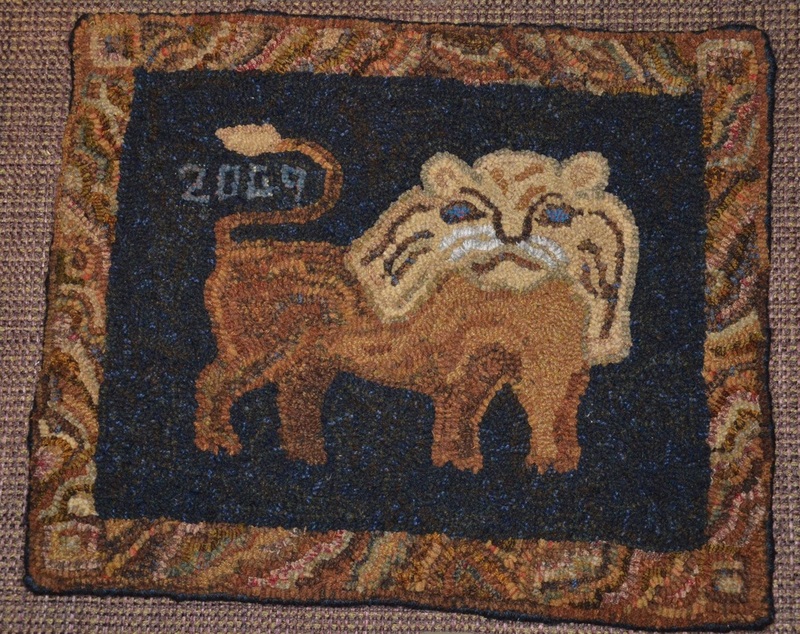 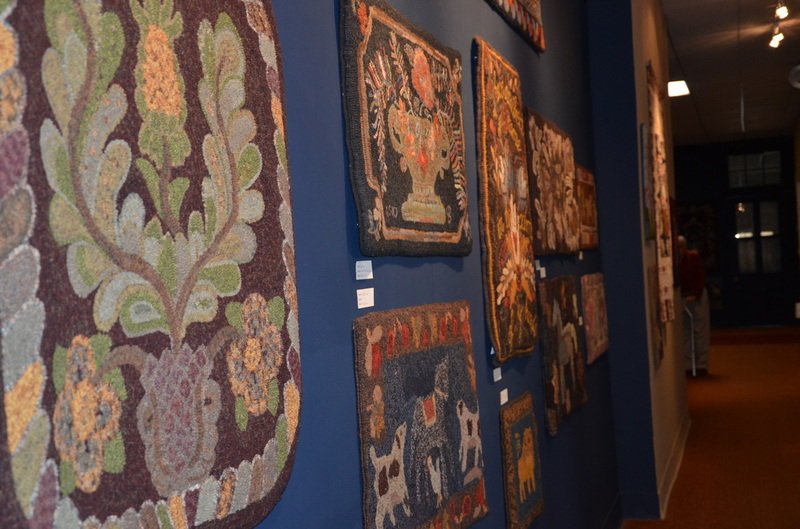 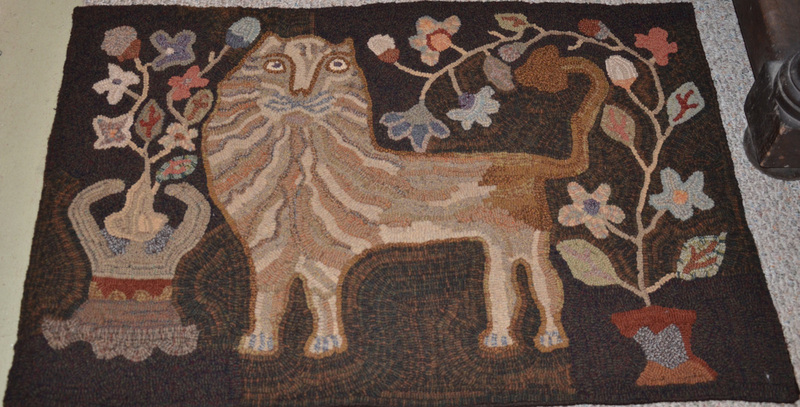 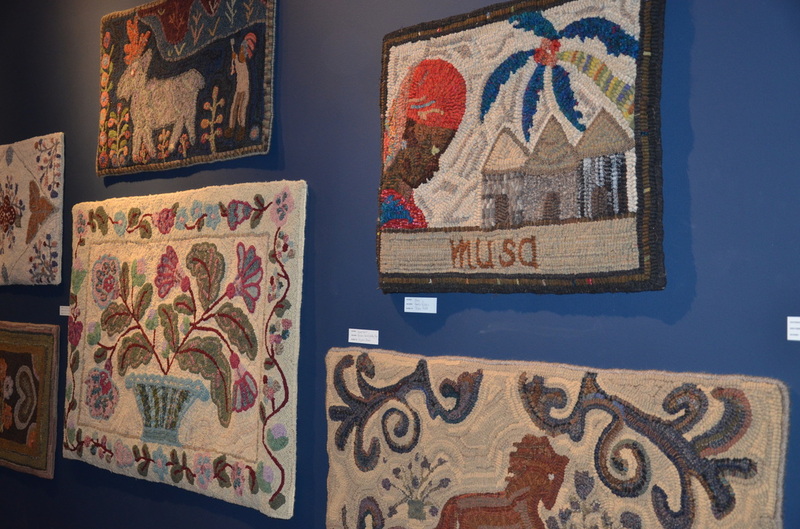 At the end of the week, a fantastic rug show was held in the museum displaying 141 rugs with the collection of antique coverlets. A hook-in was held which attracted hookers from all over the area and vendors were there to fill the needs of this artistic group. 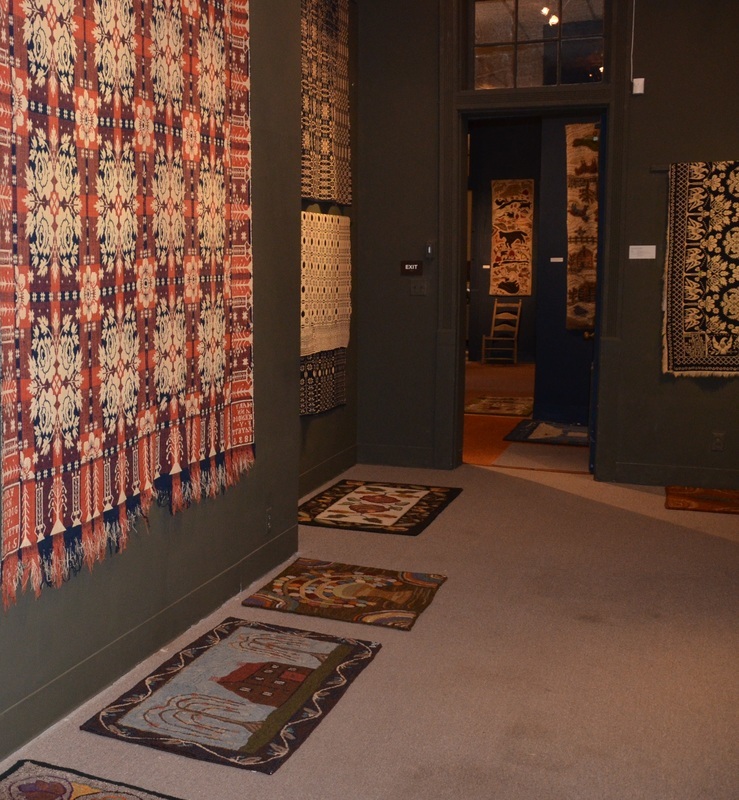 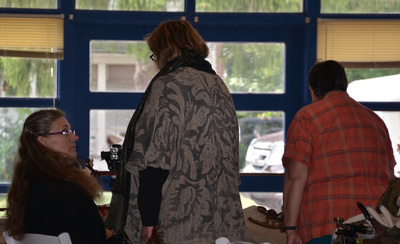 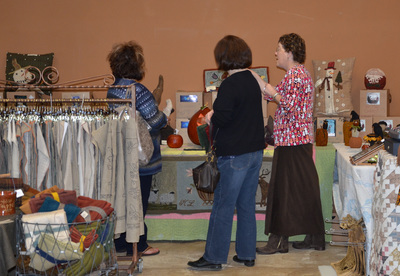 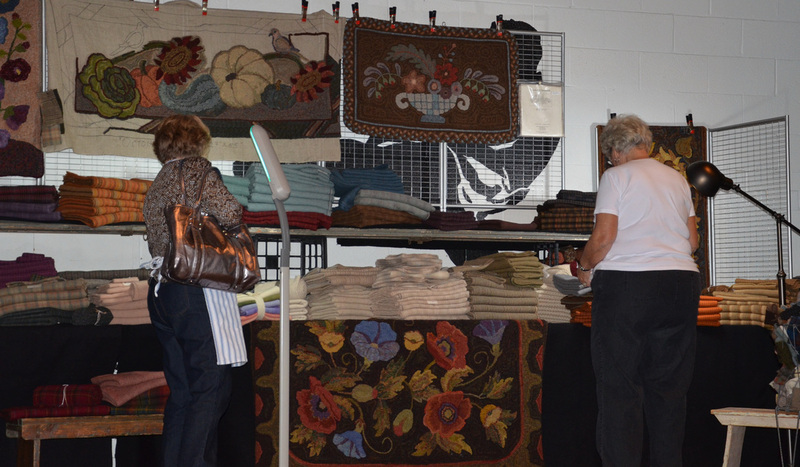 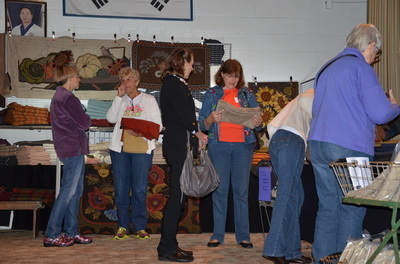 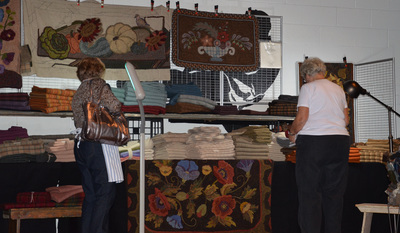 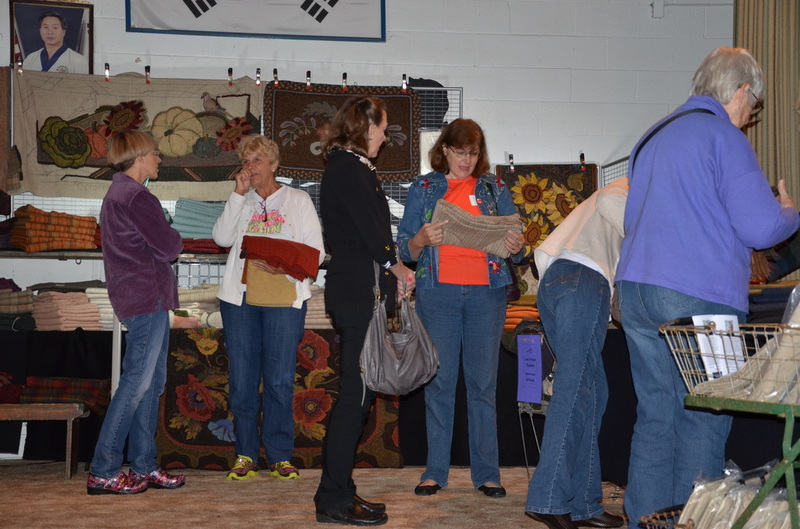 The grouping of the rugs and coverlets together was outstanding and was enjoyed by everyone that attended this spectacular event. 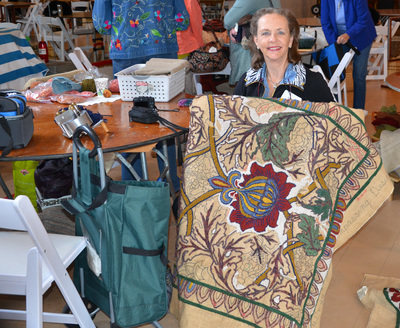 Wow and hugs to Robin for all of the organization and tons of background work, to Elaine for being Robin's right and left hand helper, to Keith Kemmer for the advertising and printing, to Melinda for hanging all the rugs, and others that contributed to making this whole week a success.